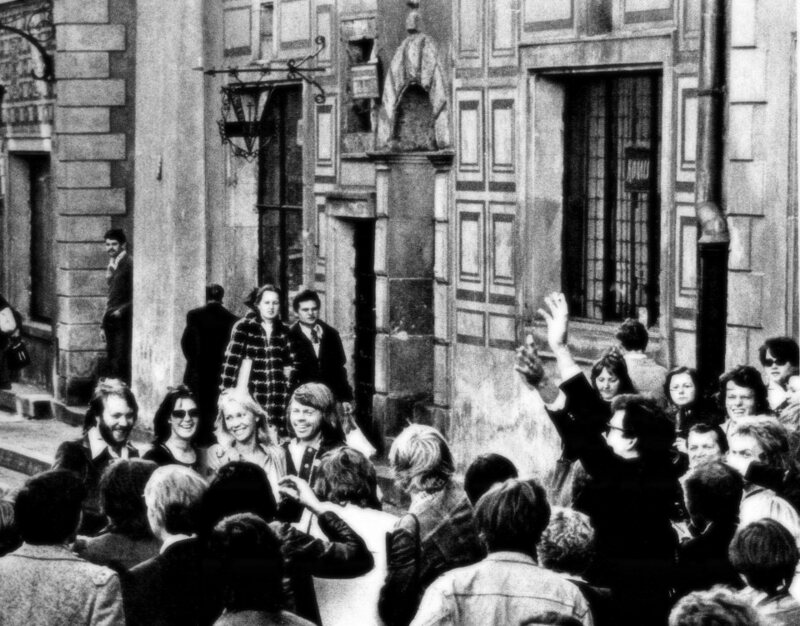 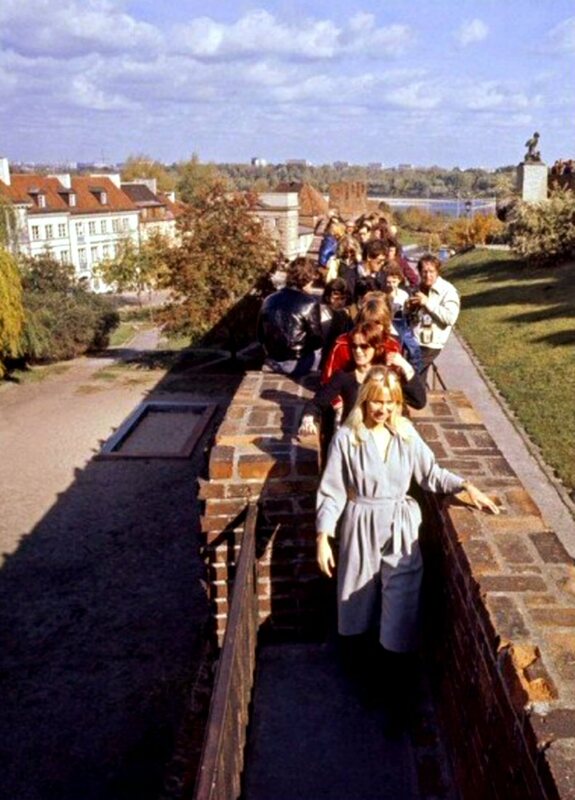 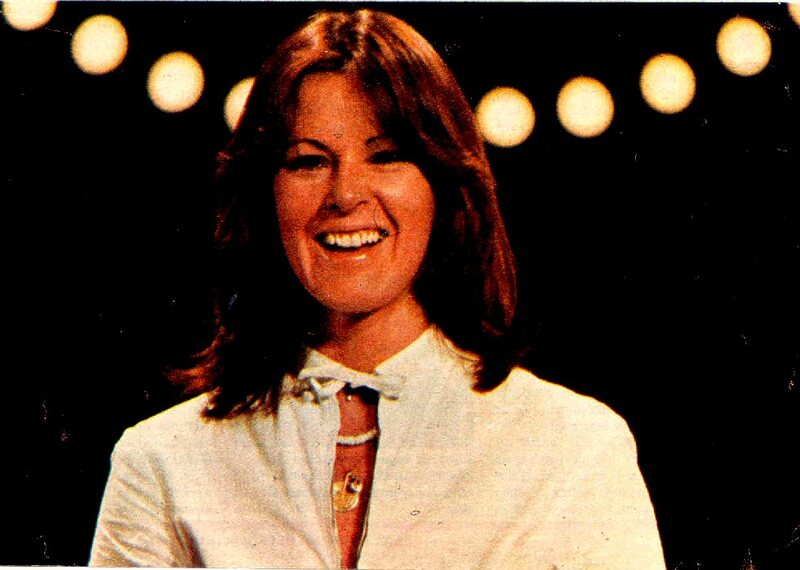 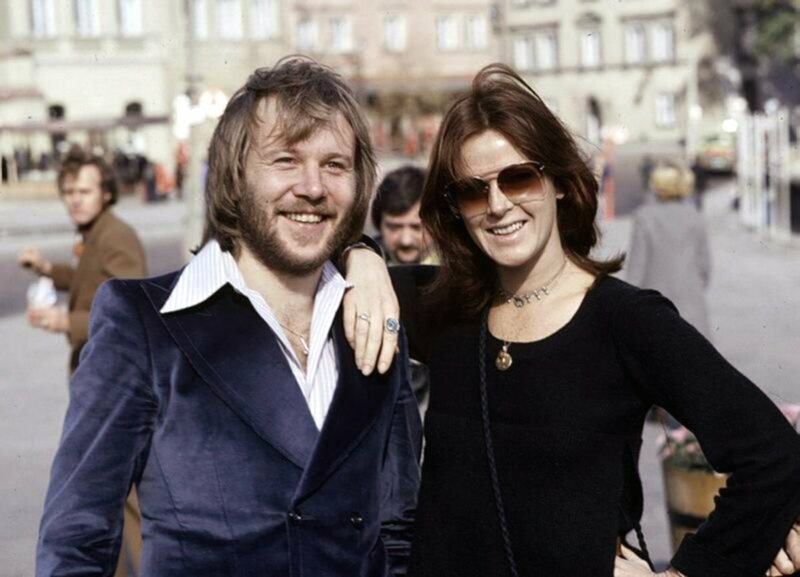 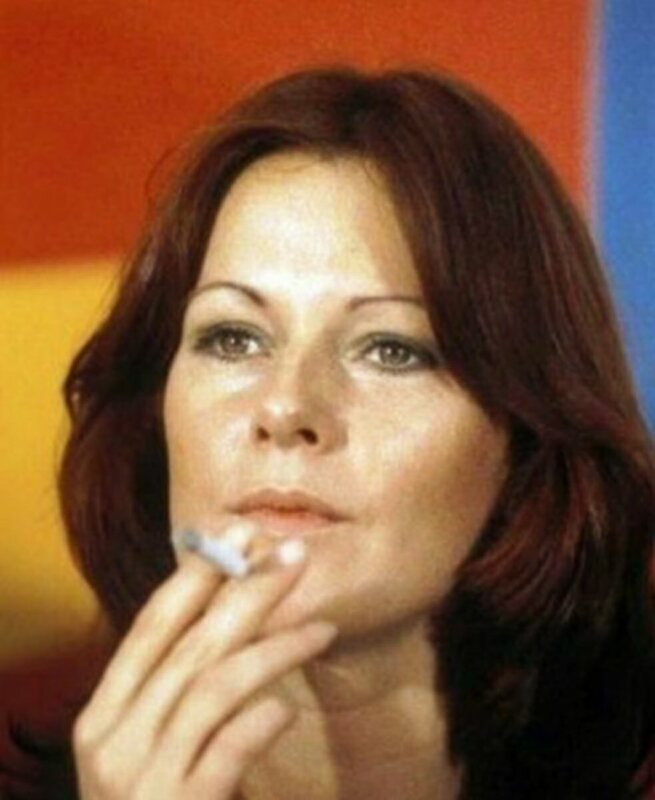 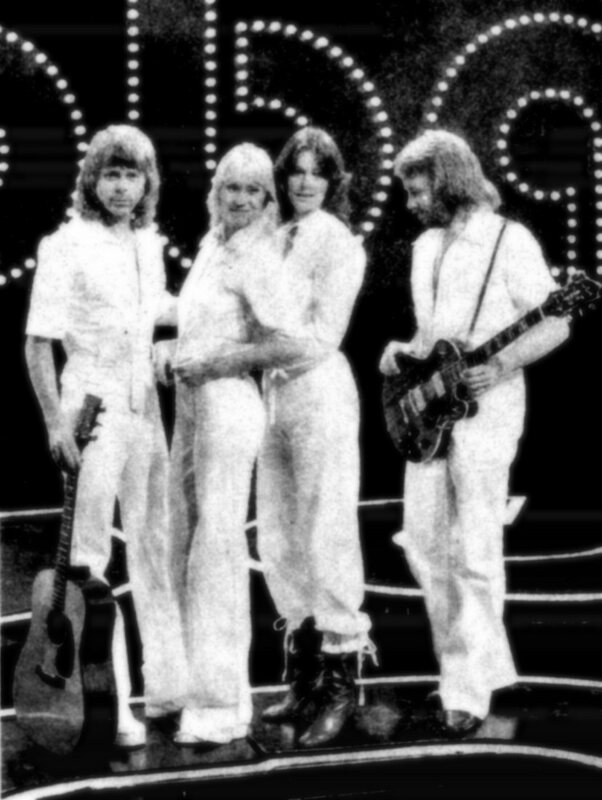 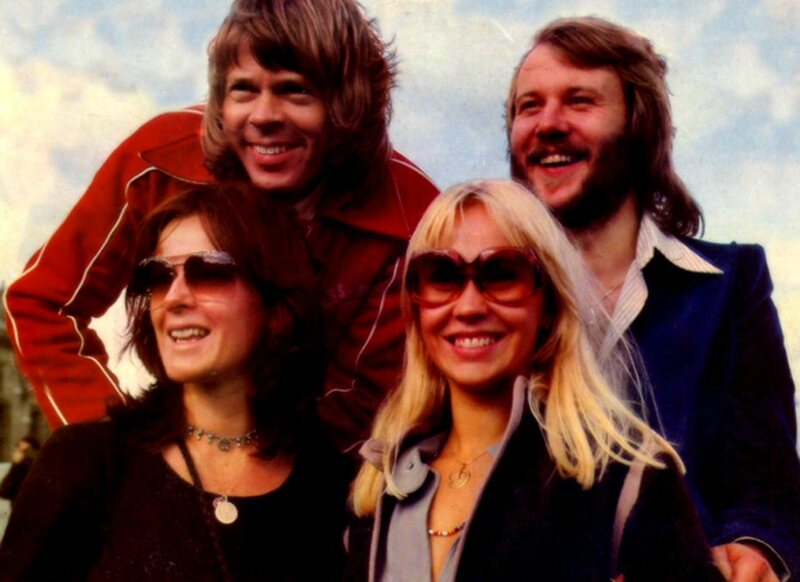 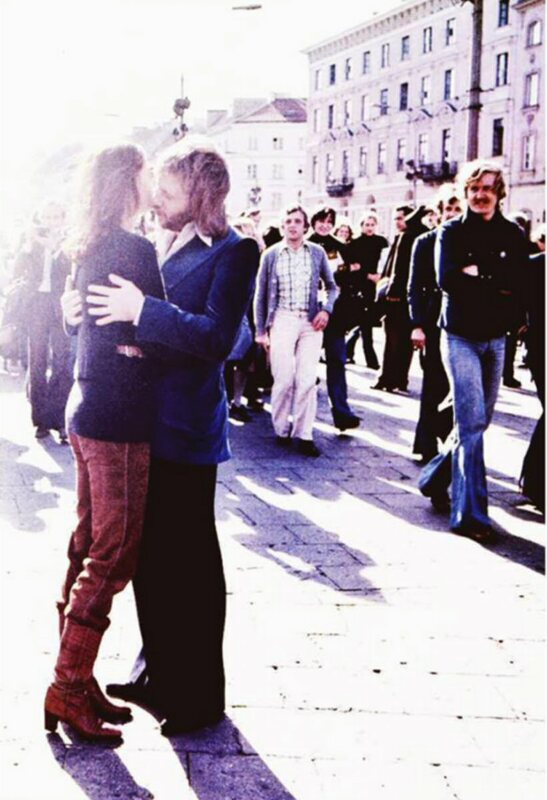 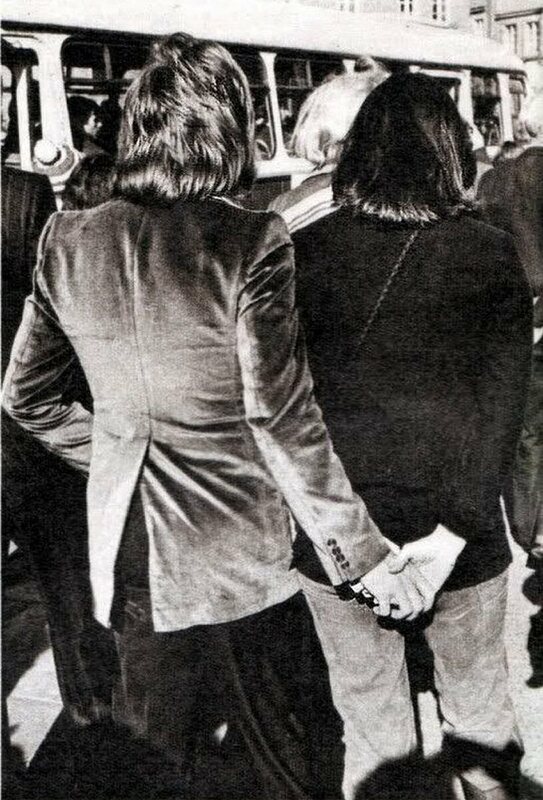 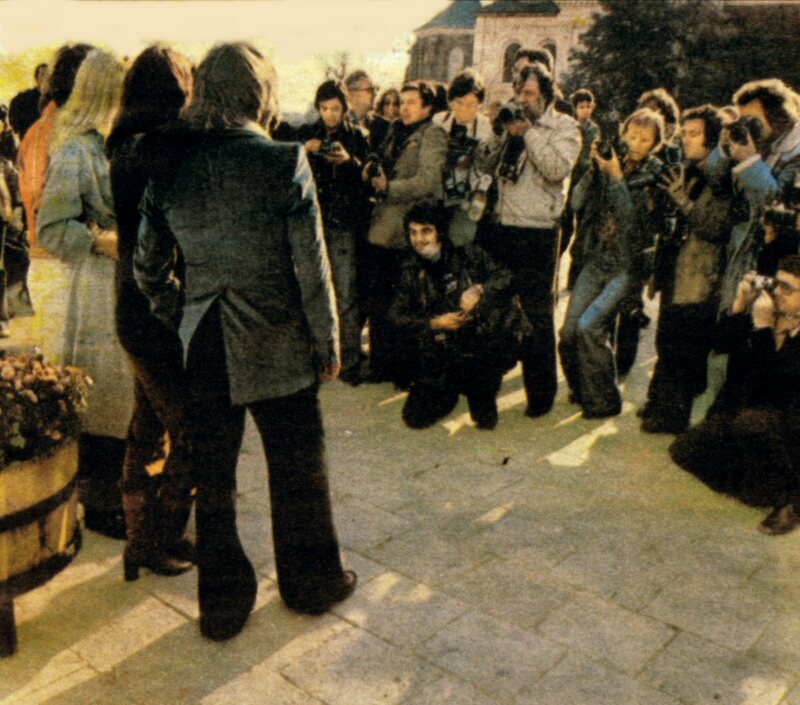 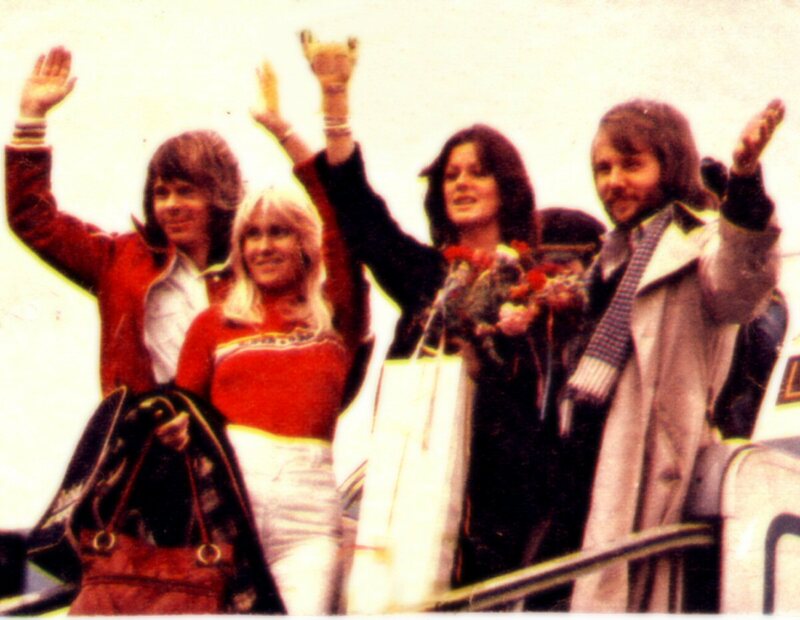 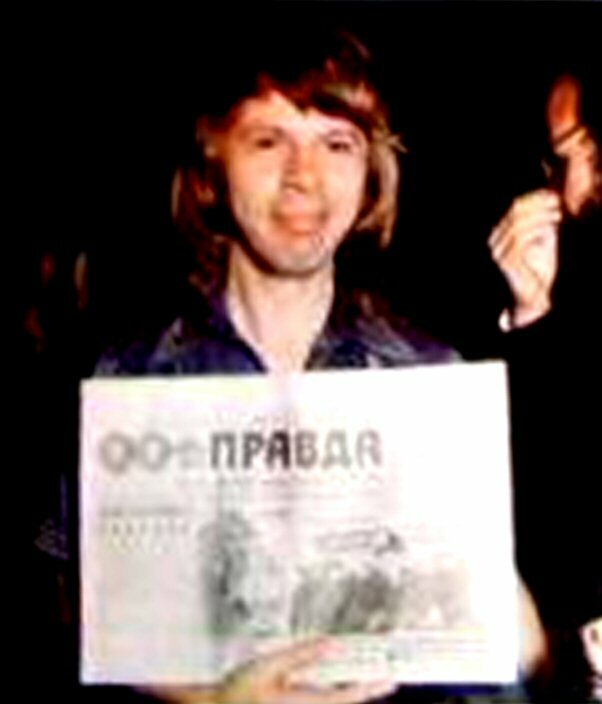 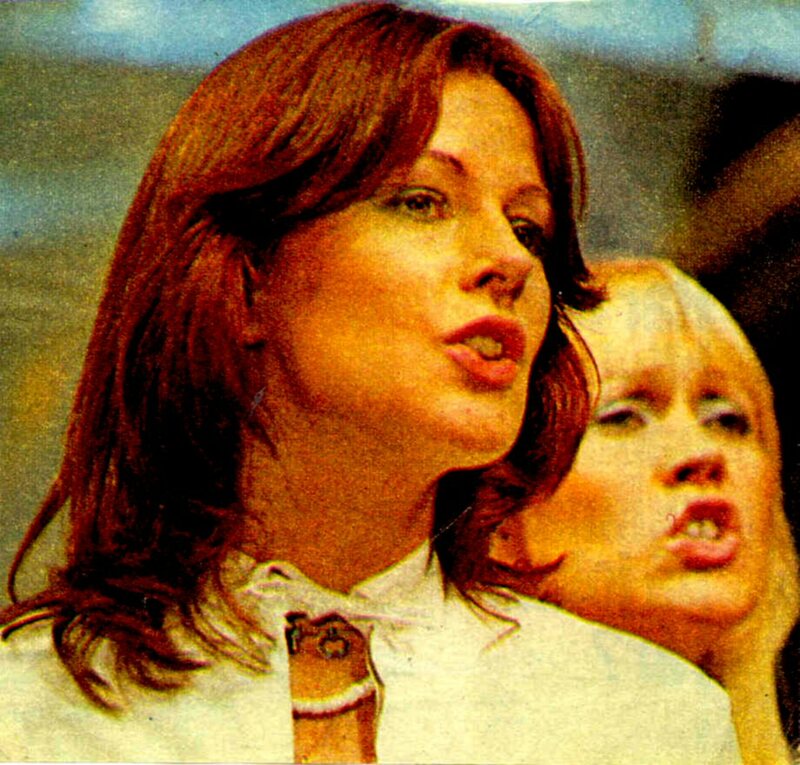 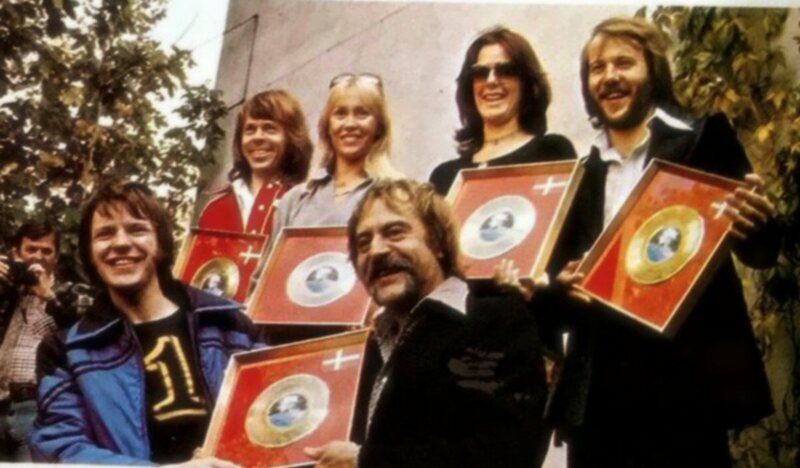 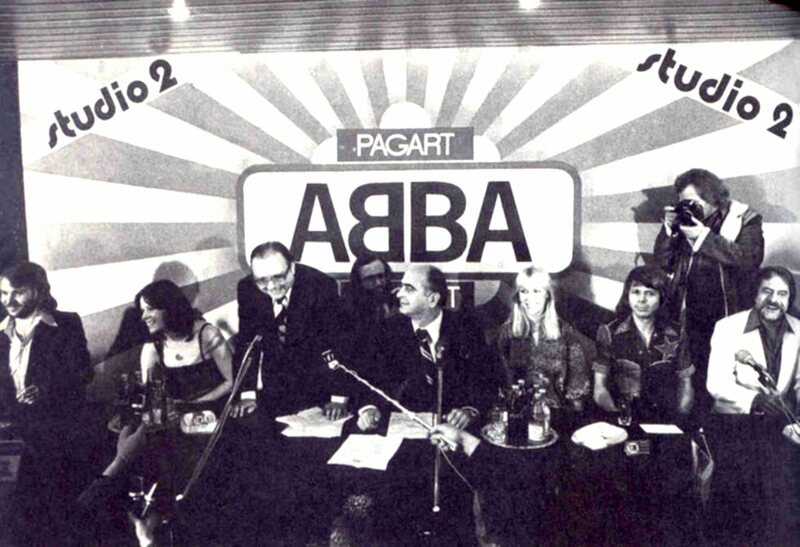 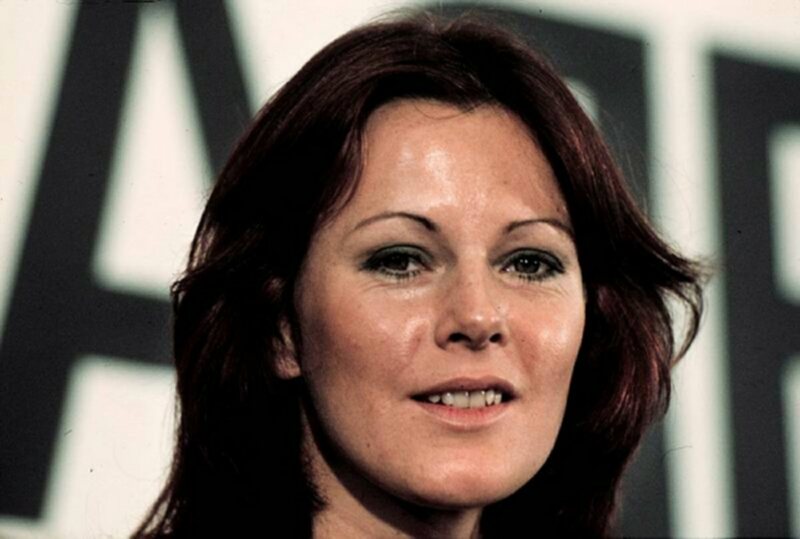 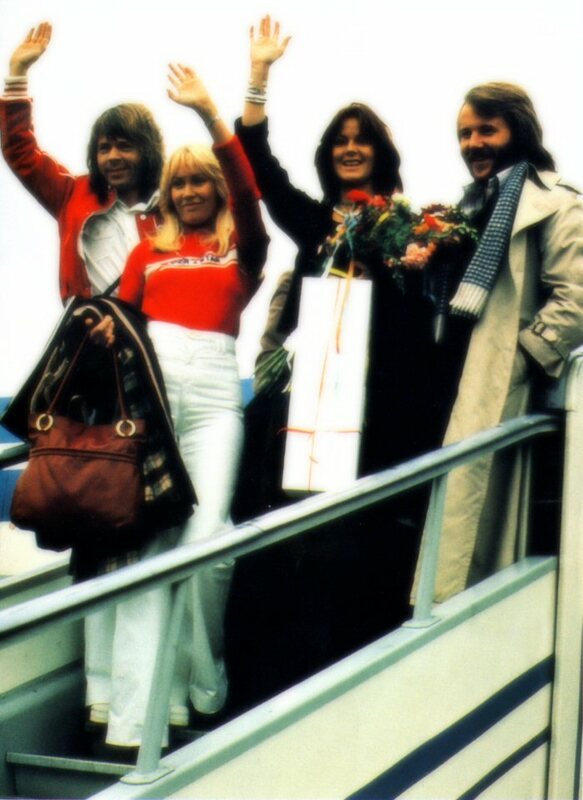 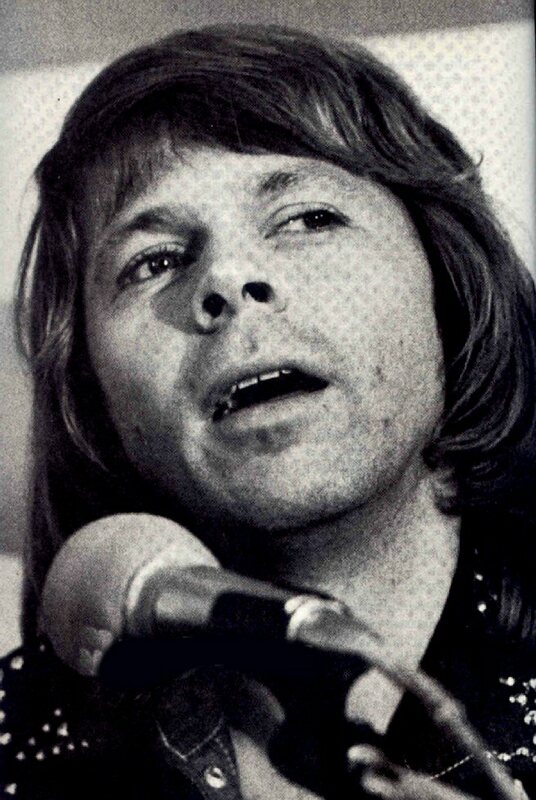 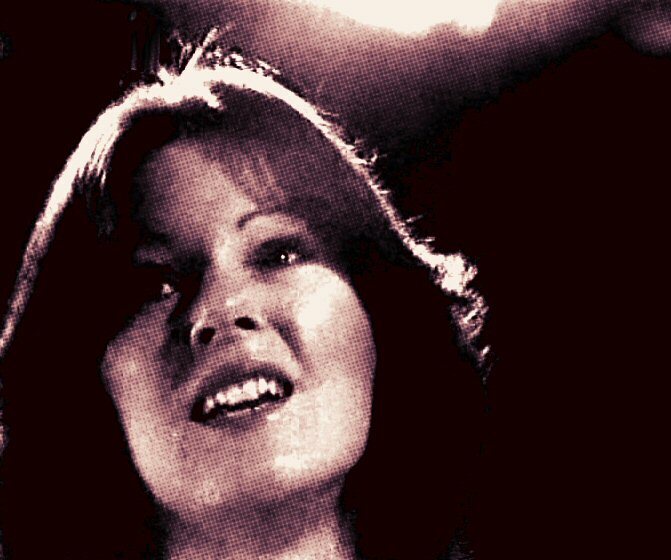 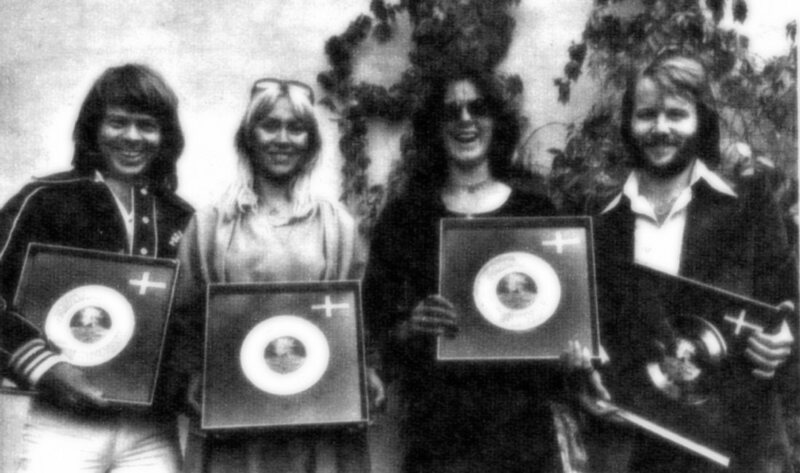 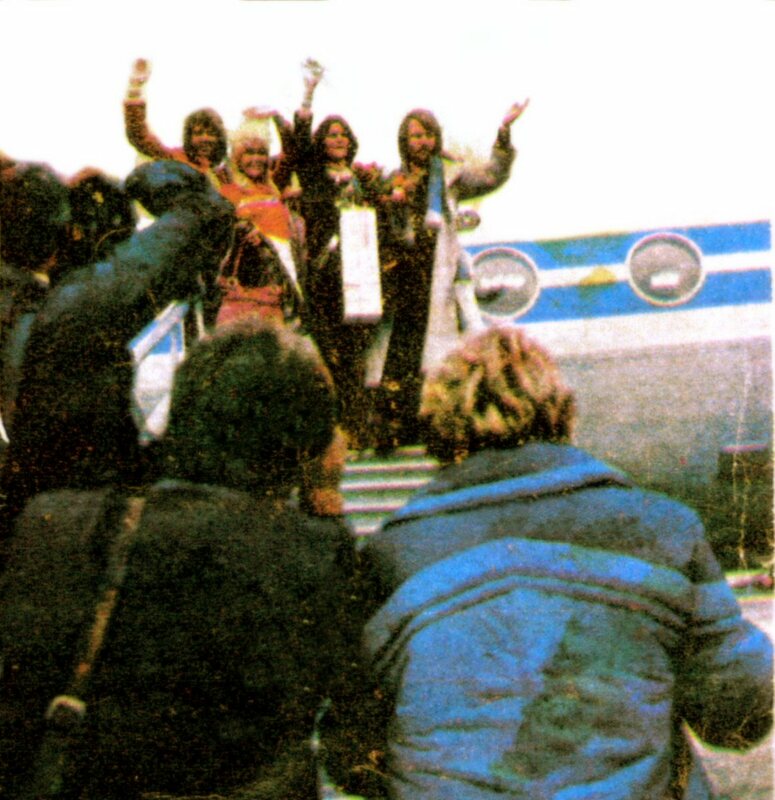 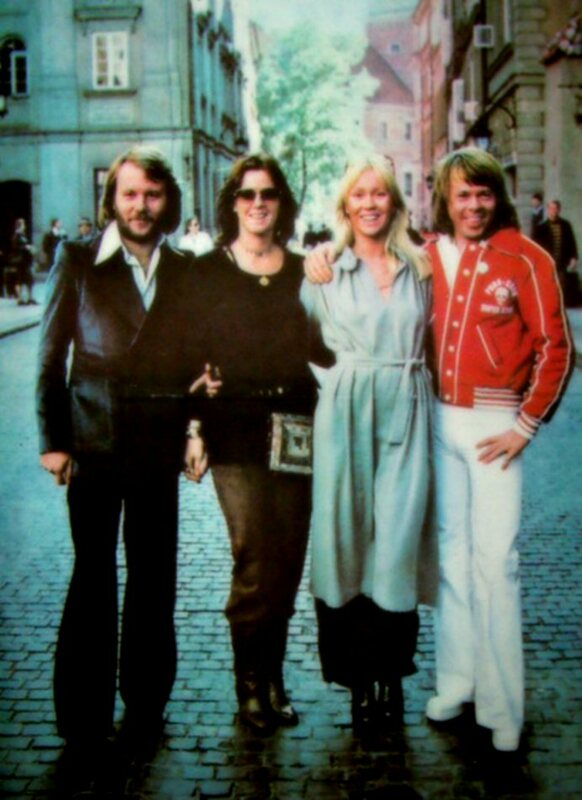 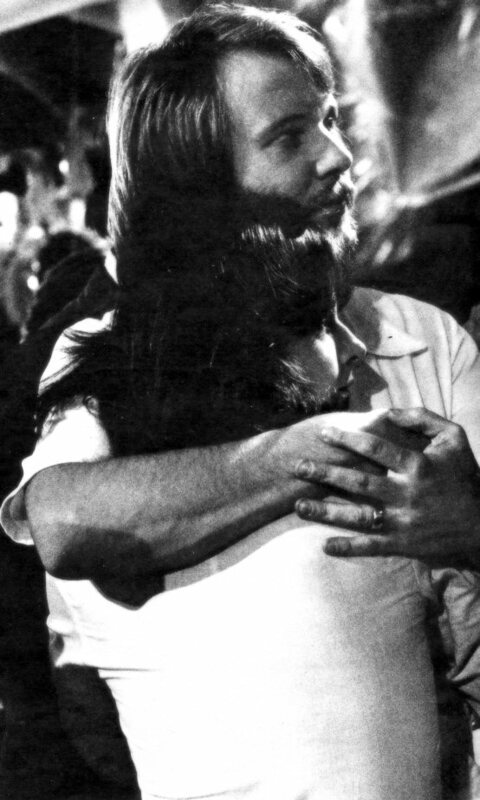 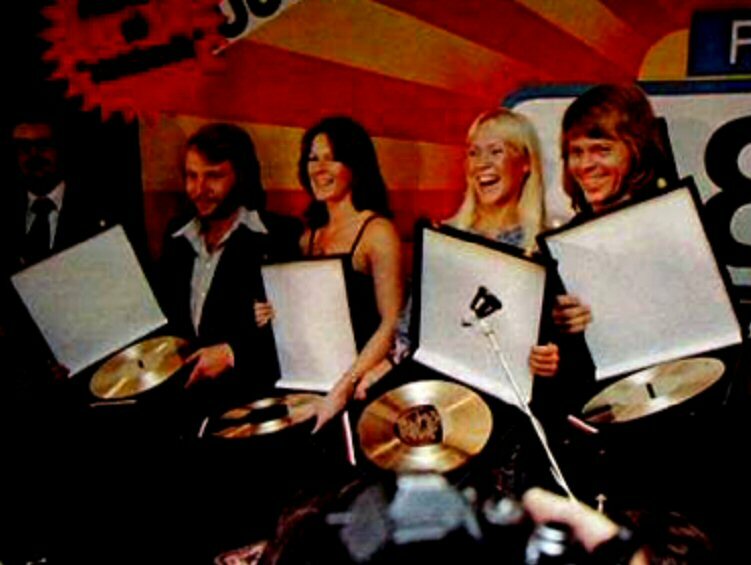 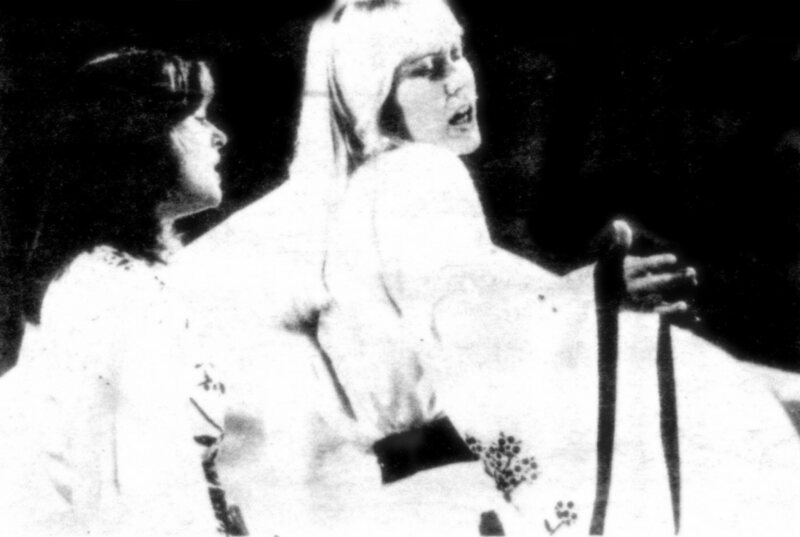 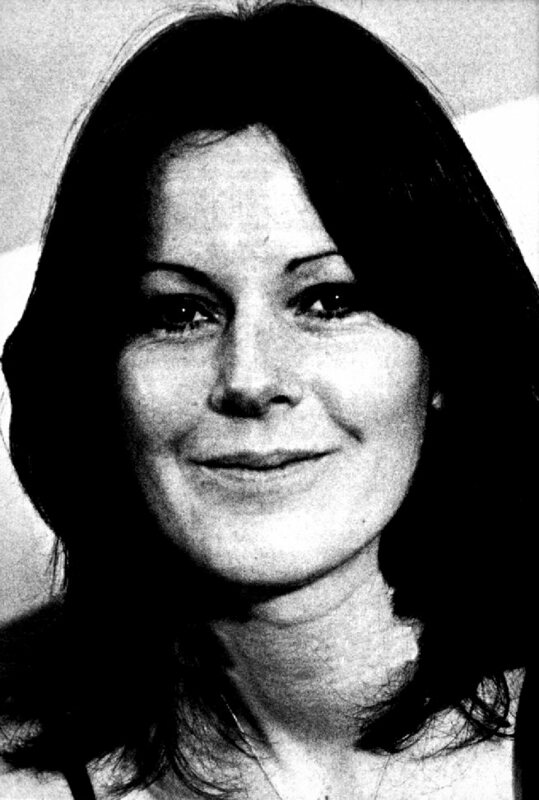 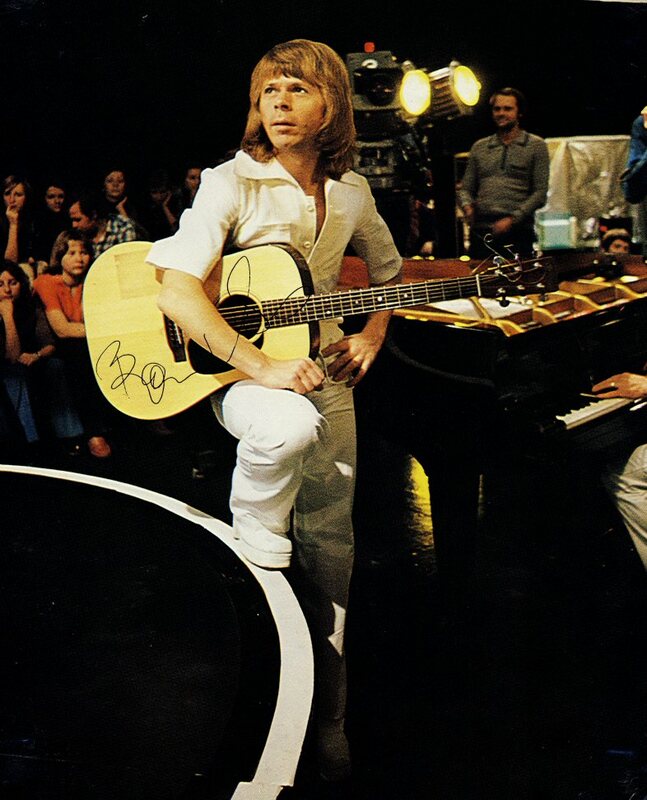 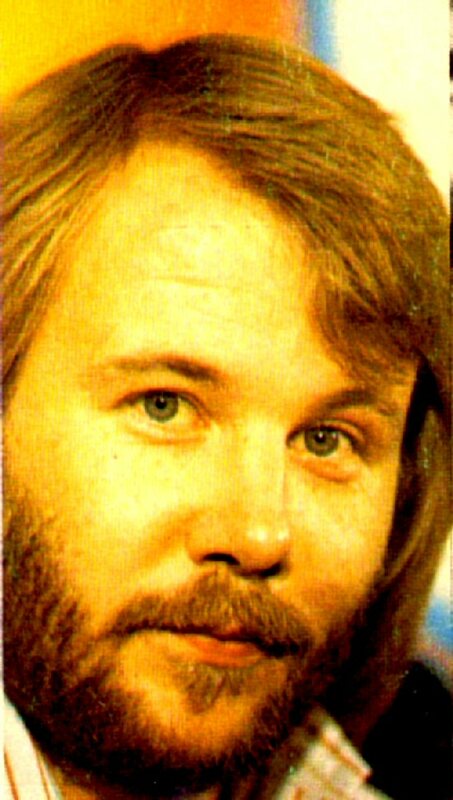 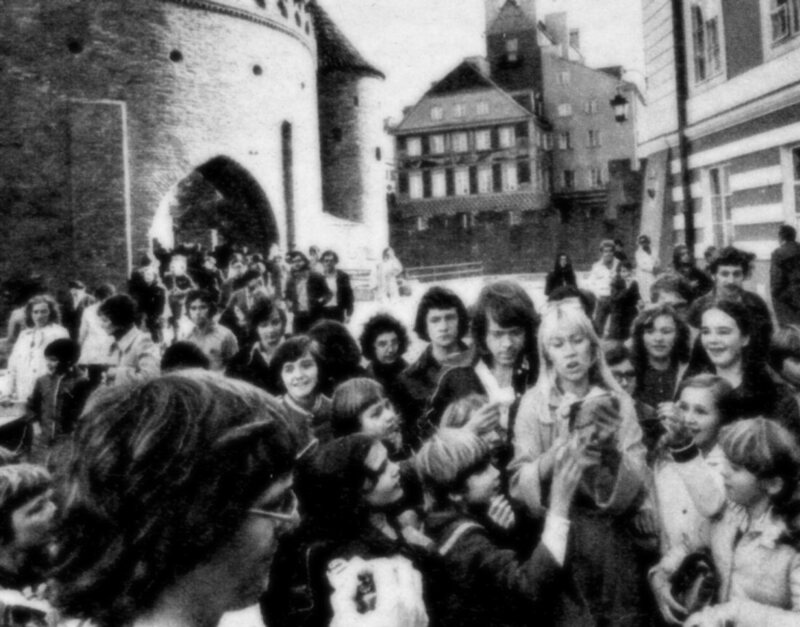 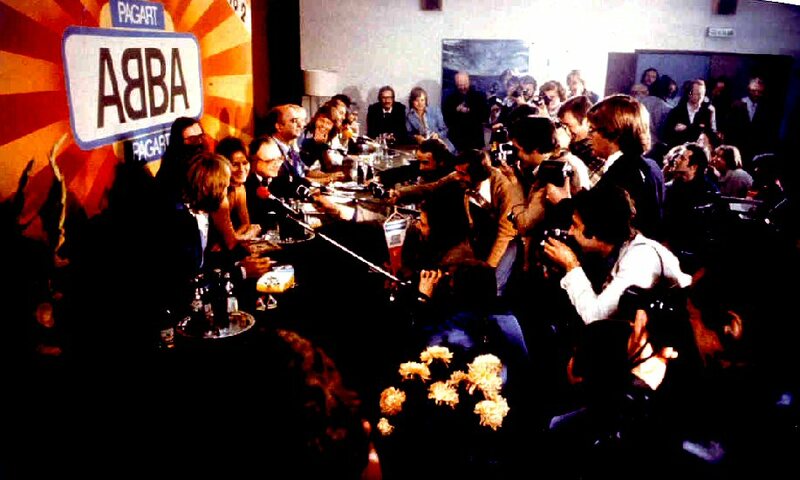 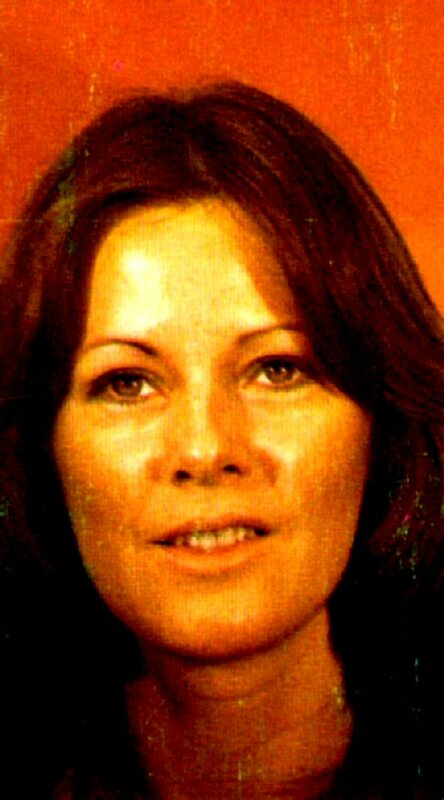 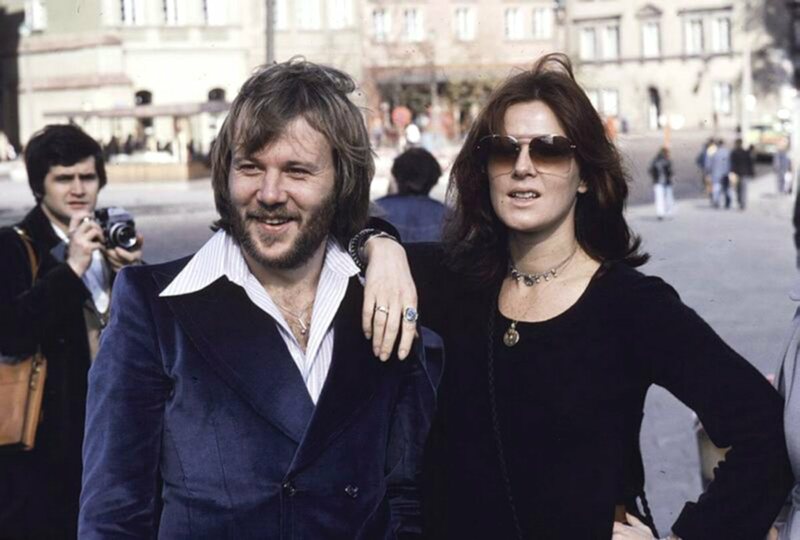 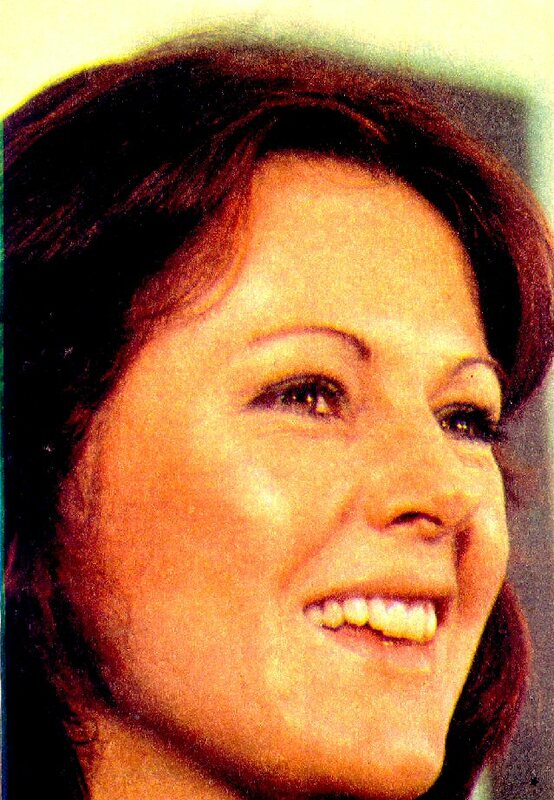 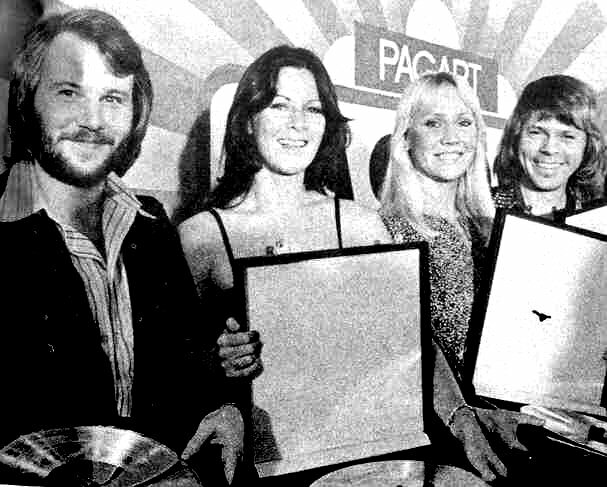 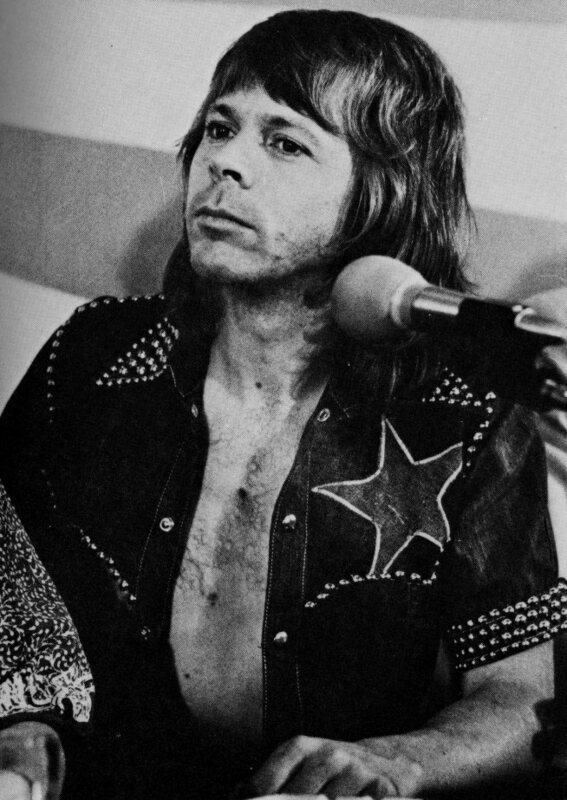 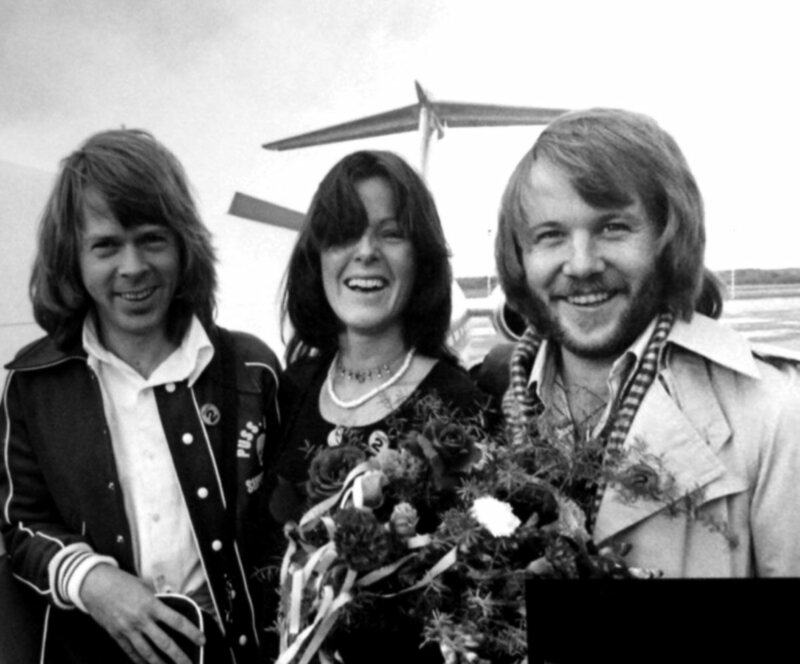 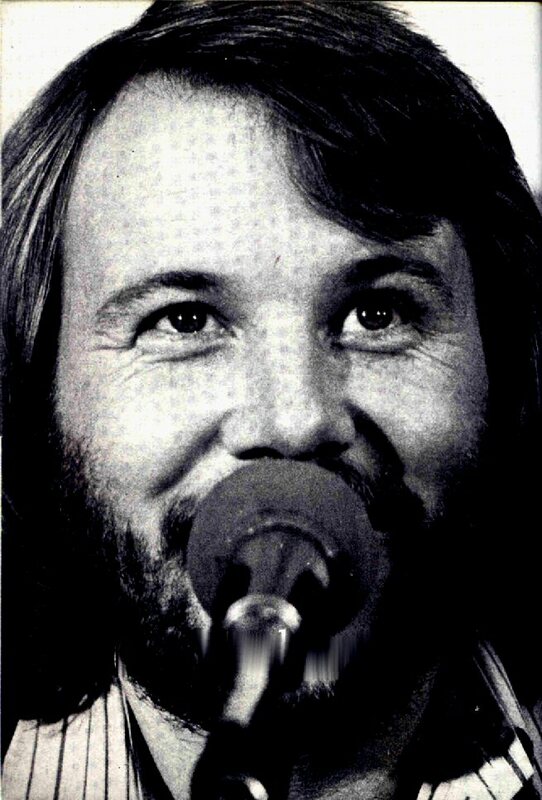 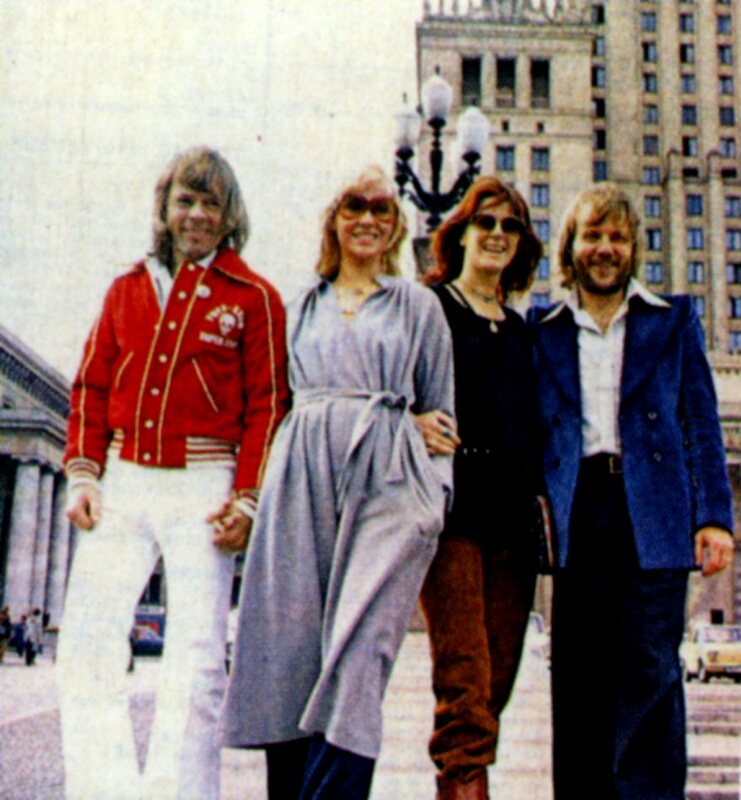 ABBA went to Poland at the beginning of October 1976. 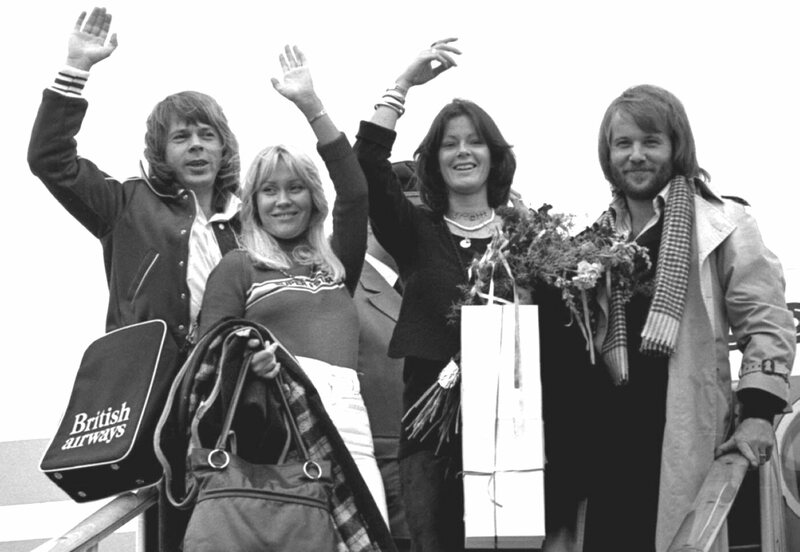 The group promoted their forthcoming album "Arrival" which would be released some days later. 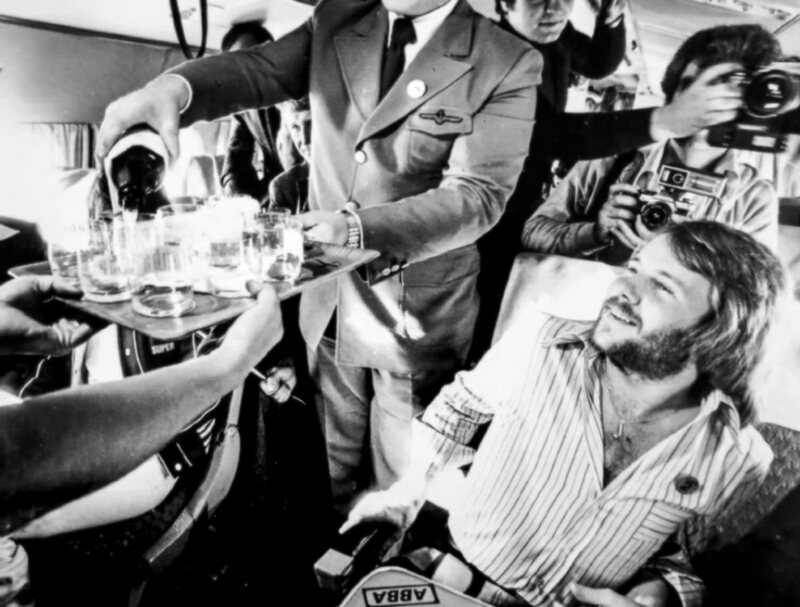 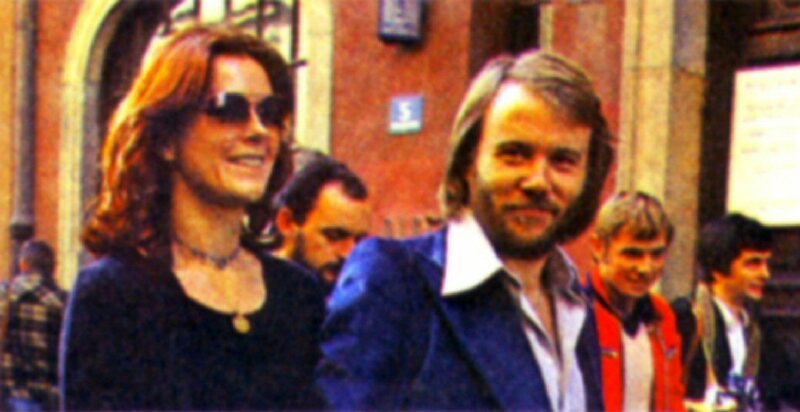 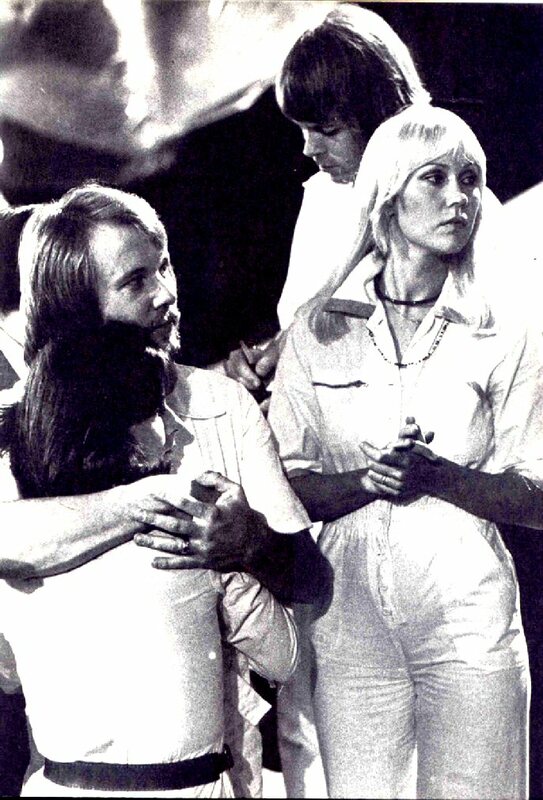 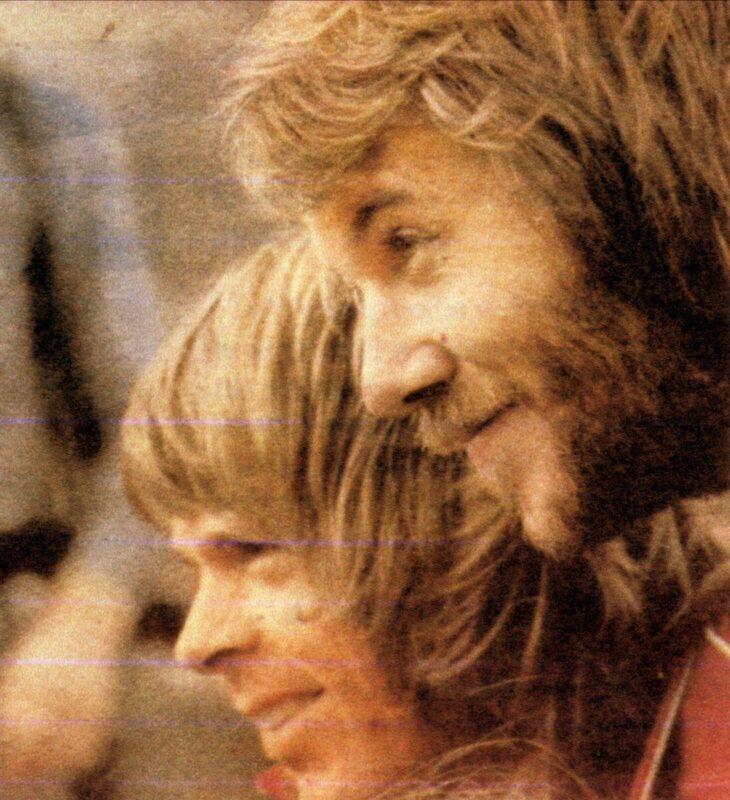 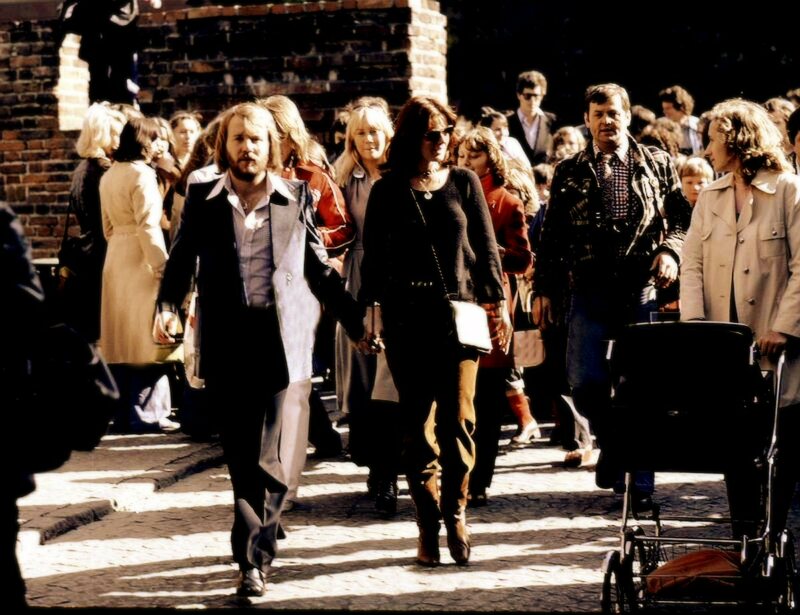 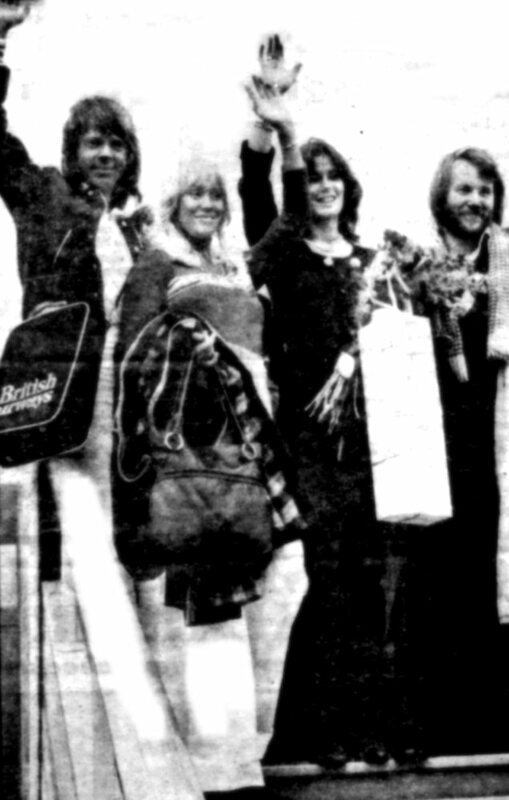 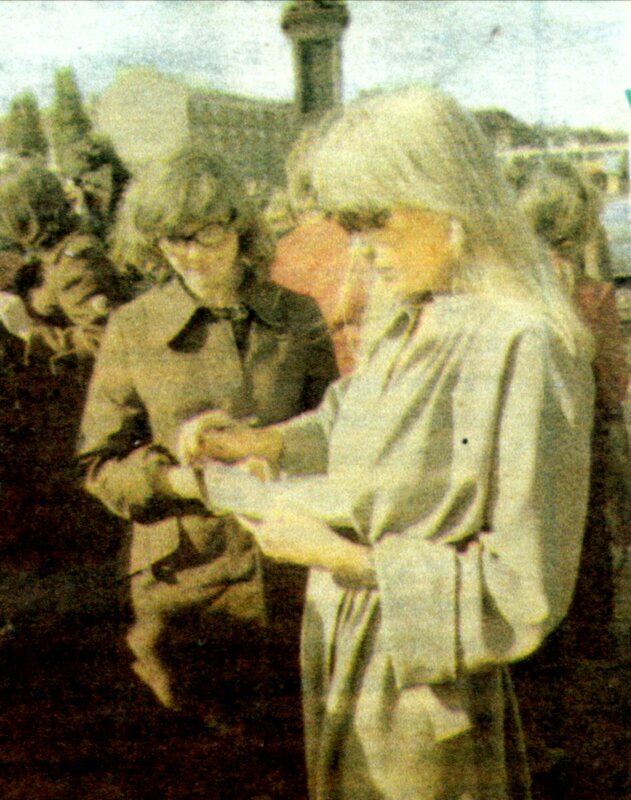 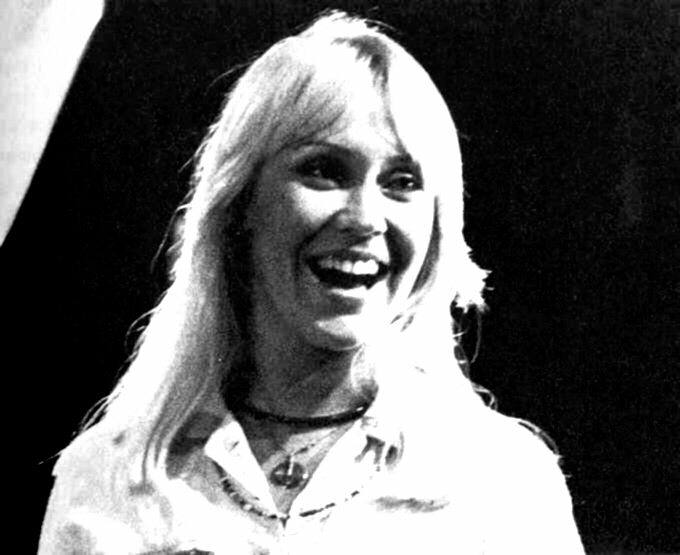 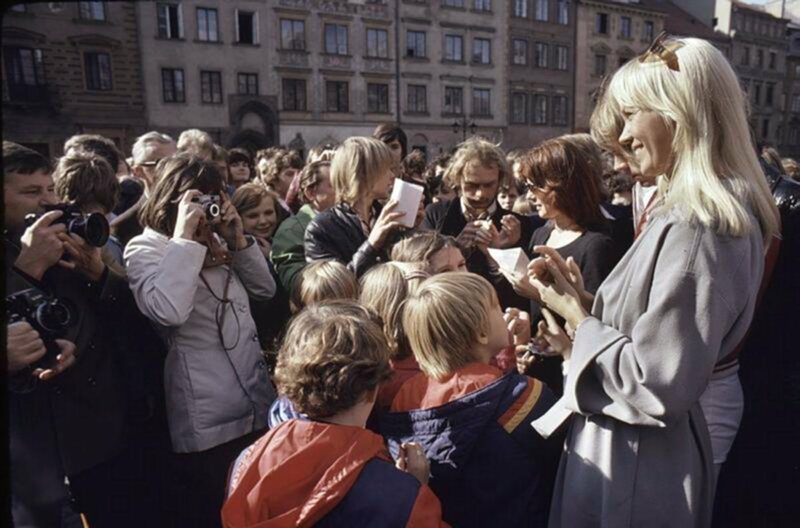 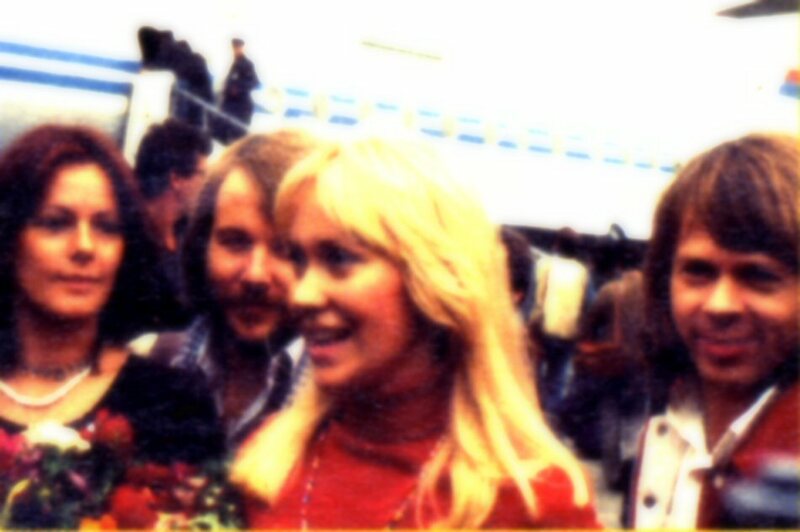 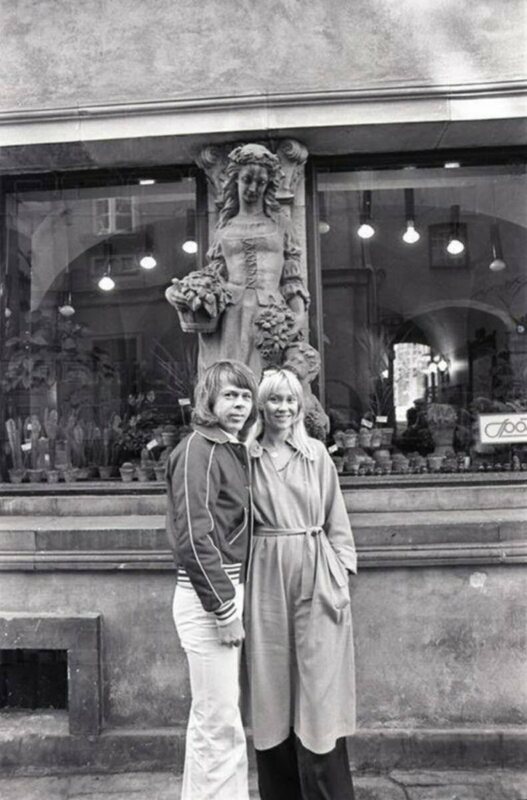 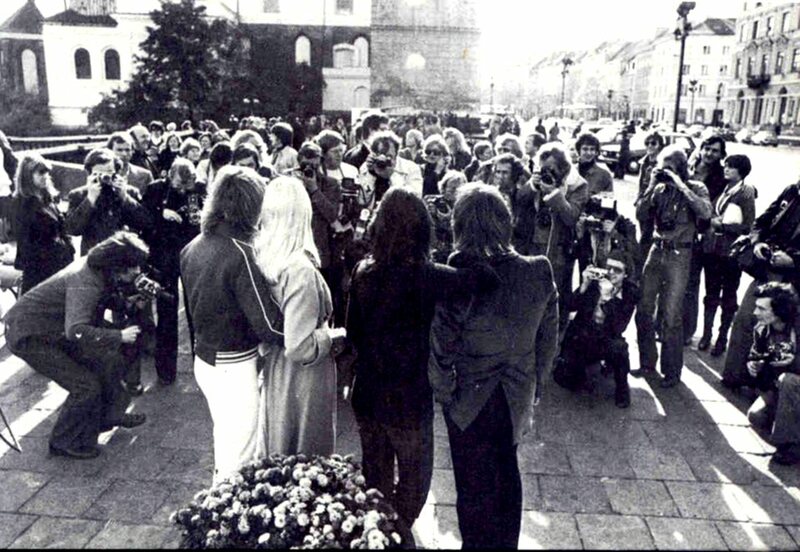 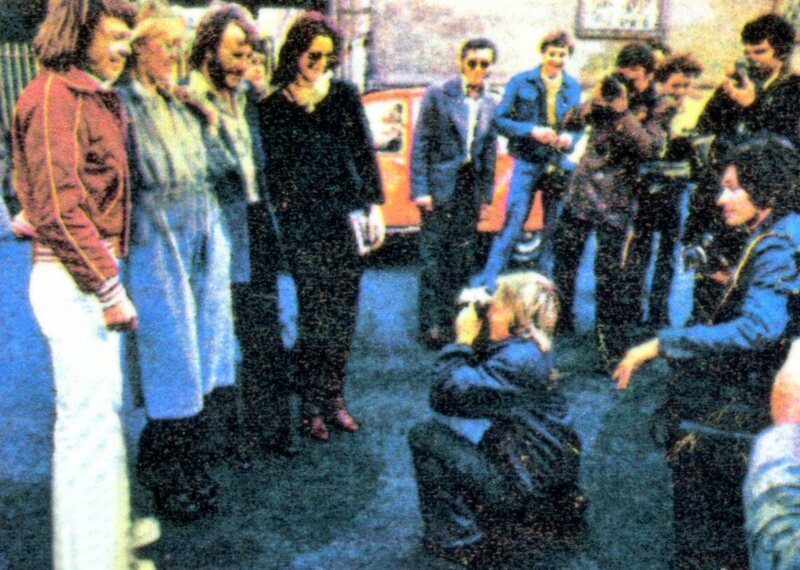 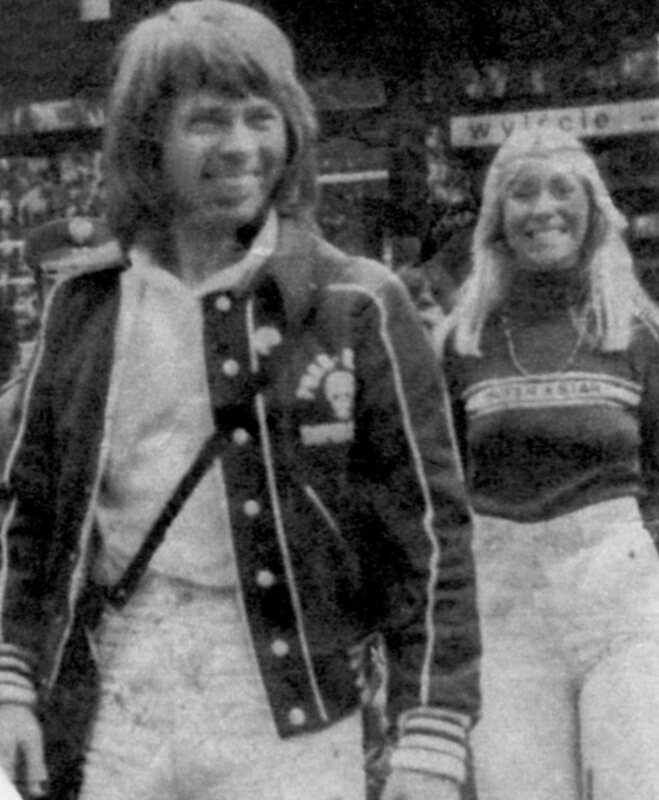 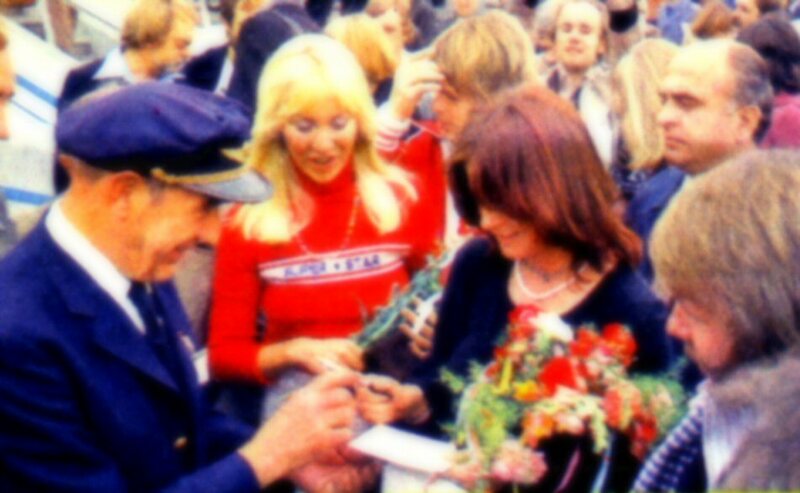 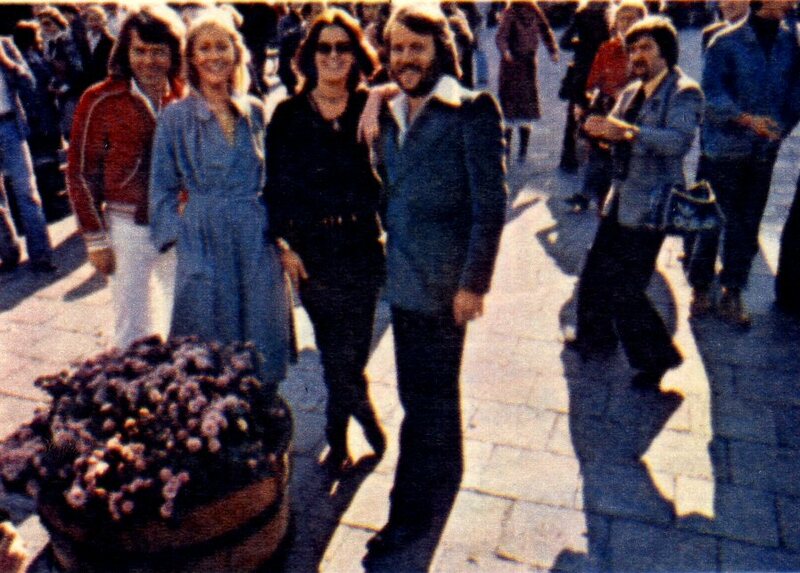 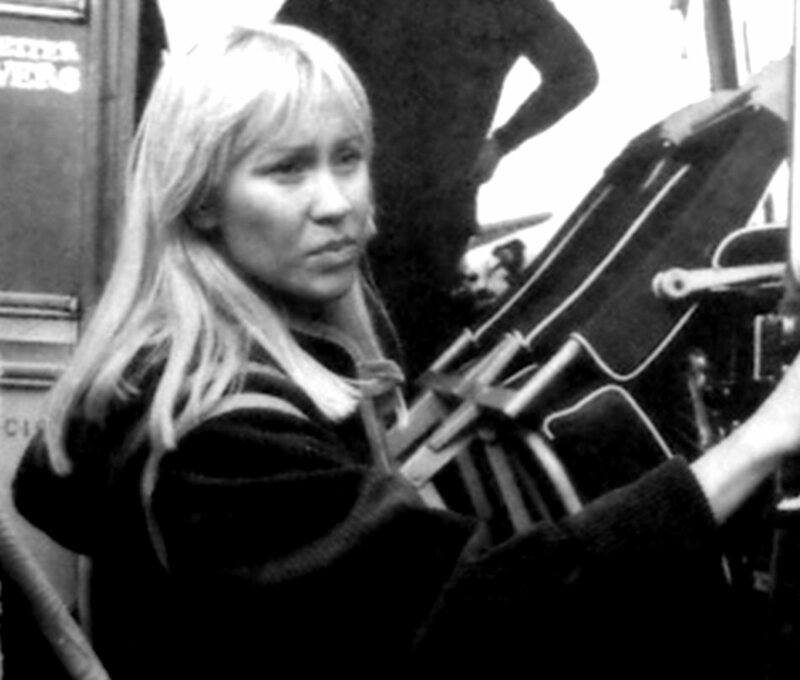 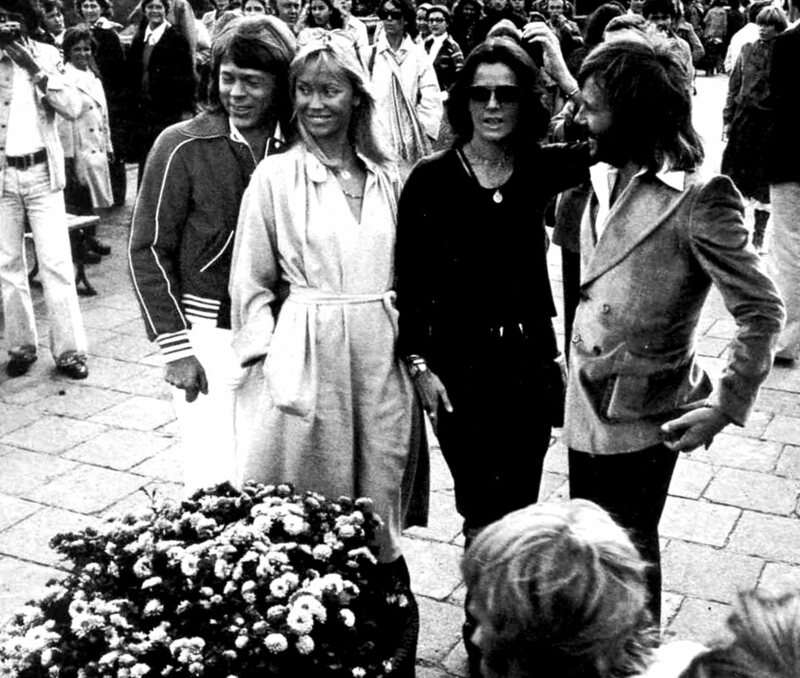 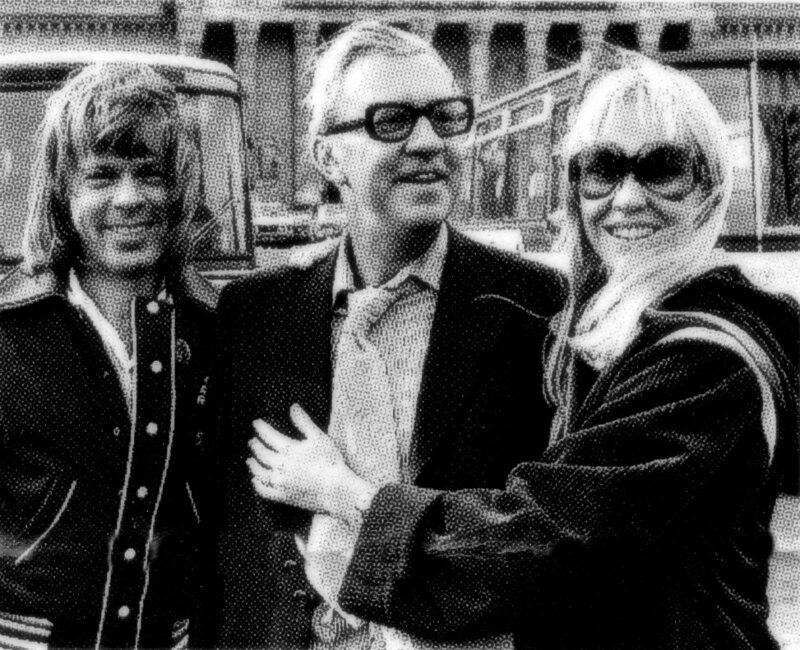 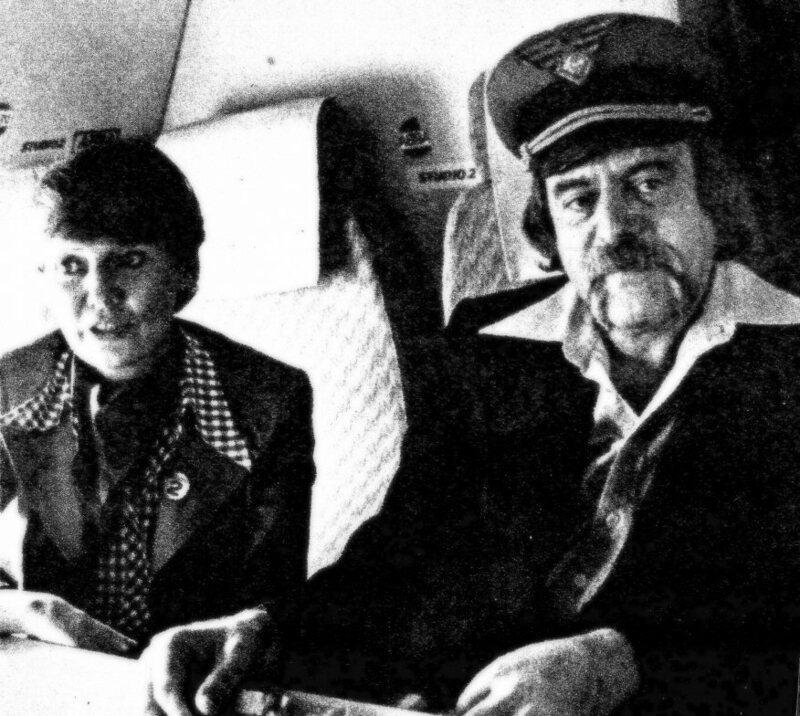 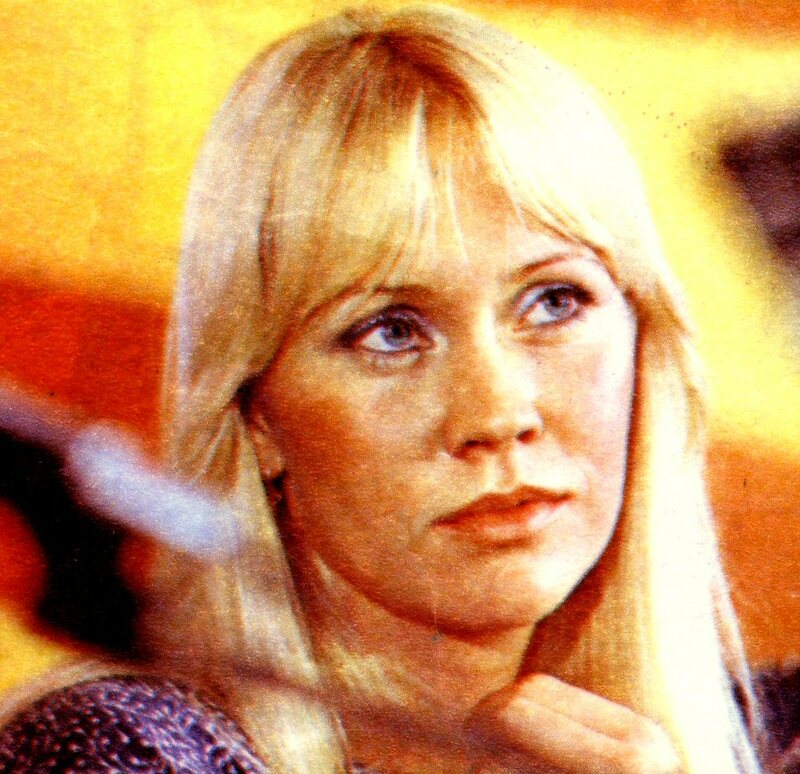 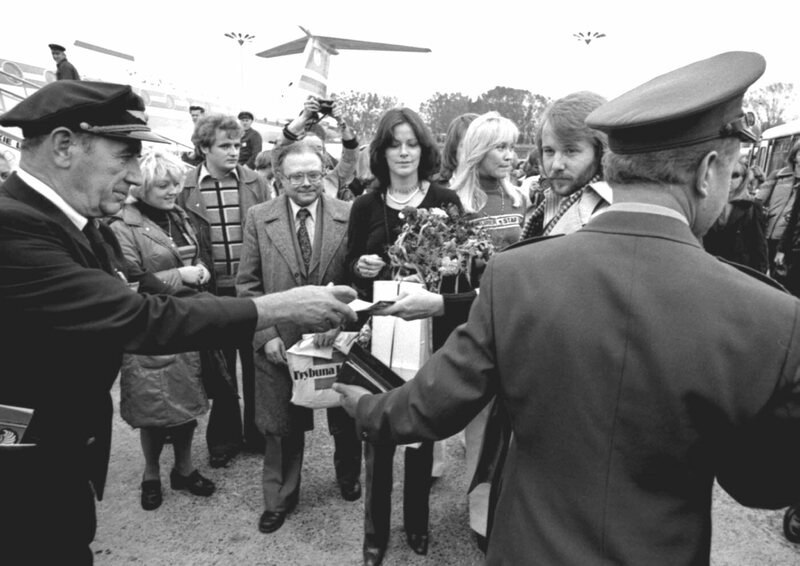 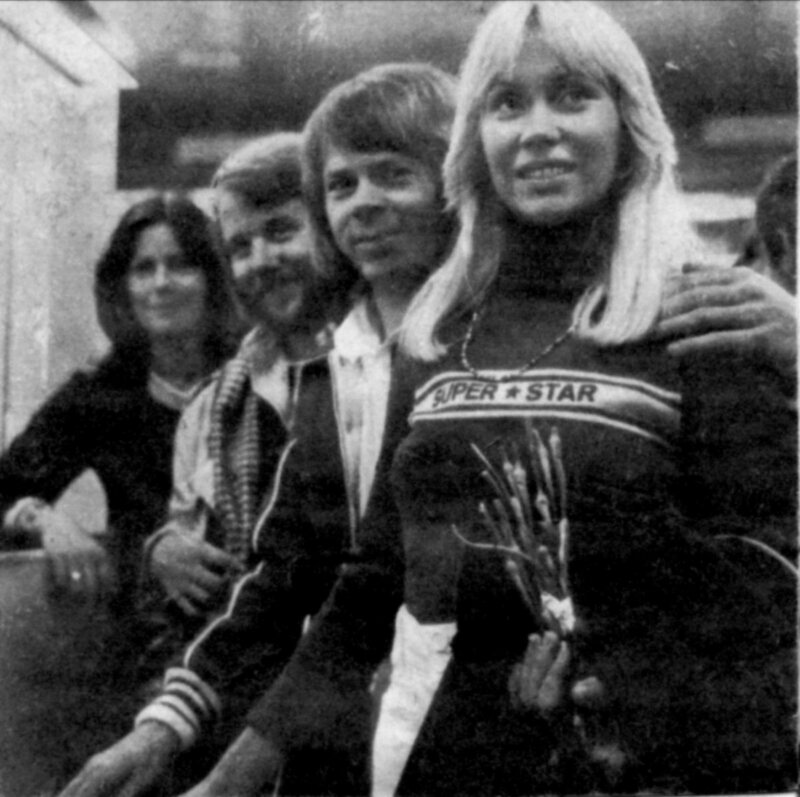 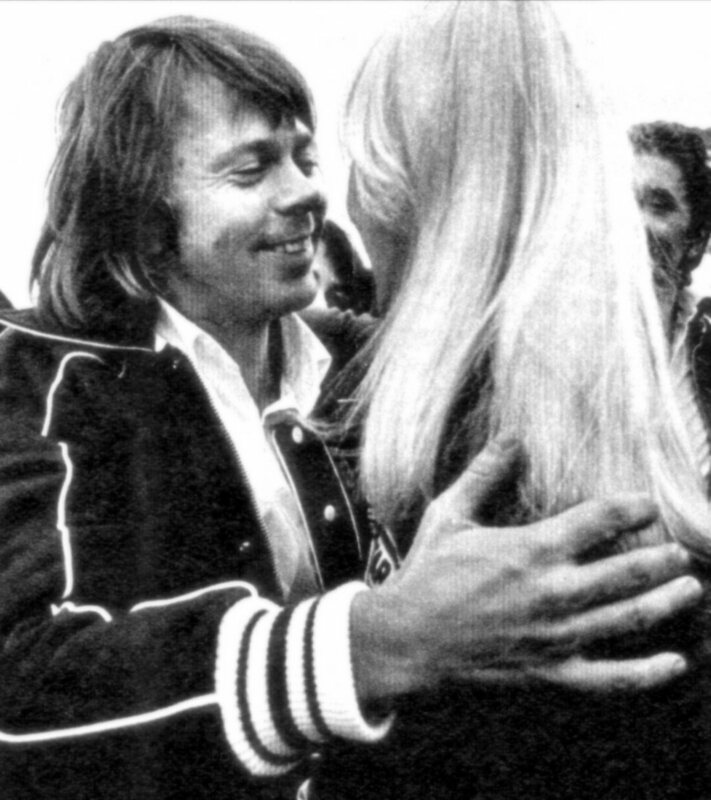 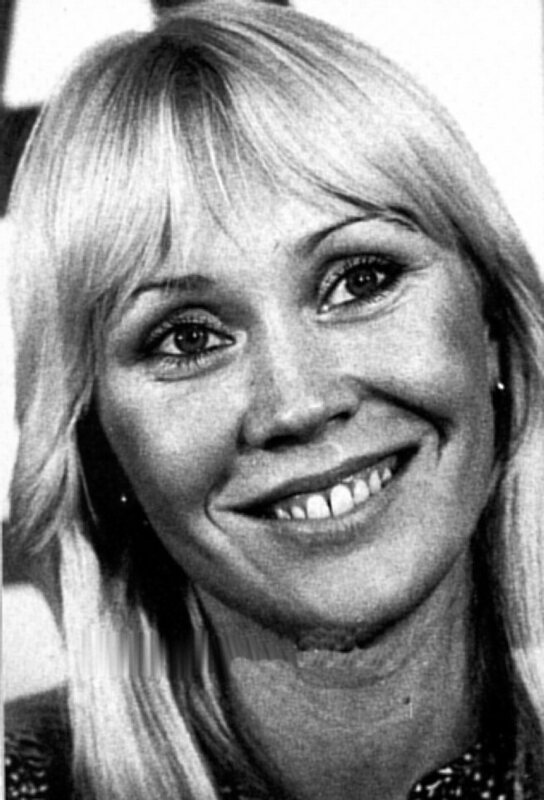 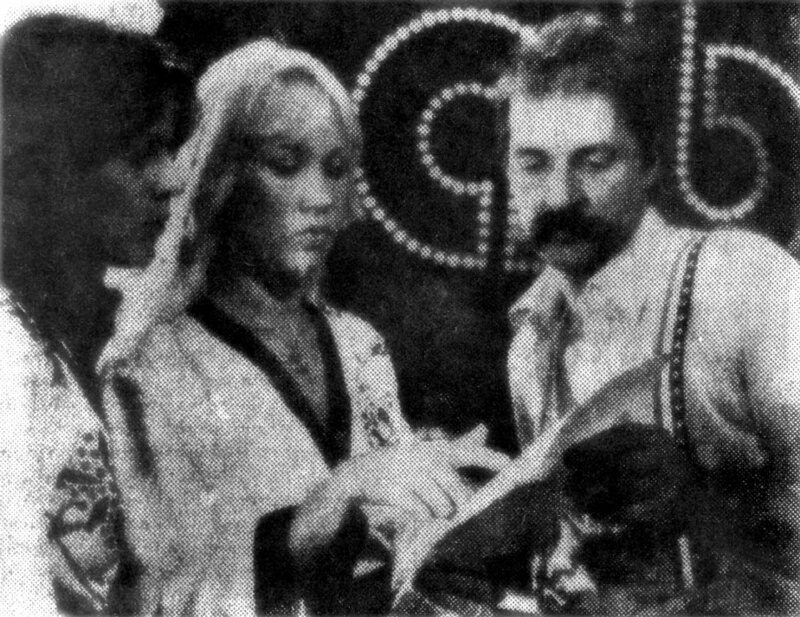 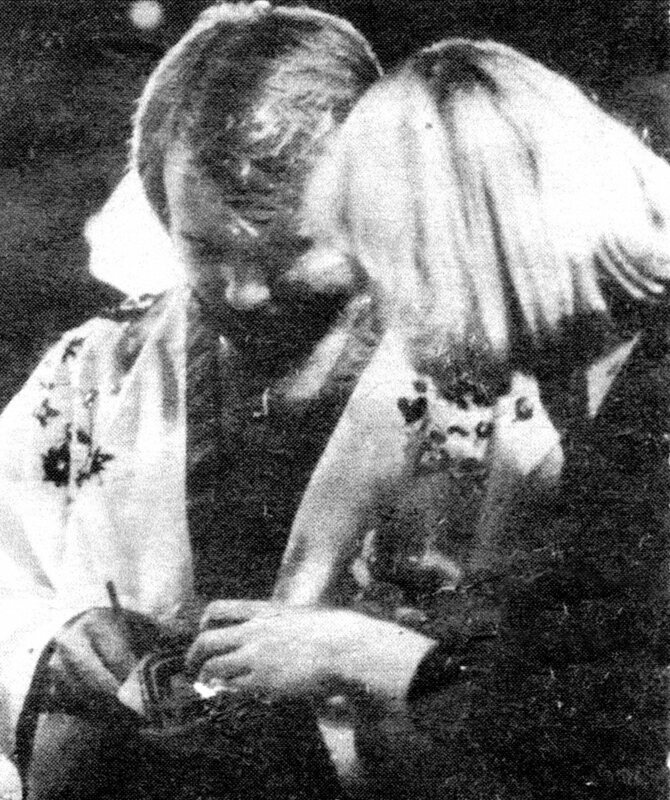 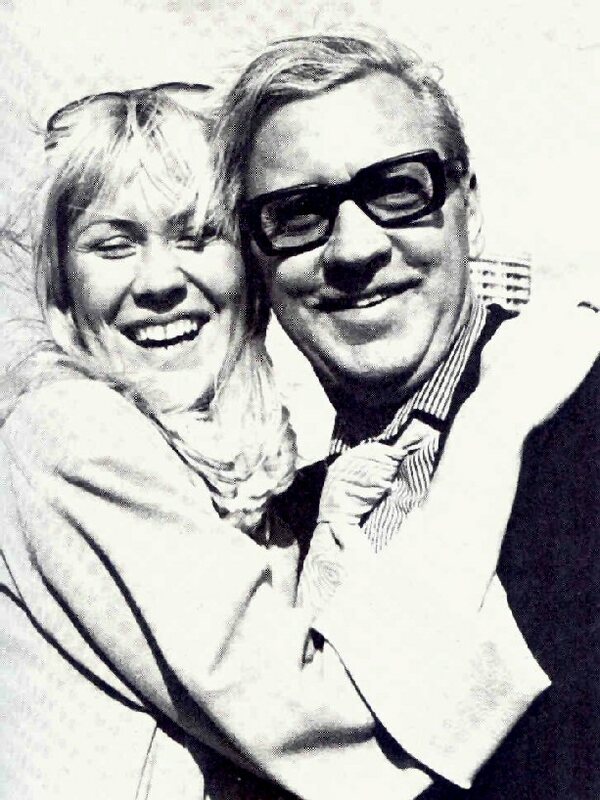 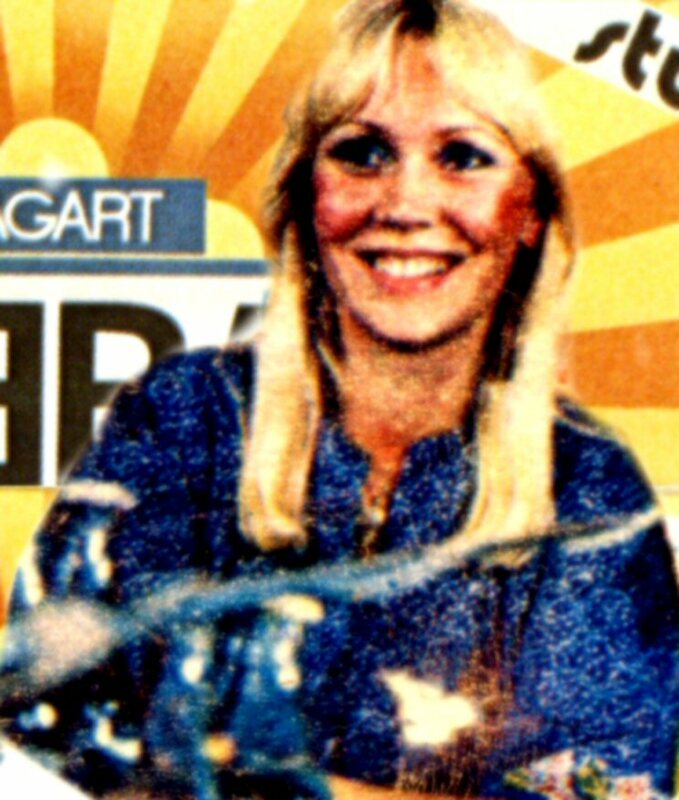 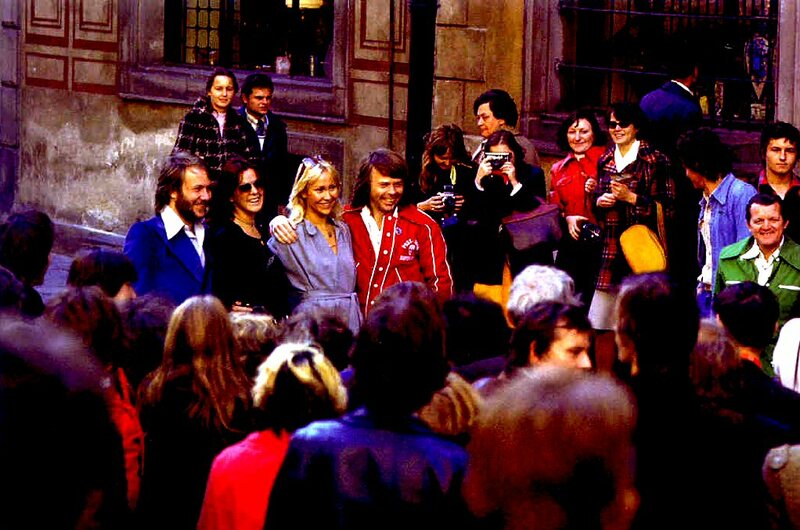 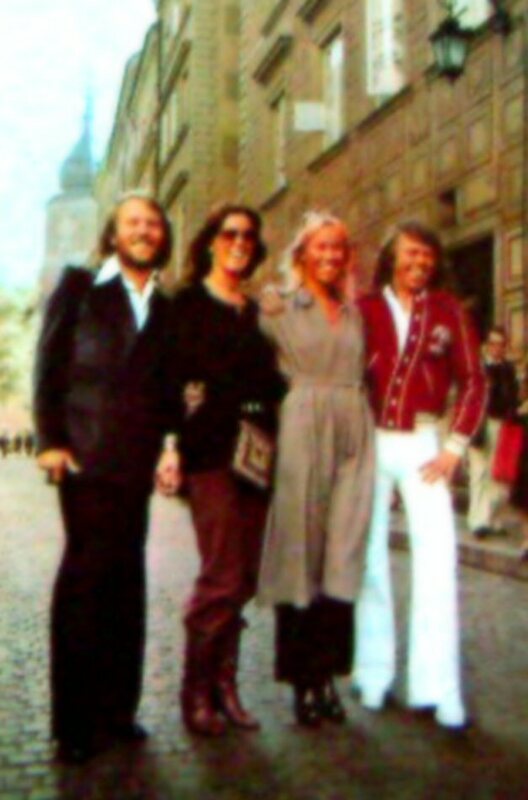 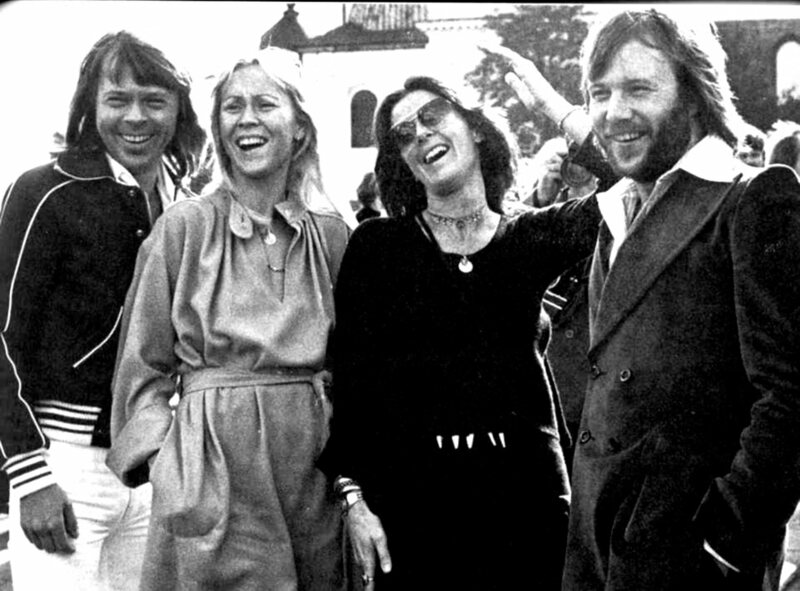 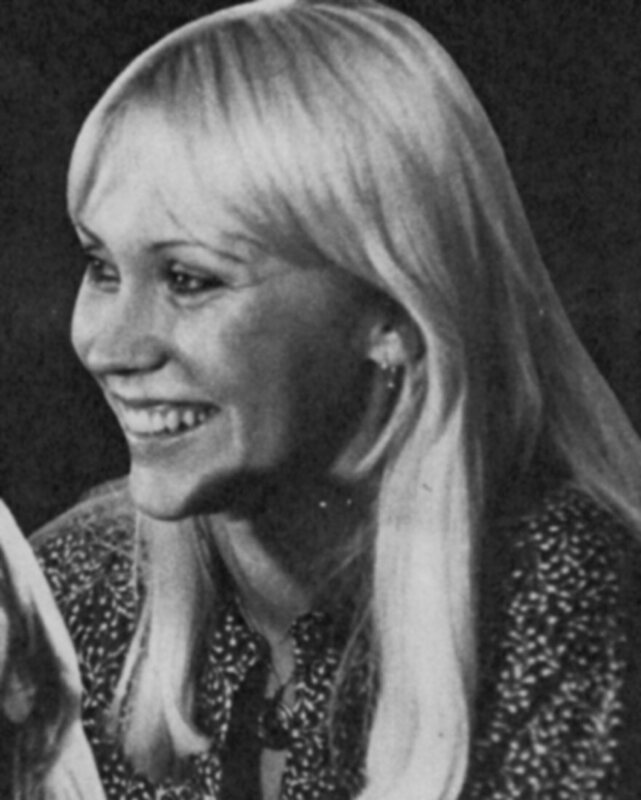 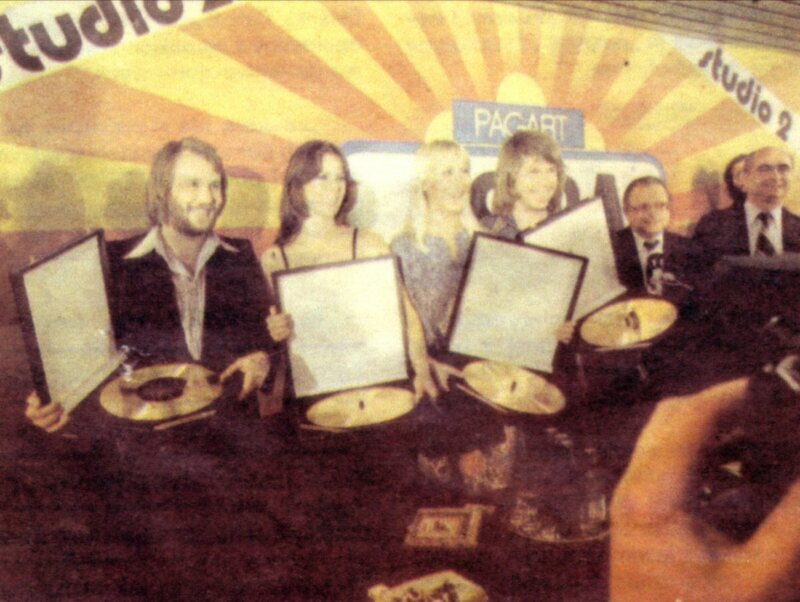 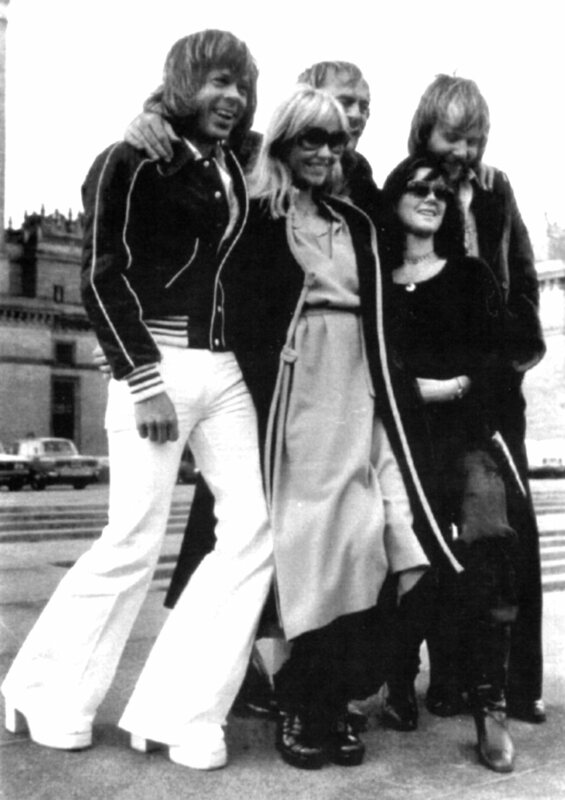 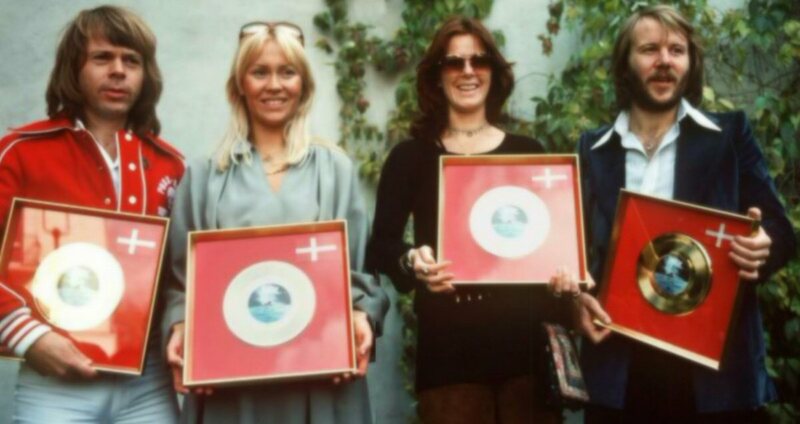 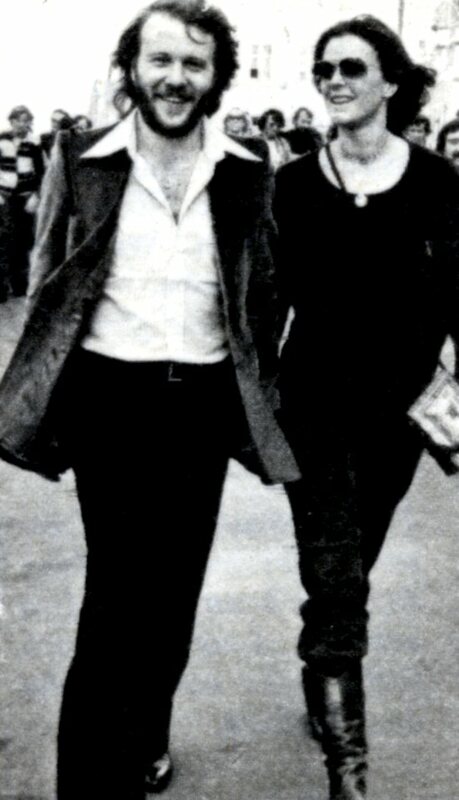 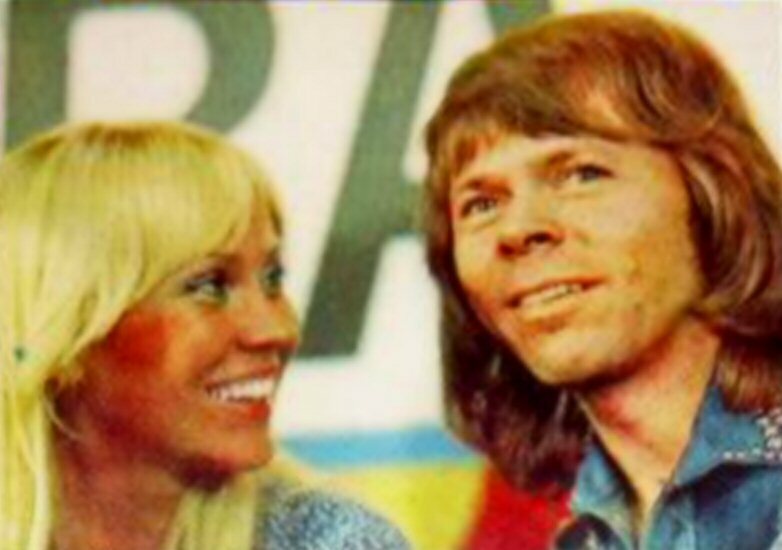 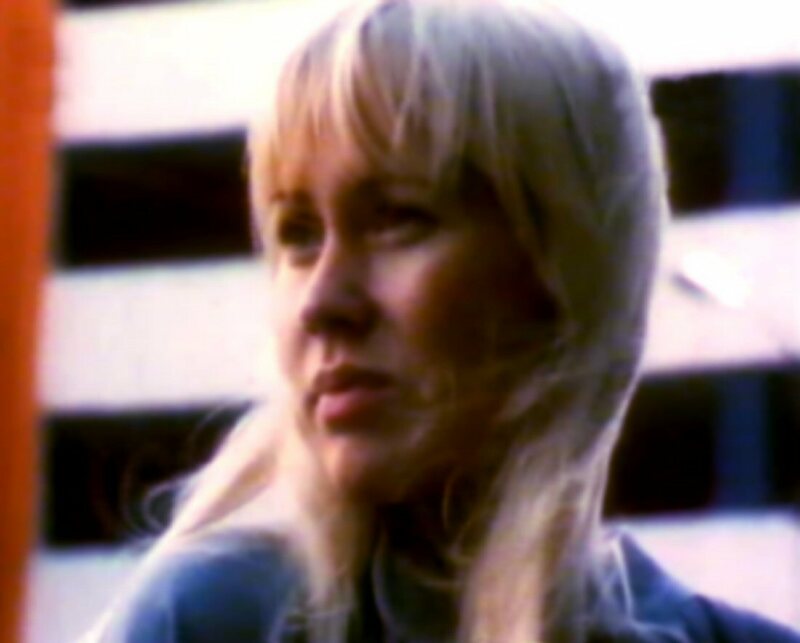 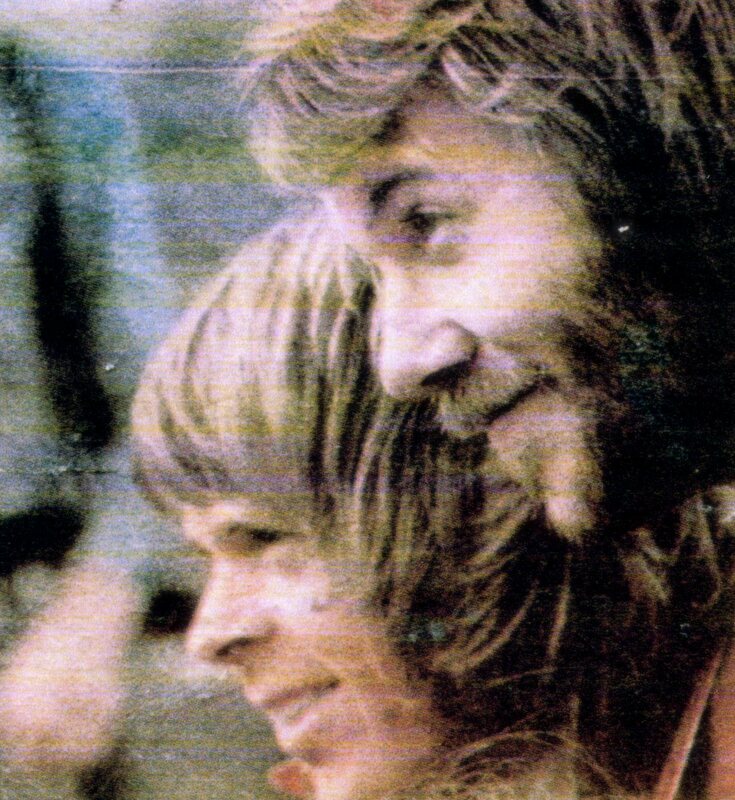 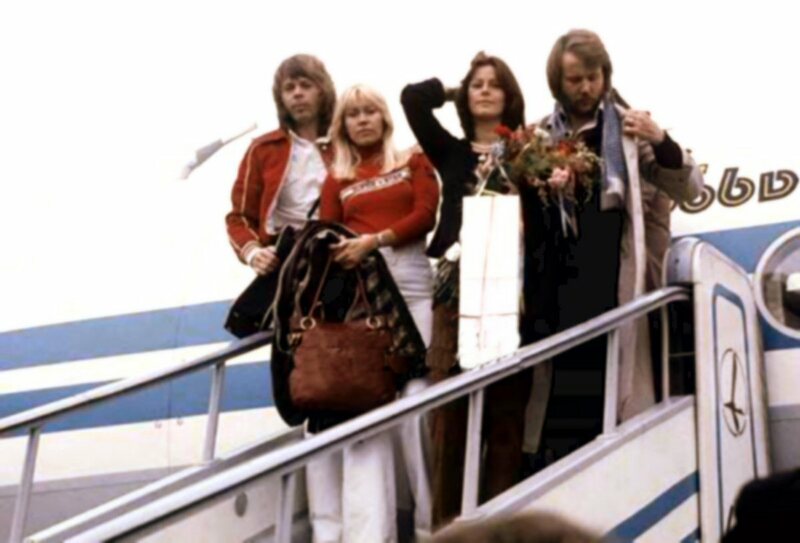 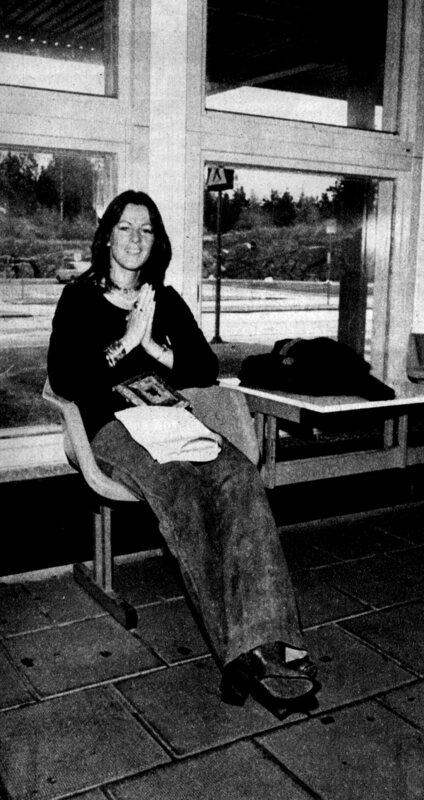 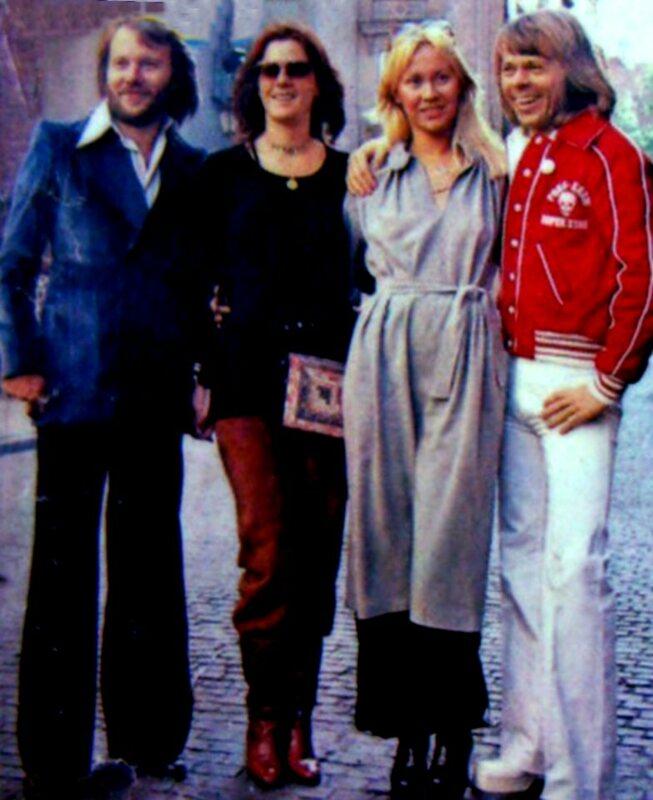 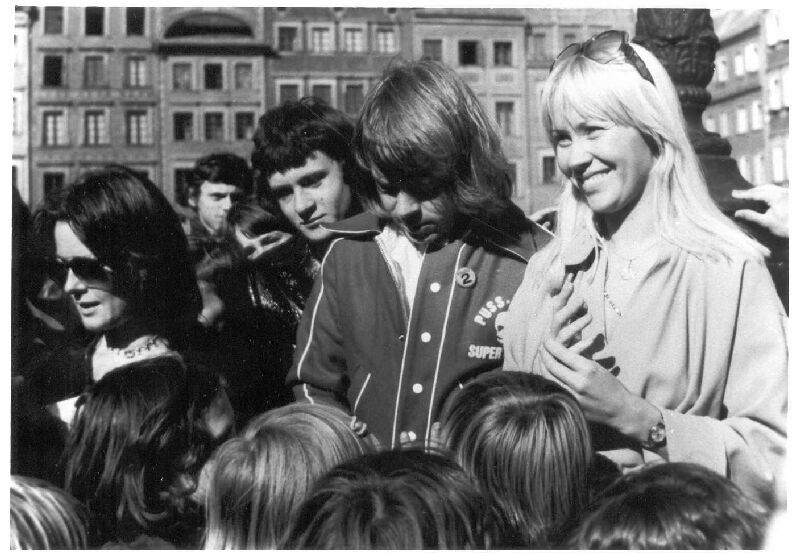 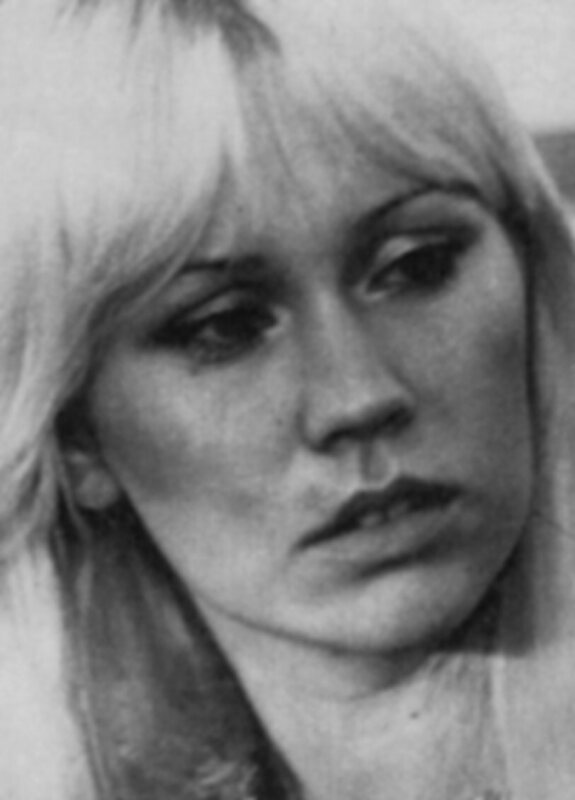 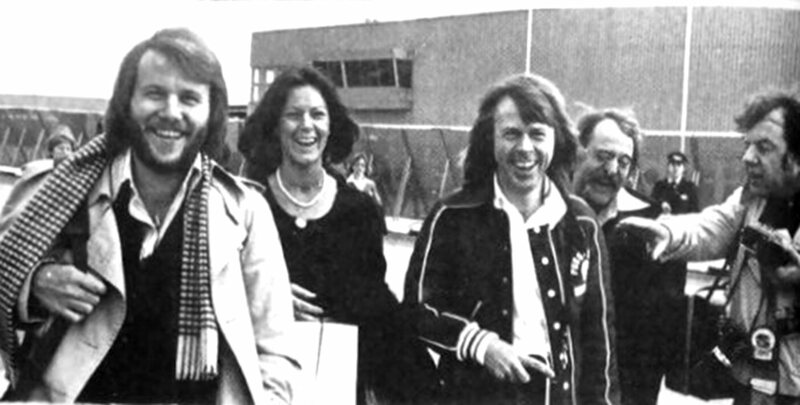 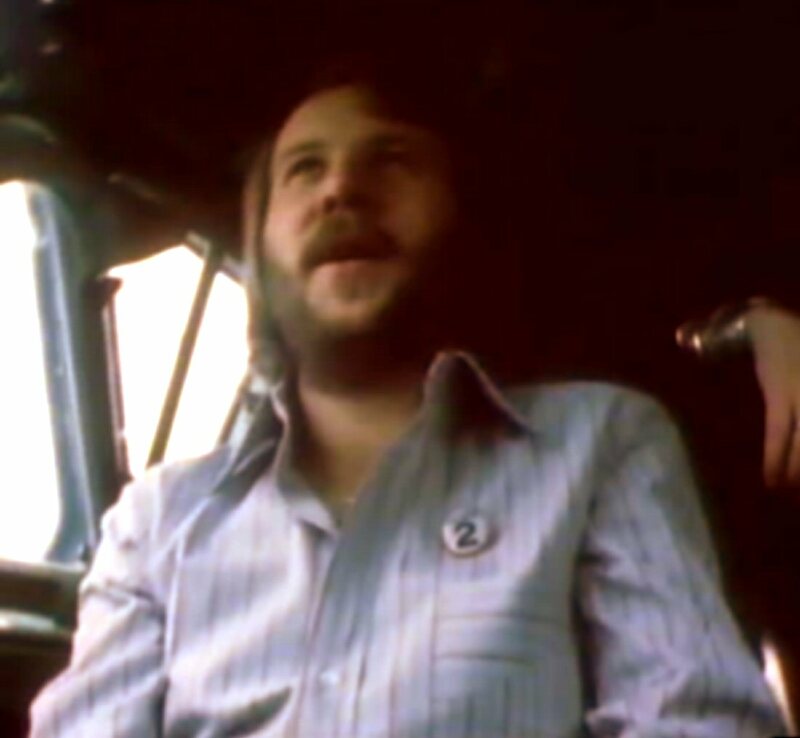 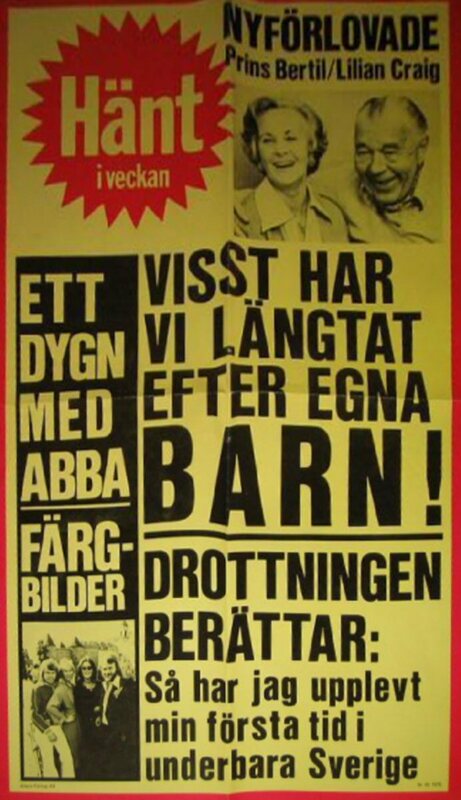 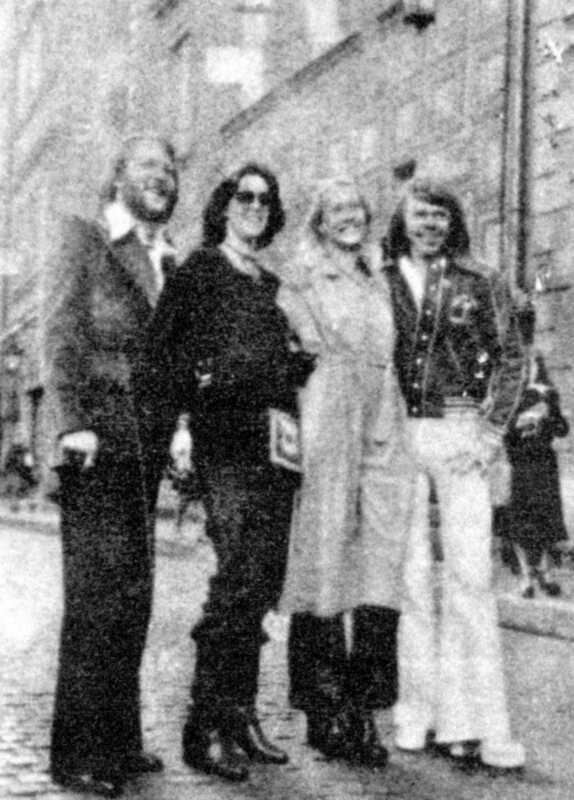 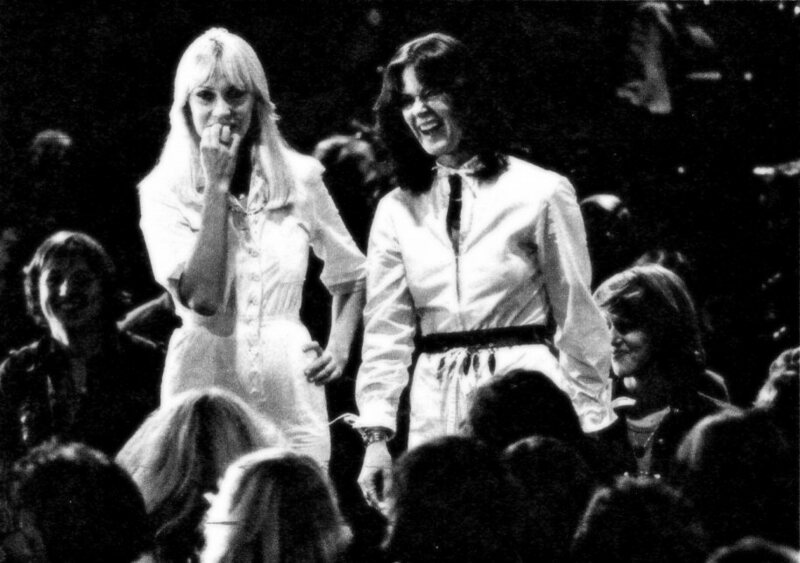 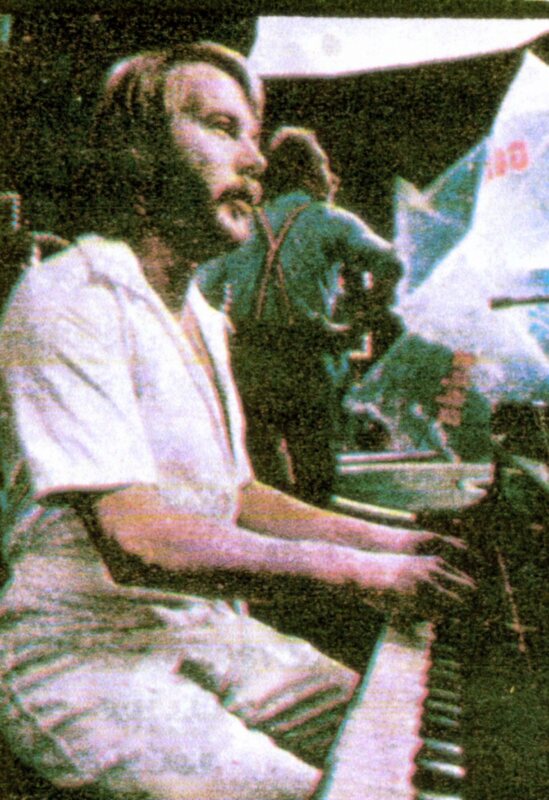 Frida, Benny and Björn travelled together to Poland on October 7th - Agnetha and her father Ingvar had arrived already one day before, on October 6th, 1976. 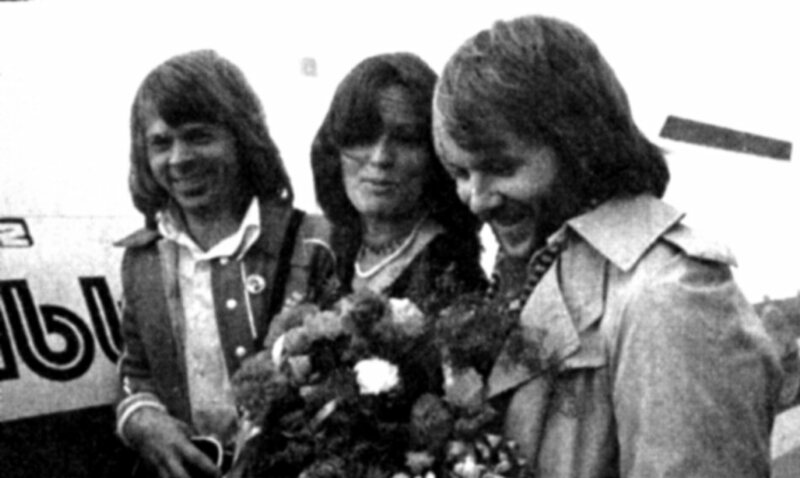 The Polish TV team made a short documentary from the trip to Poland including a video clip "SOS". 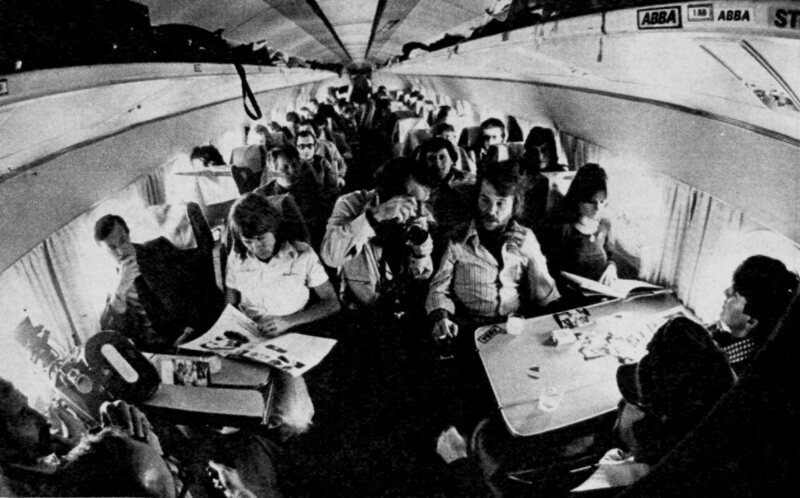 Even a short interview was done by Polish journalists during the flight. 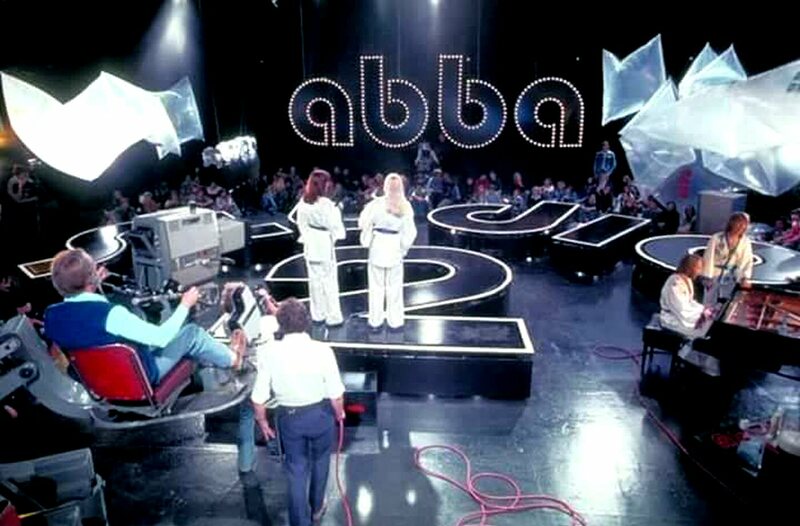 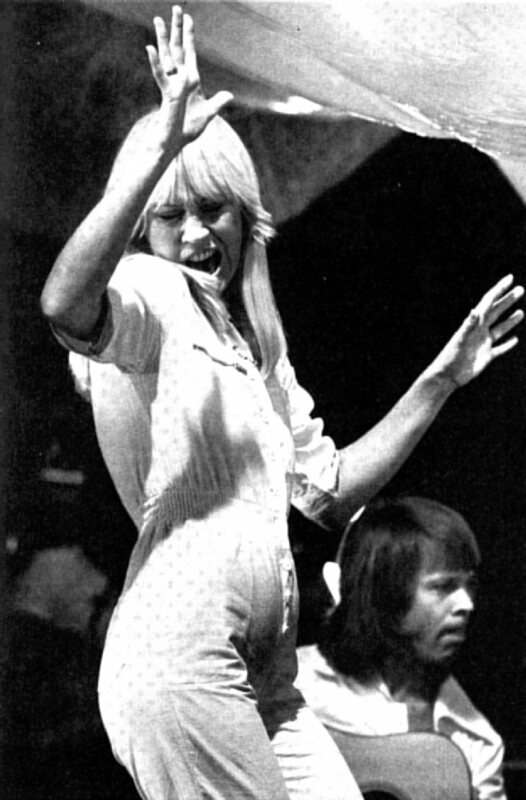 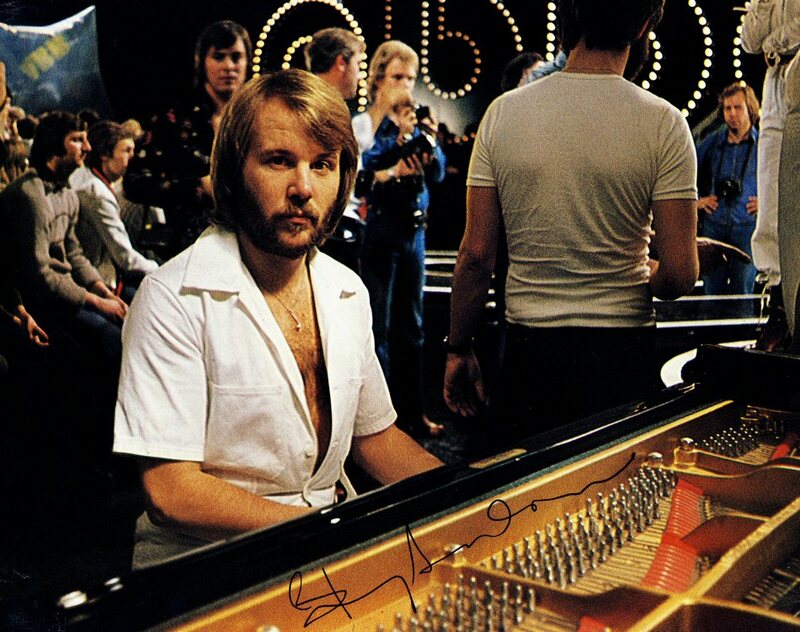 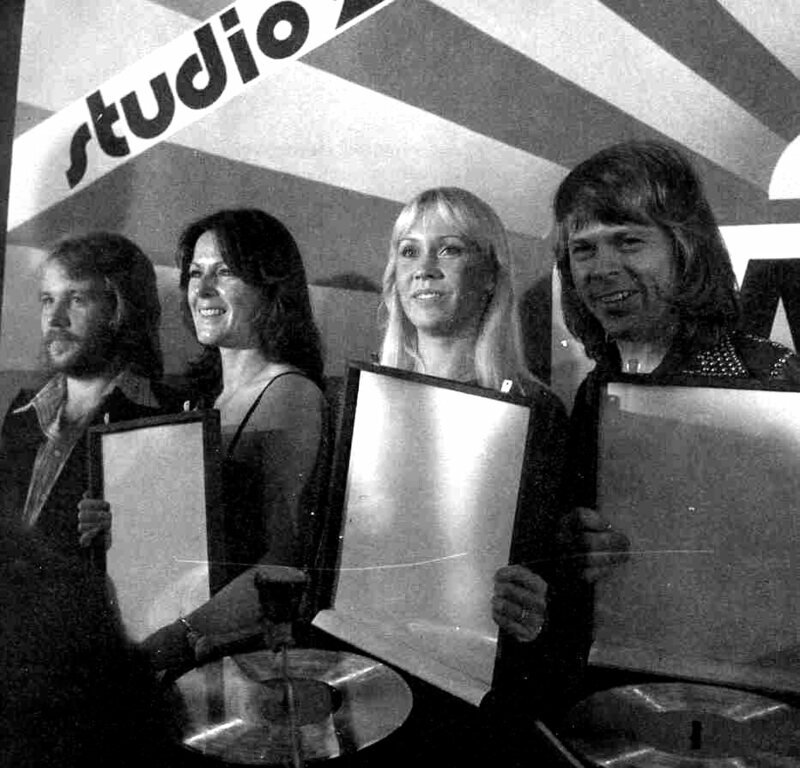 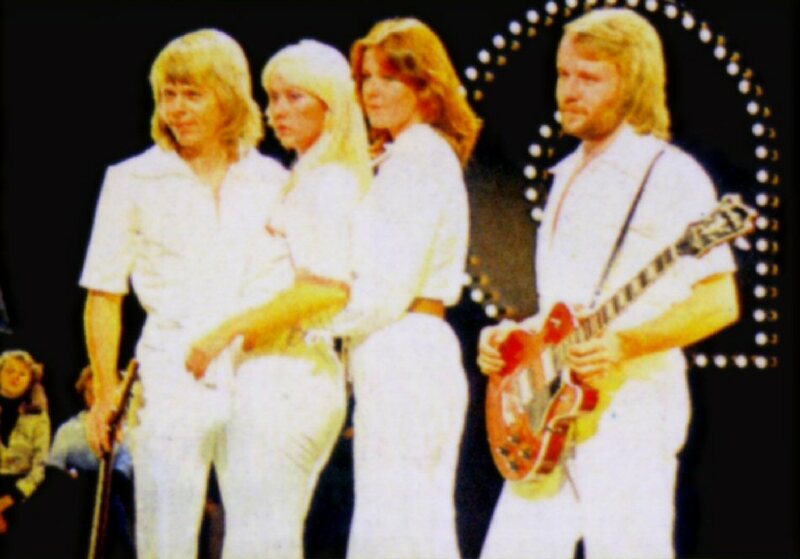 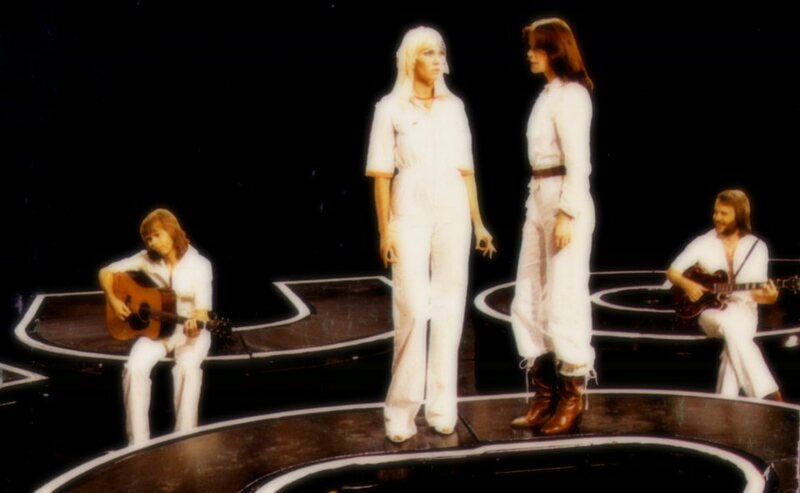 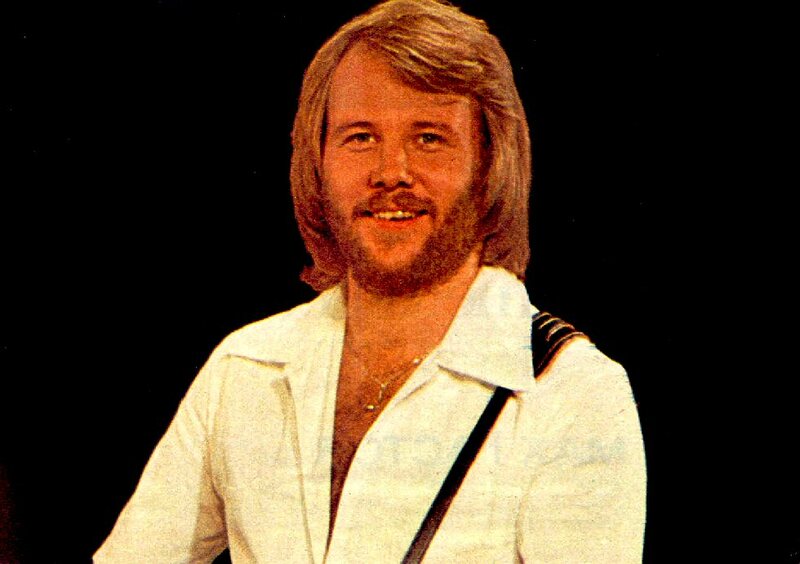 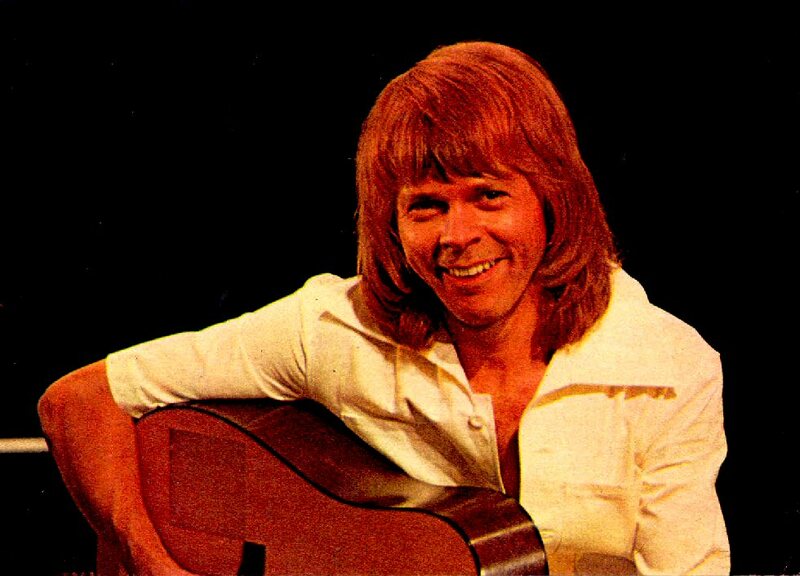 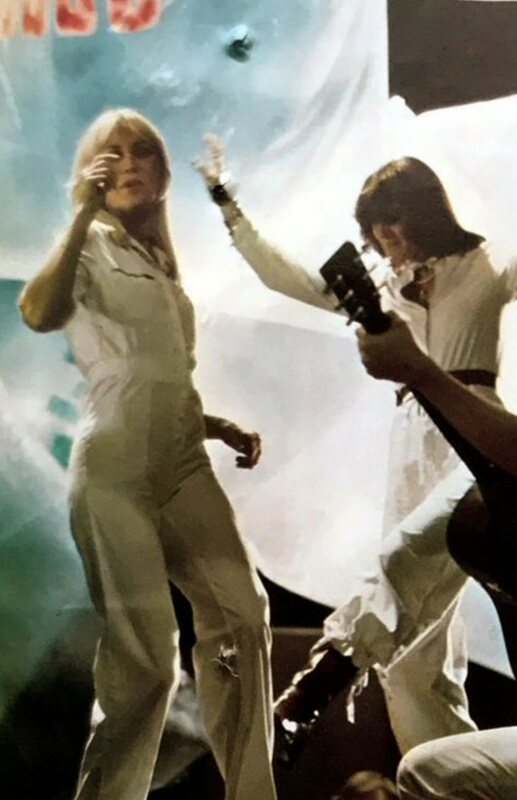 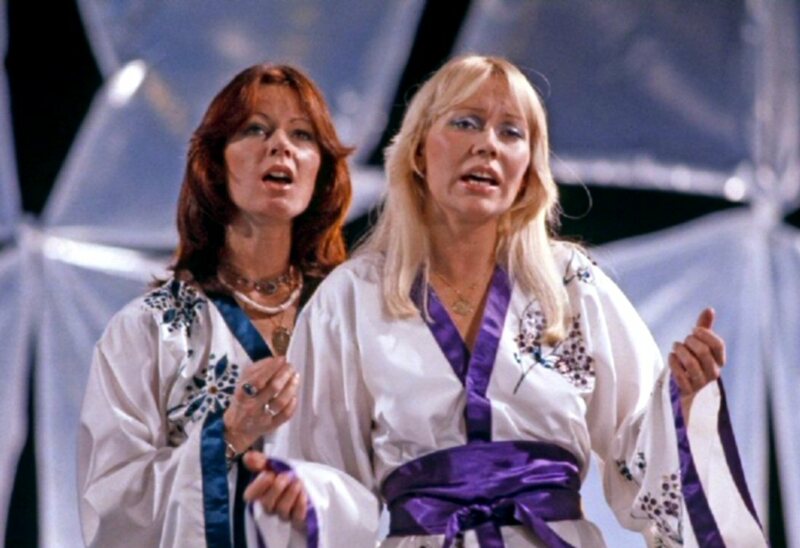 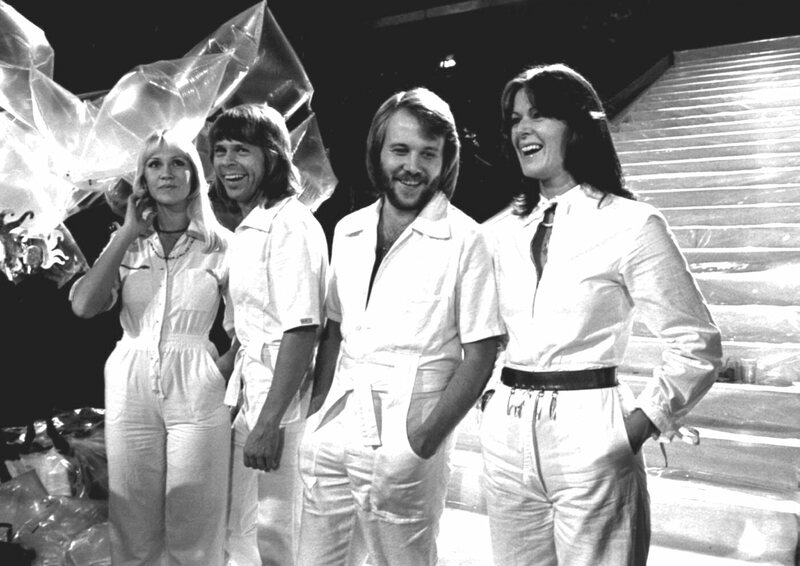 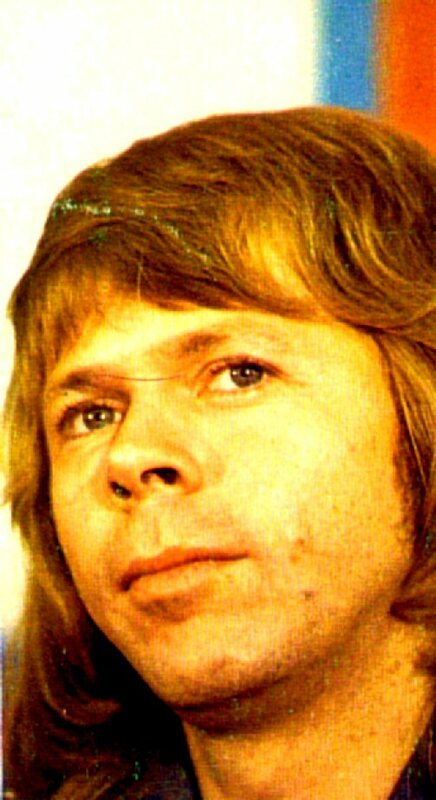 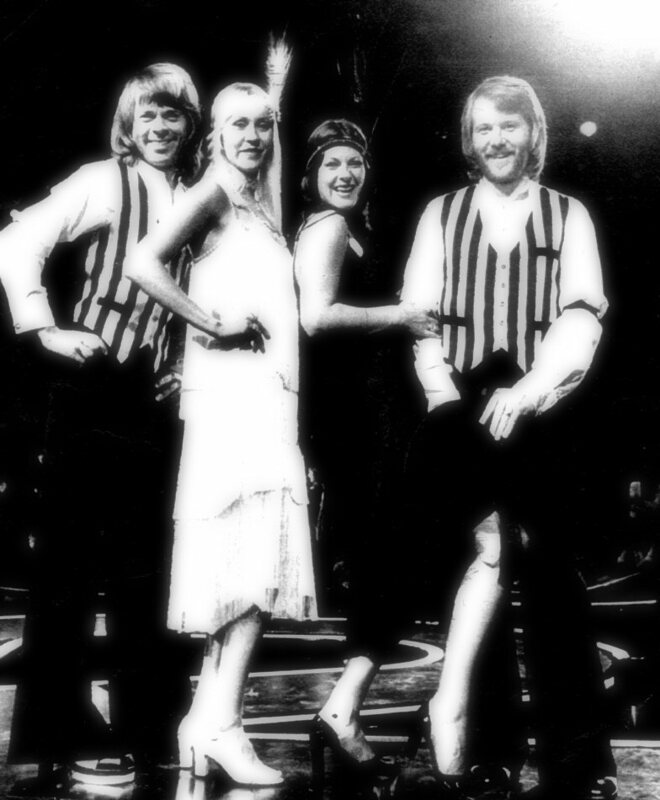 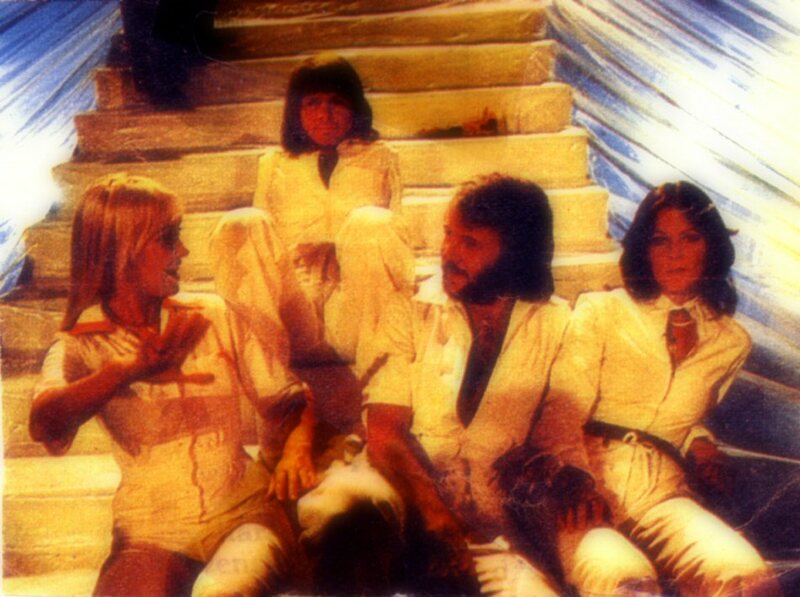 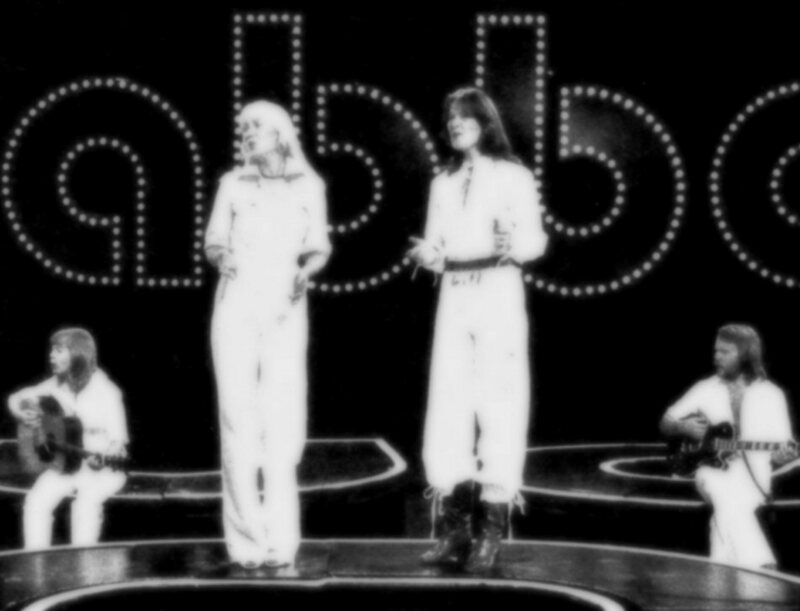 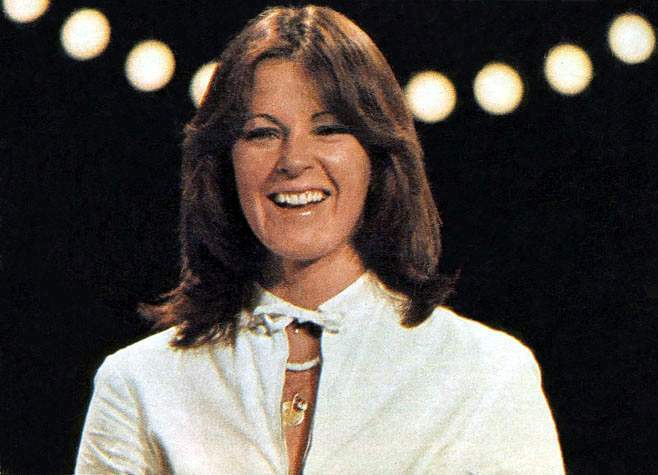 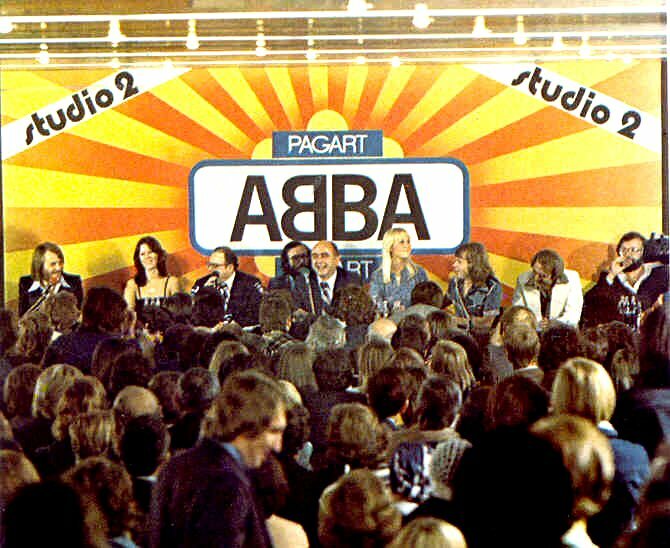 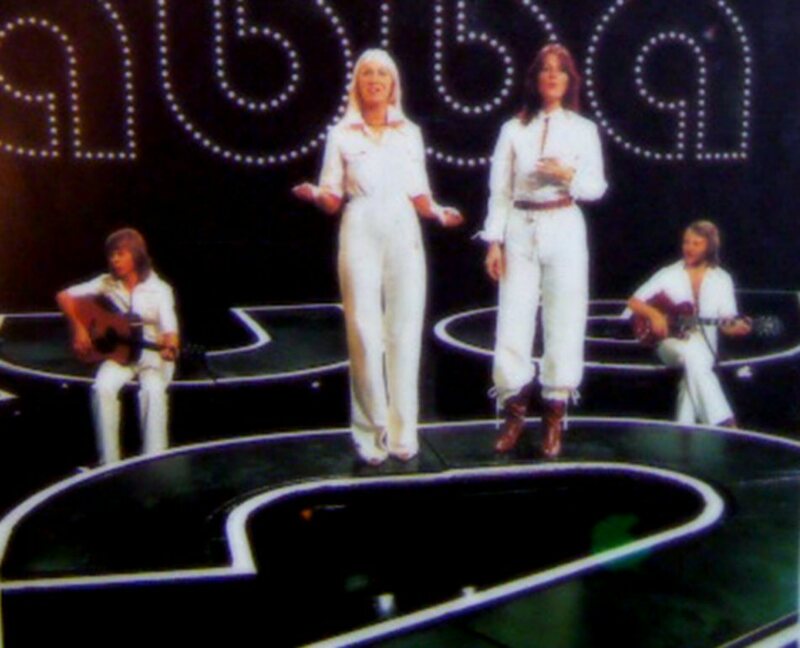 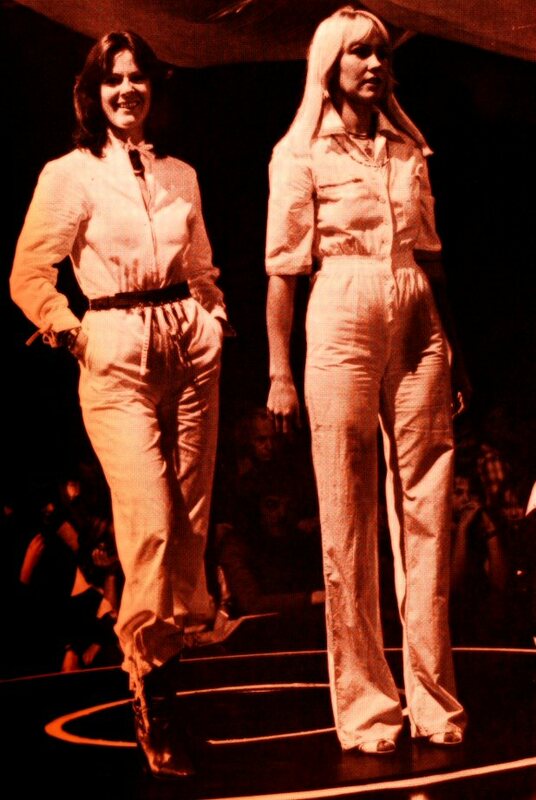 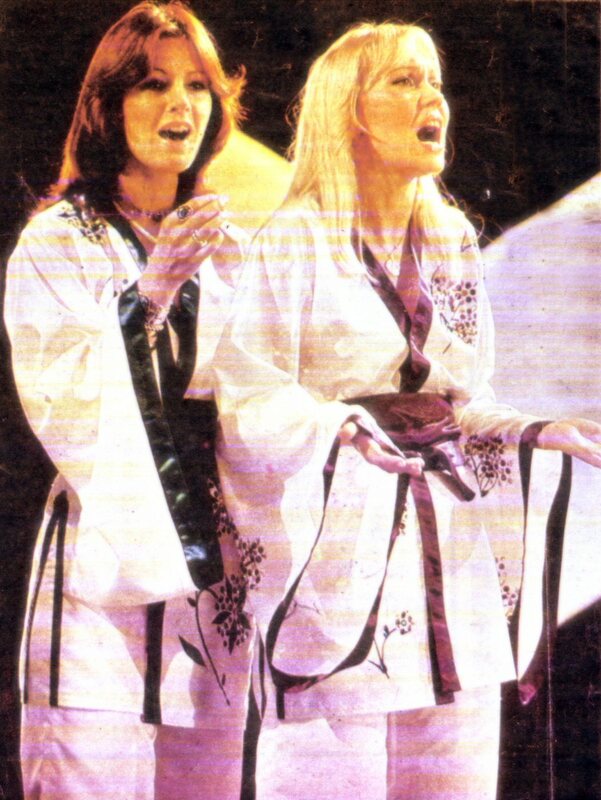 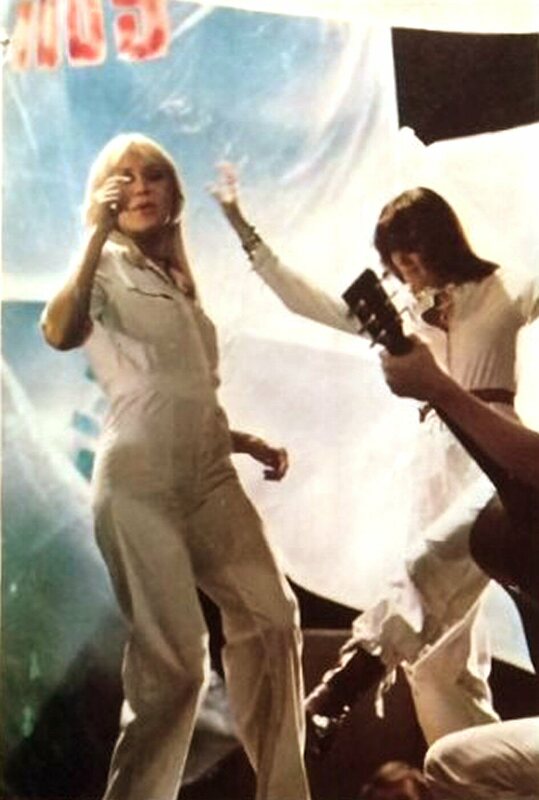 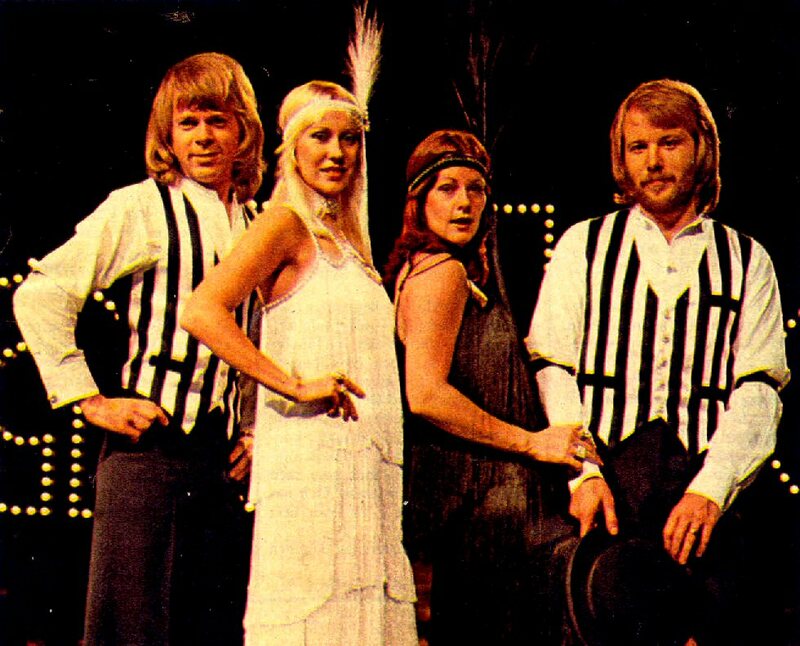 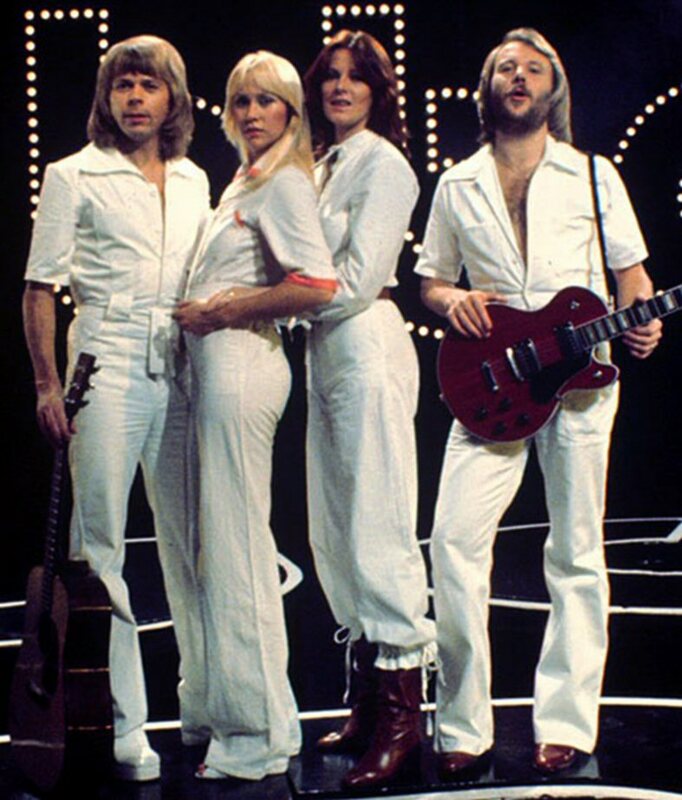 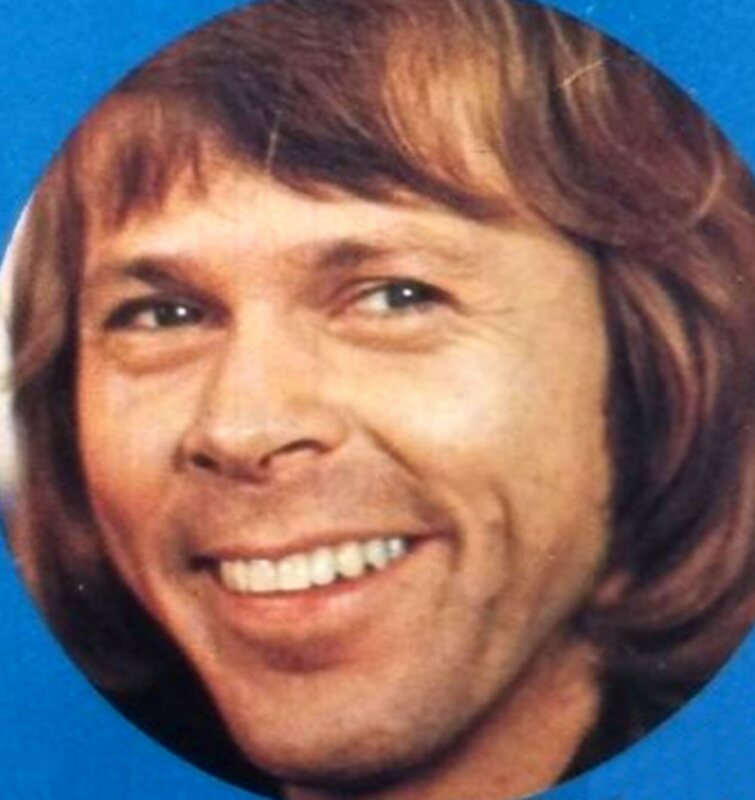 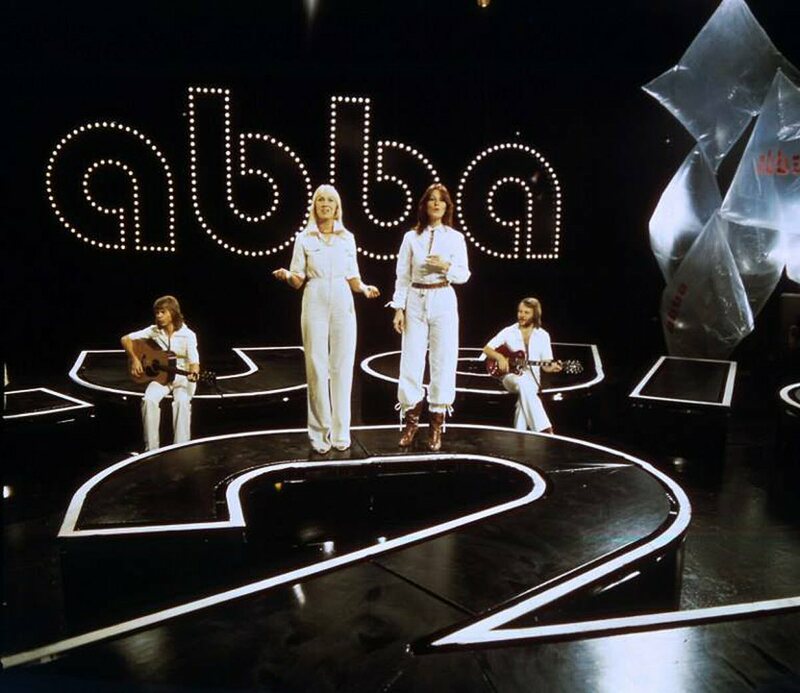 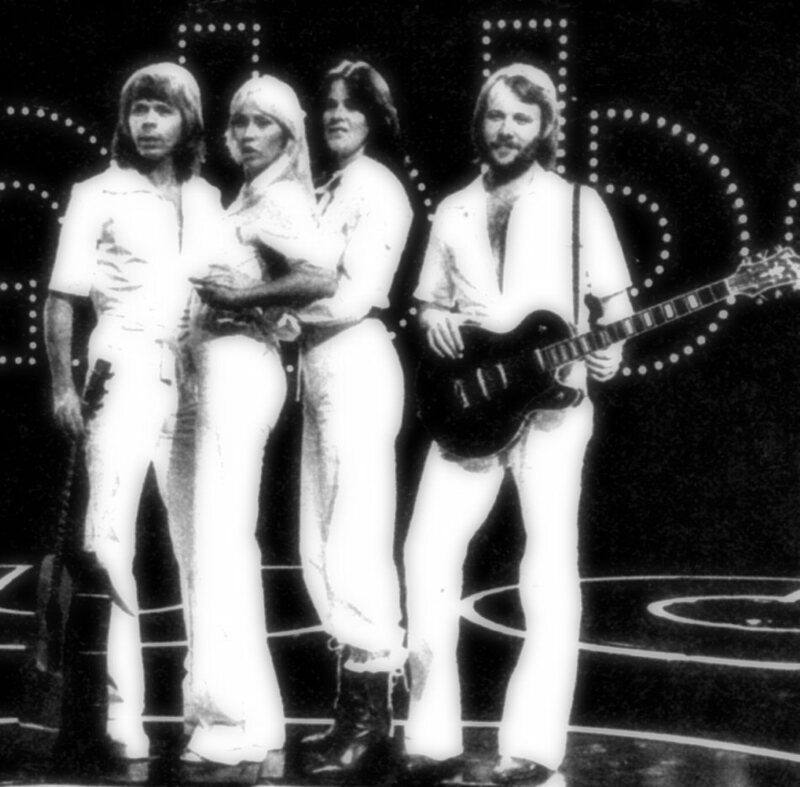 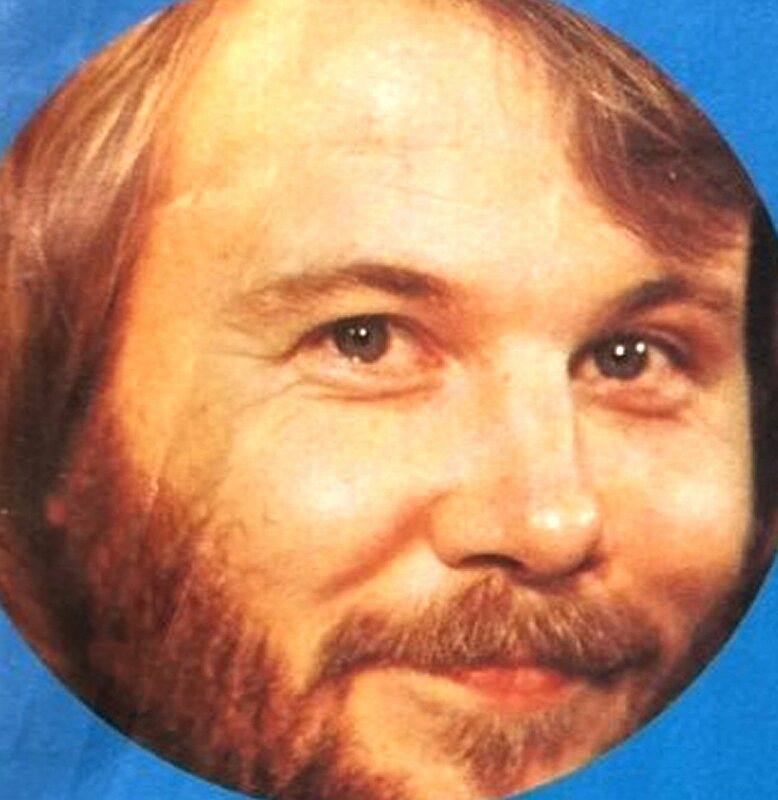 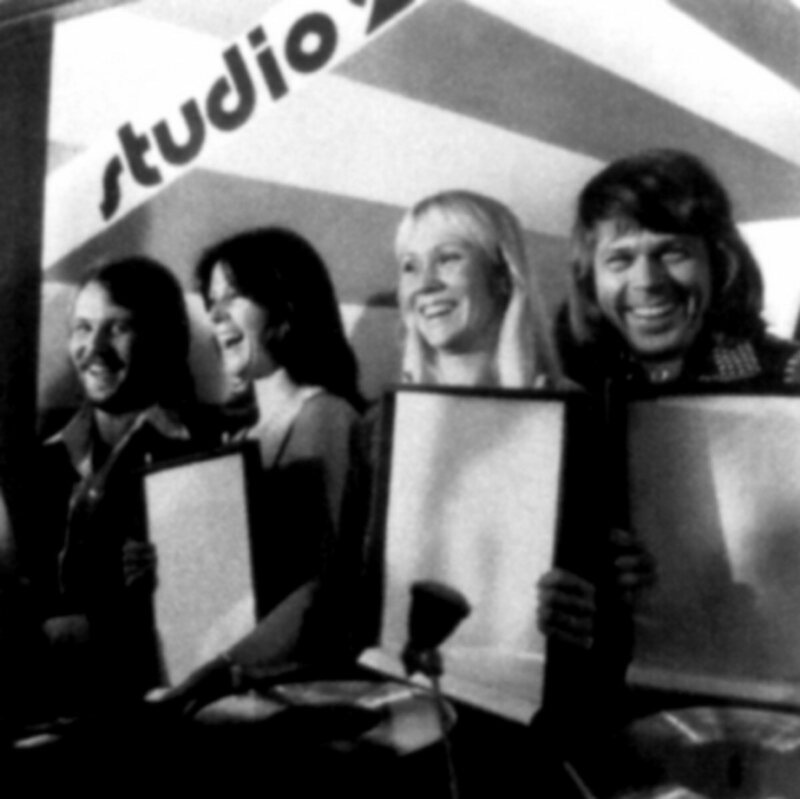 In the show "ABBA in Studio-2" the group performed almost all new songs from the forthcoming new album "Arrival" and the already well-known world hit "Fernando". 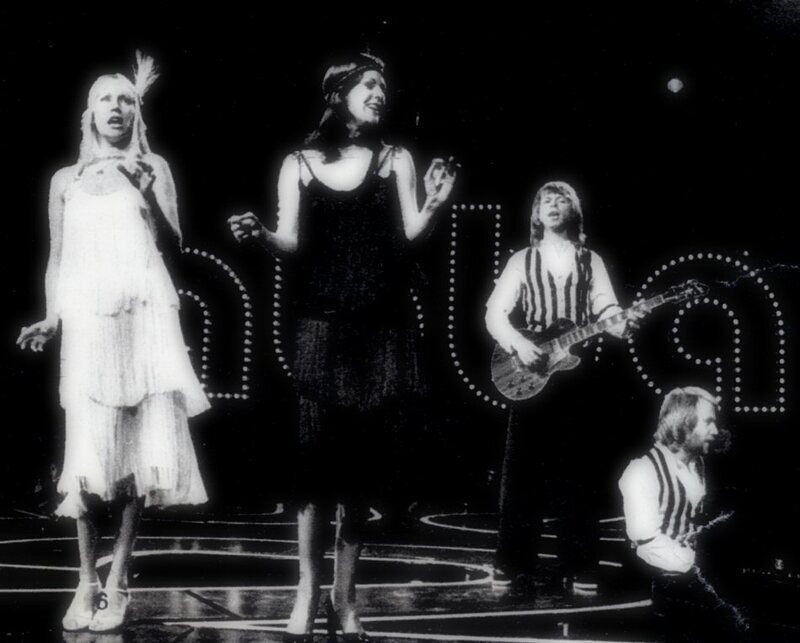 Bonus tracks used in the documentary were SOS and Nina Pretty Ballerina. 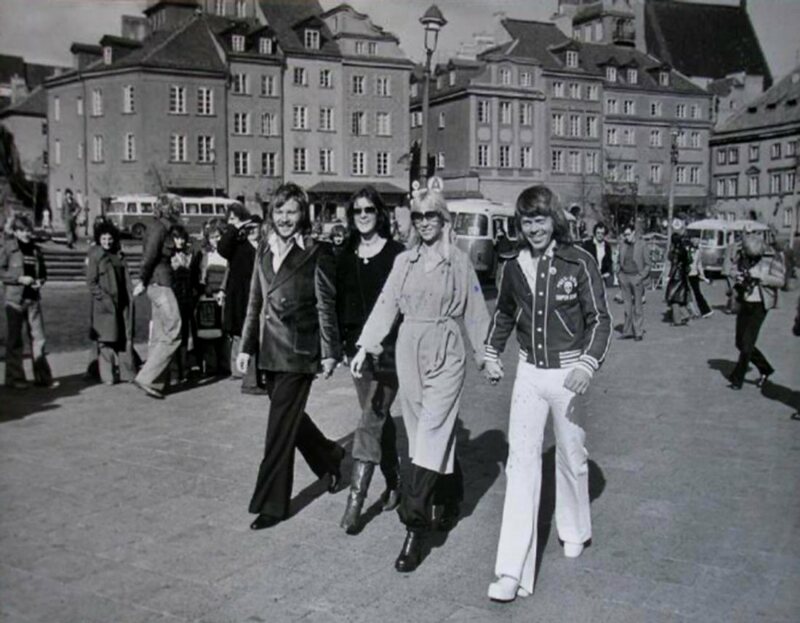 Making of the video "SOS"
The Polish TV team recorded Agnetha's parts for the special video "SOS" outside the "Forum" hotel where the group stayed during their visit in Warsaw. 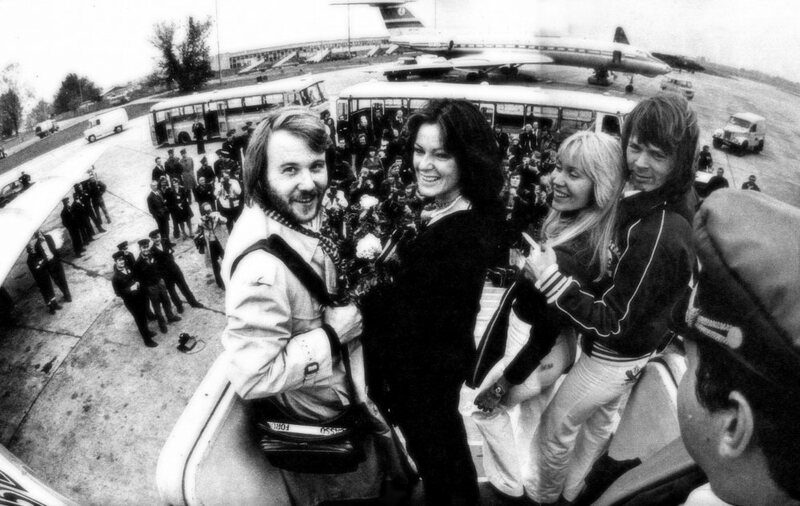 Frida, Benny and Björn mimed their parts sitting on the plane from Stockholm to Warsaw. 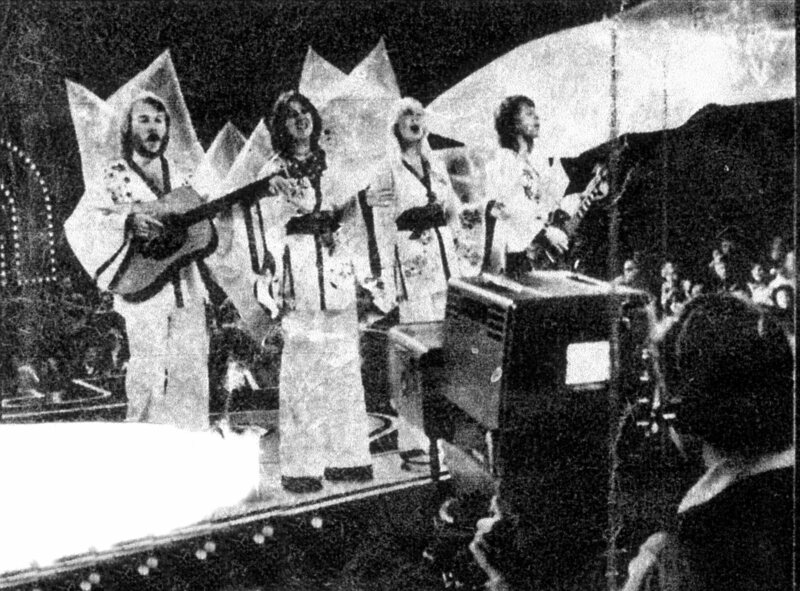 According to the Polish press the recording of this TV special took whole day. 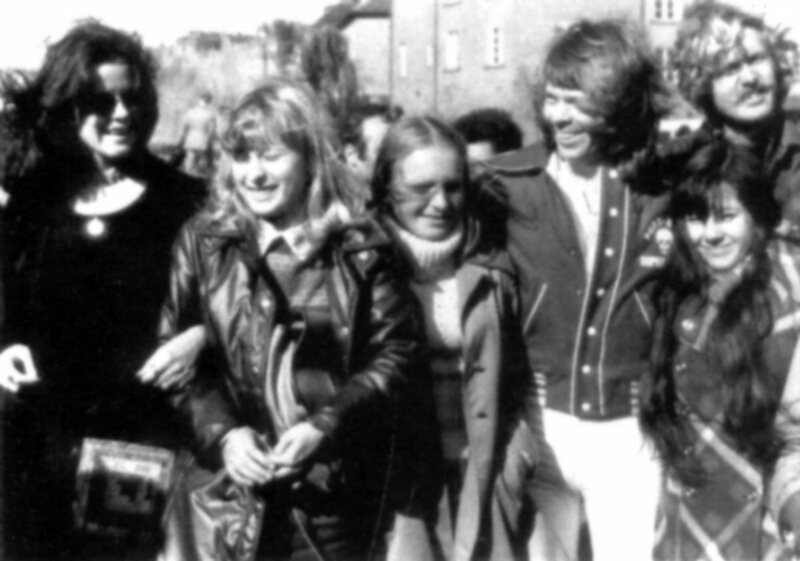 The group members were totally exhausted. 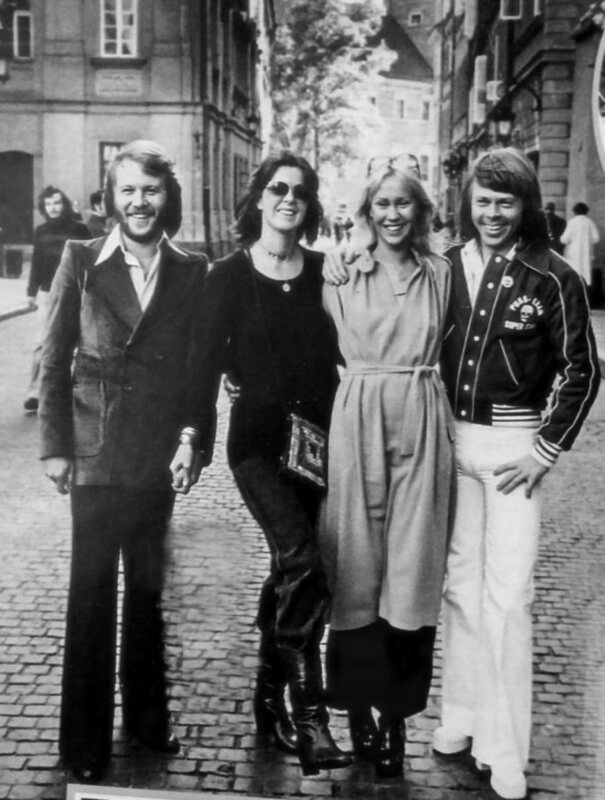 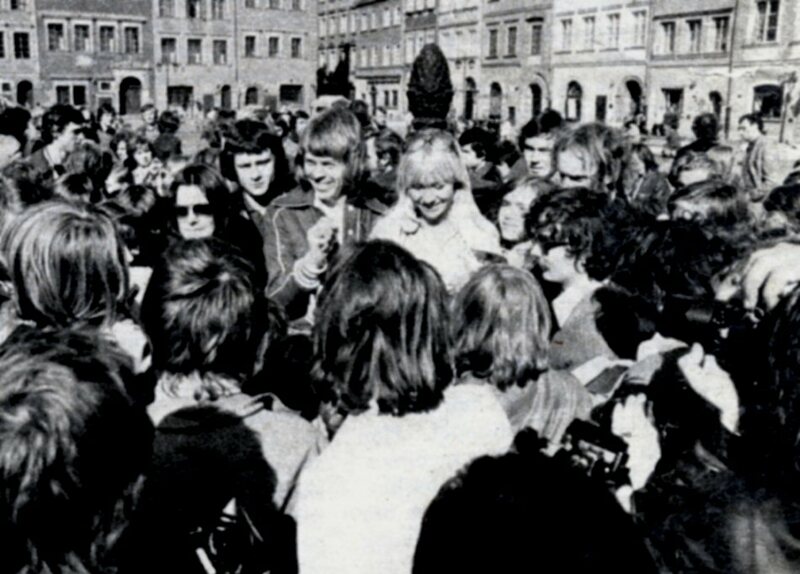 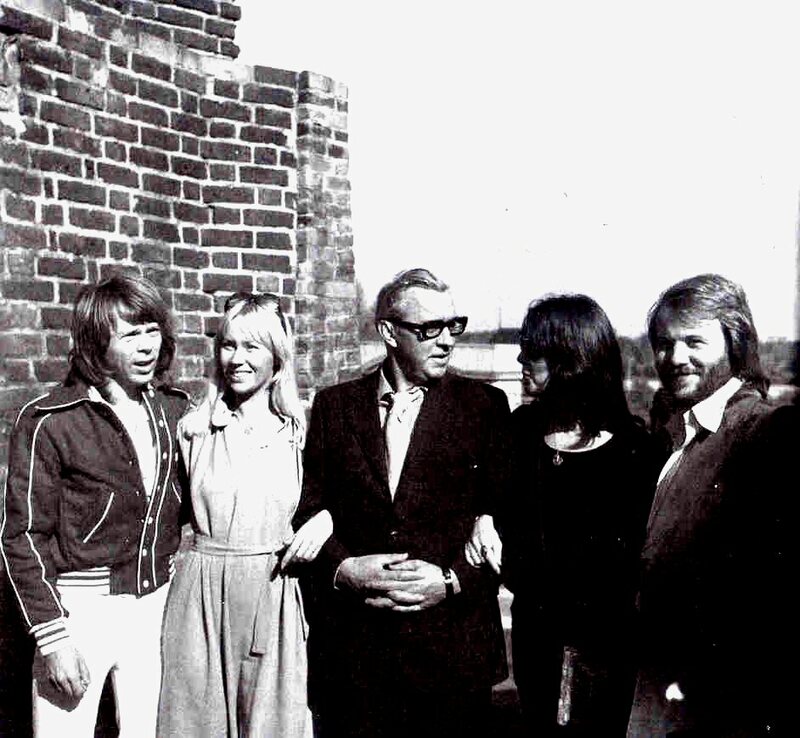 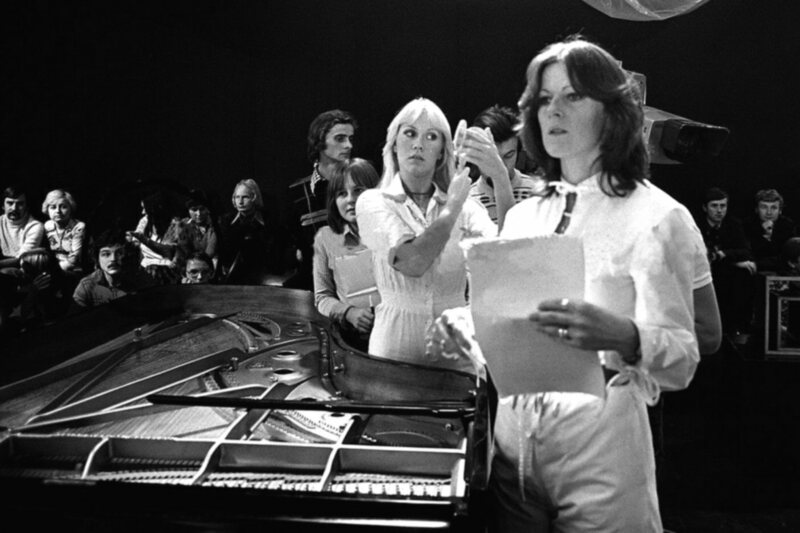 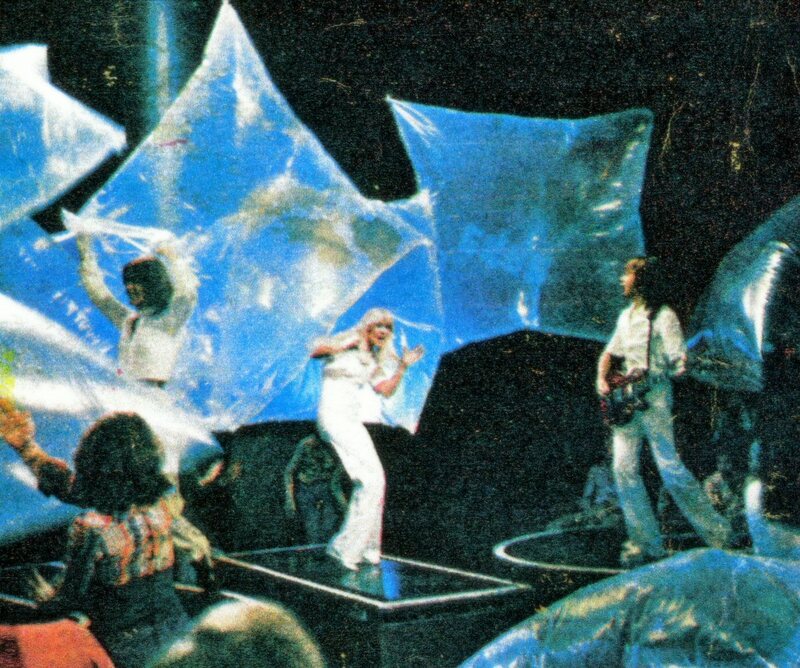 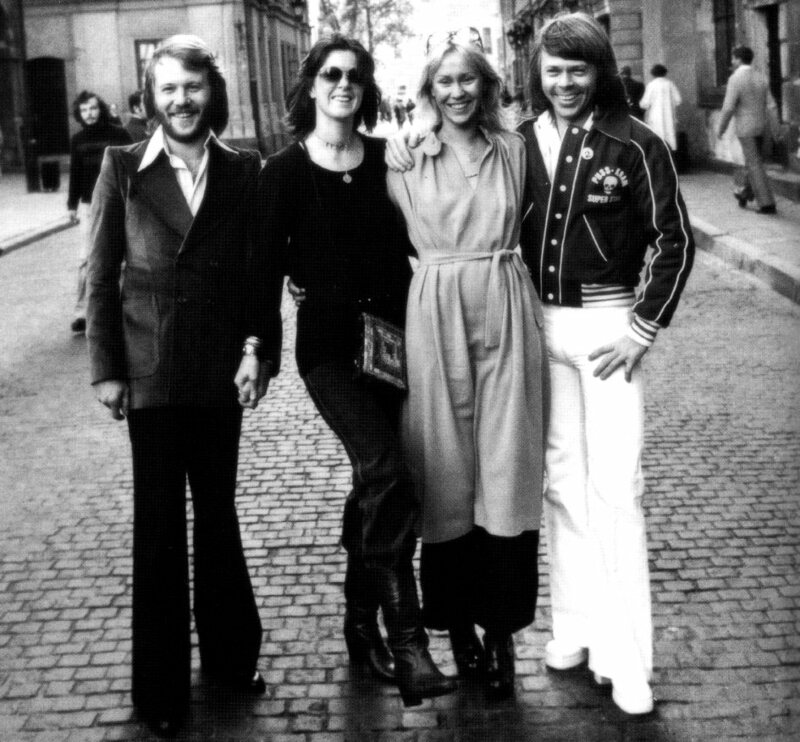 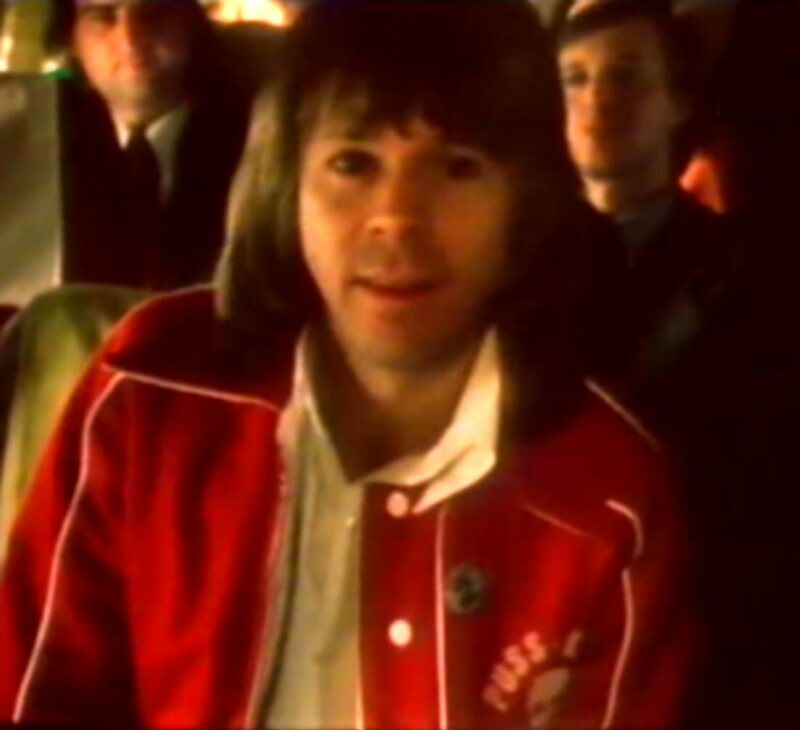 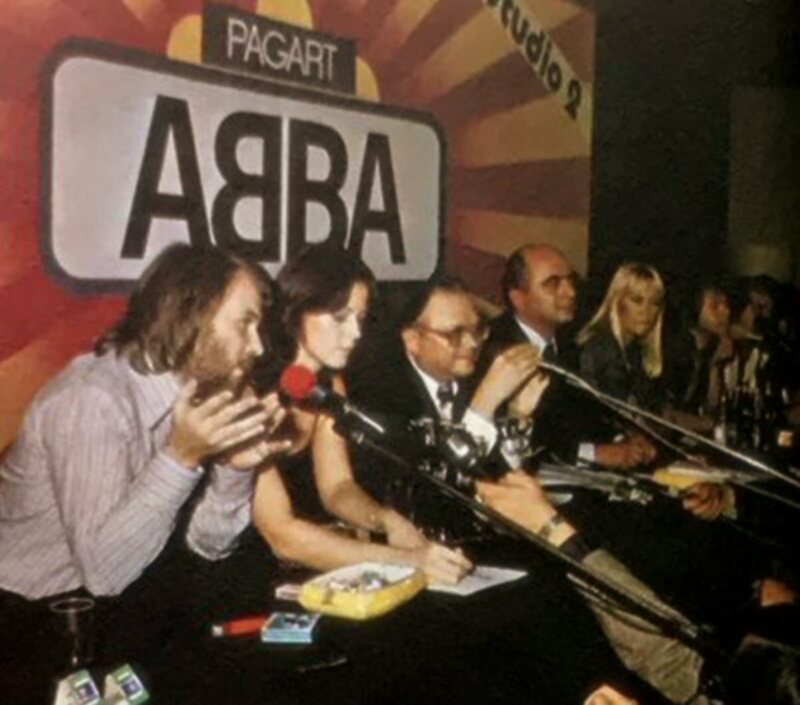 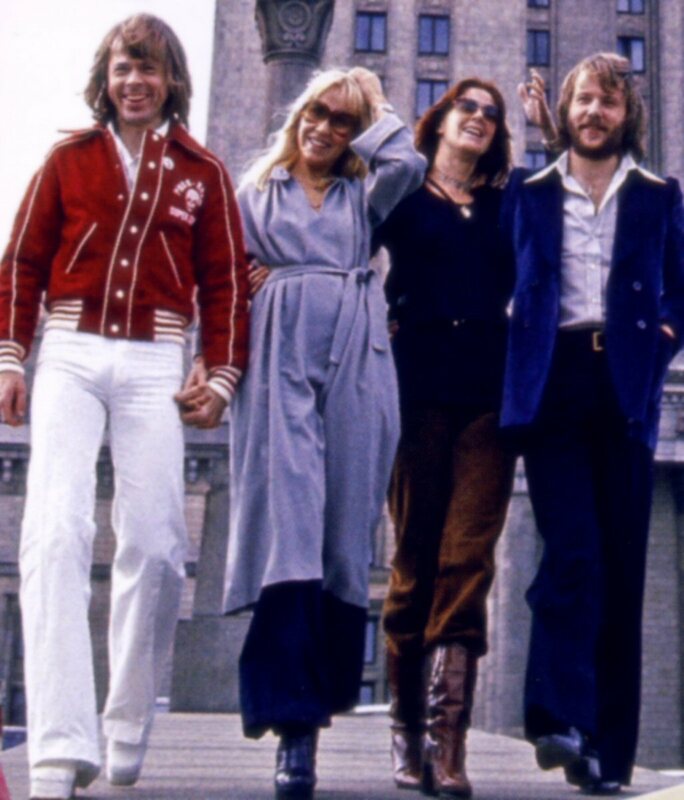 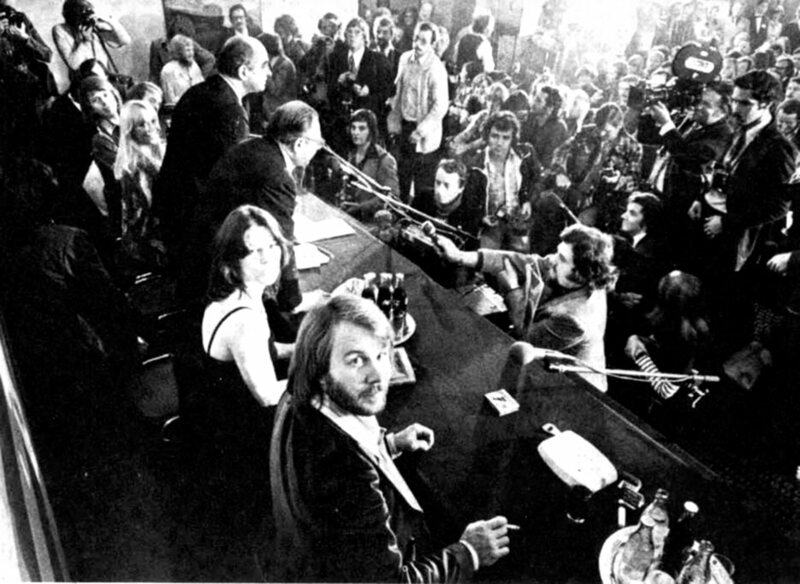 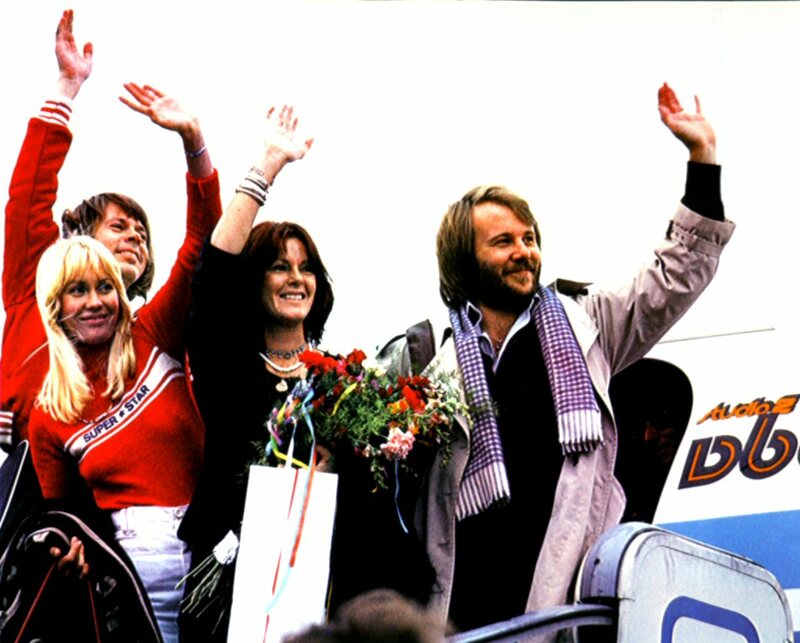 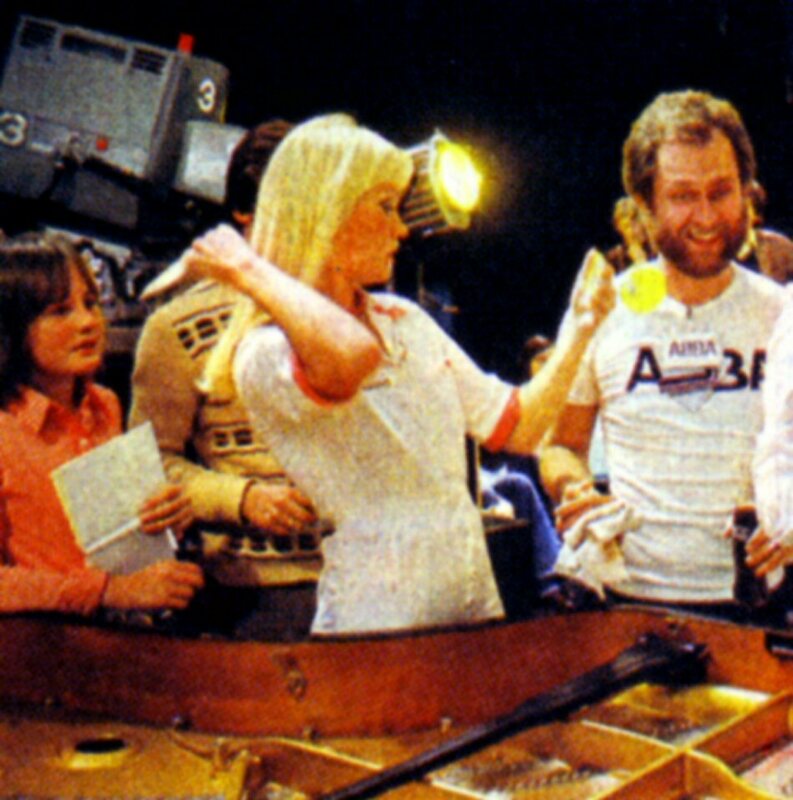 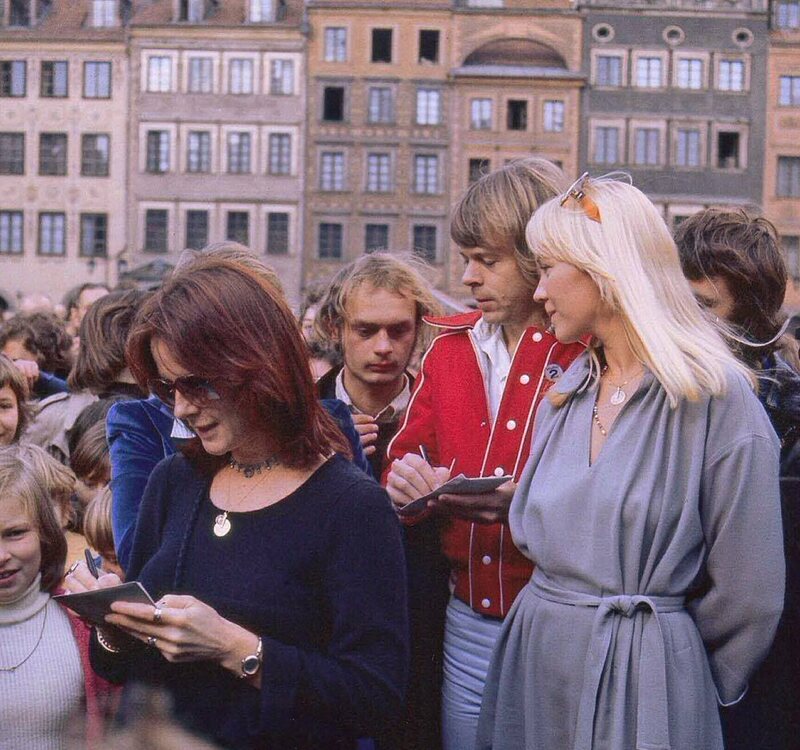 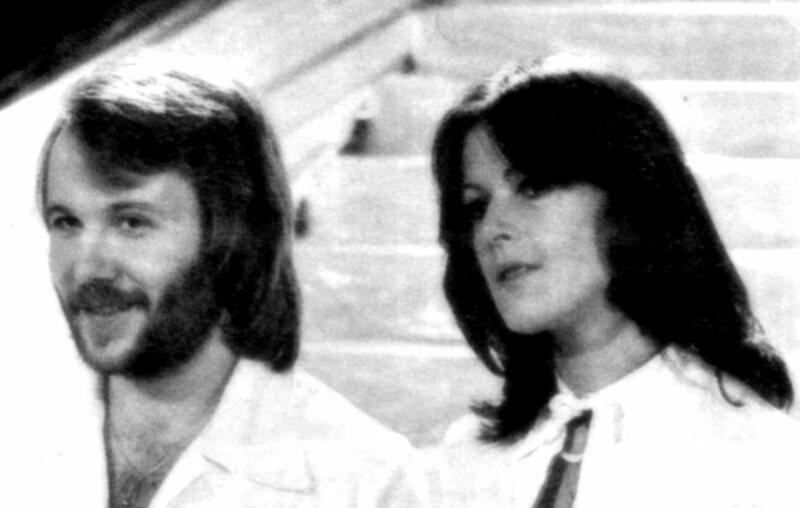 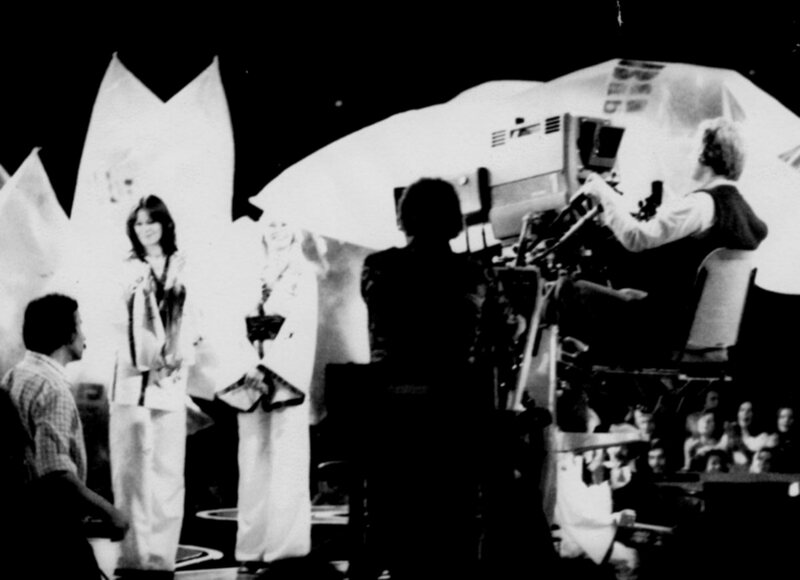 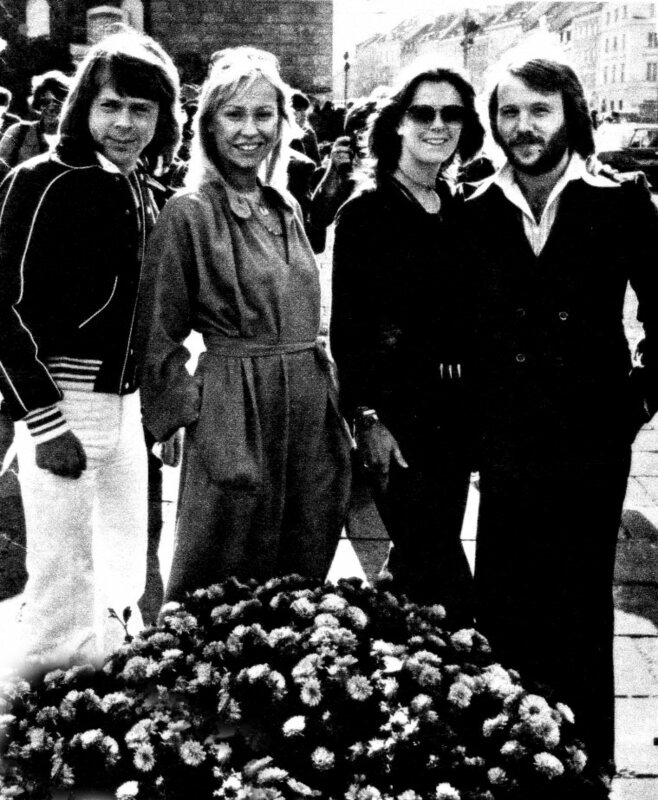 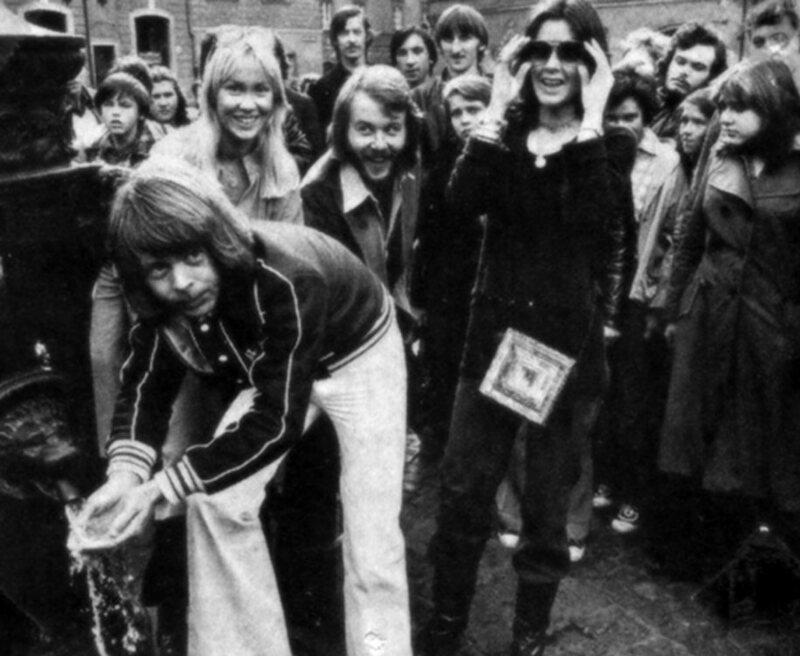 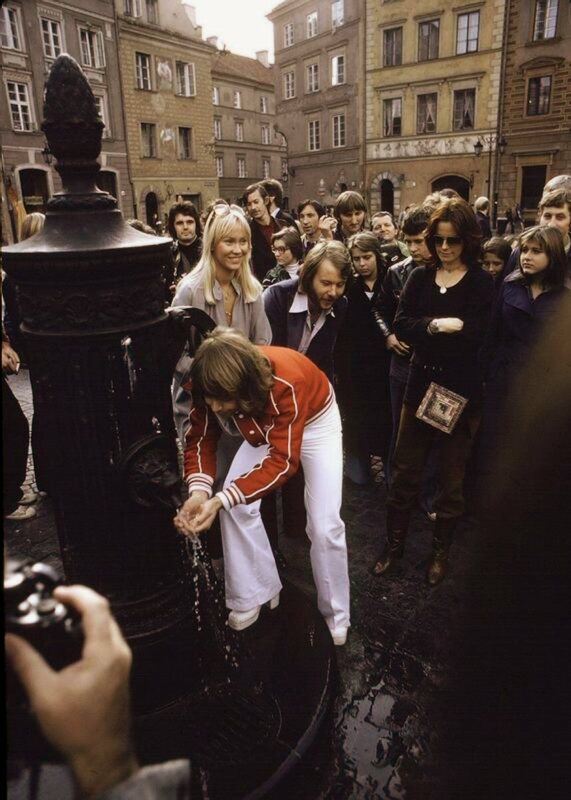 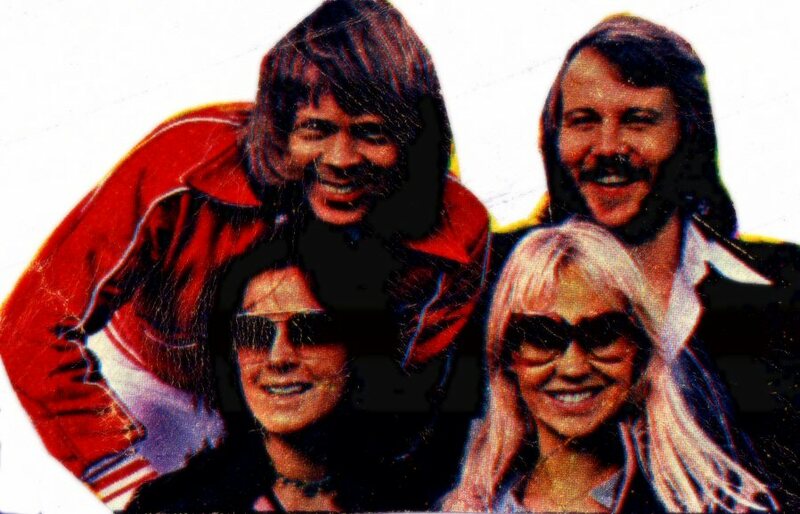 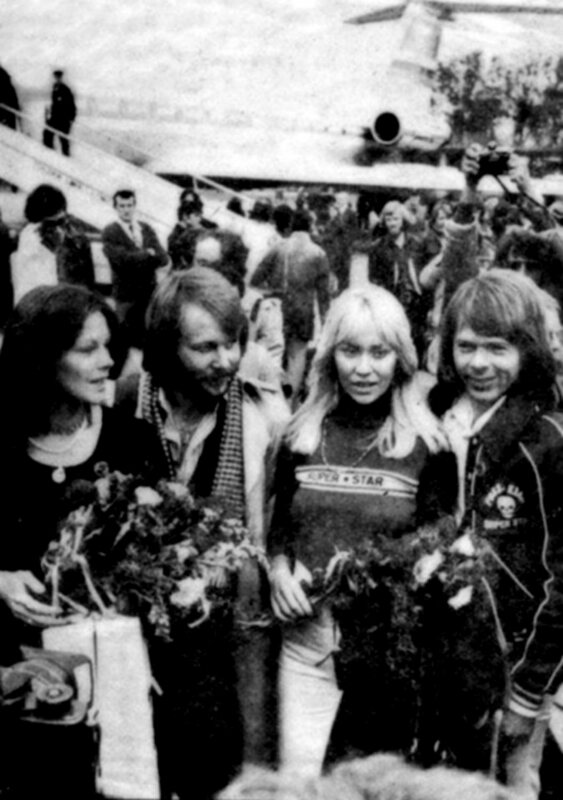 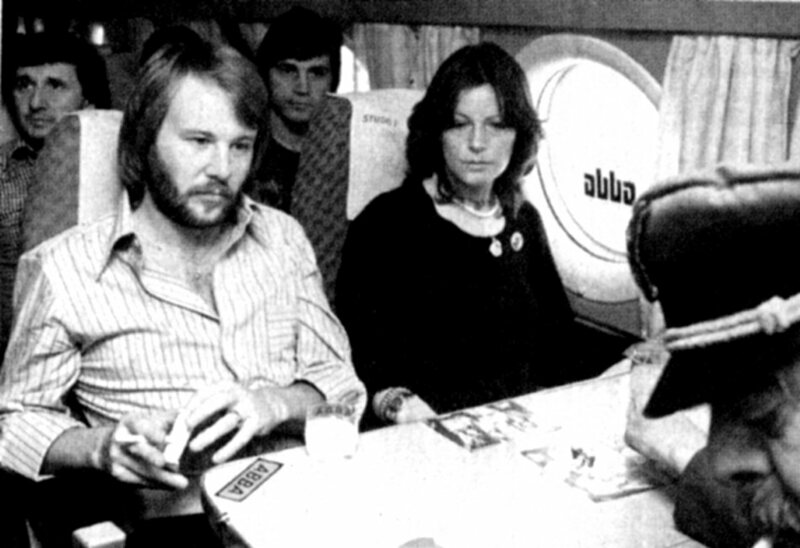 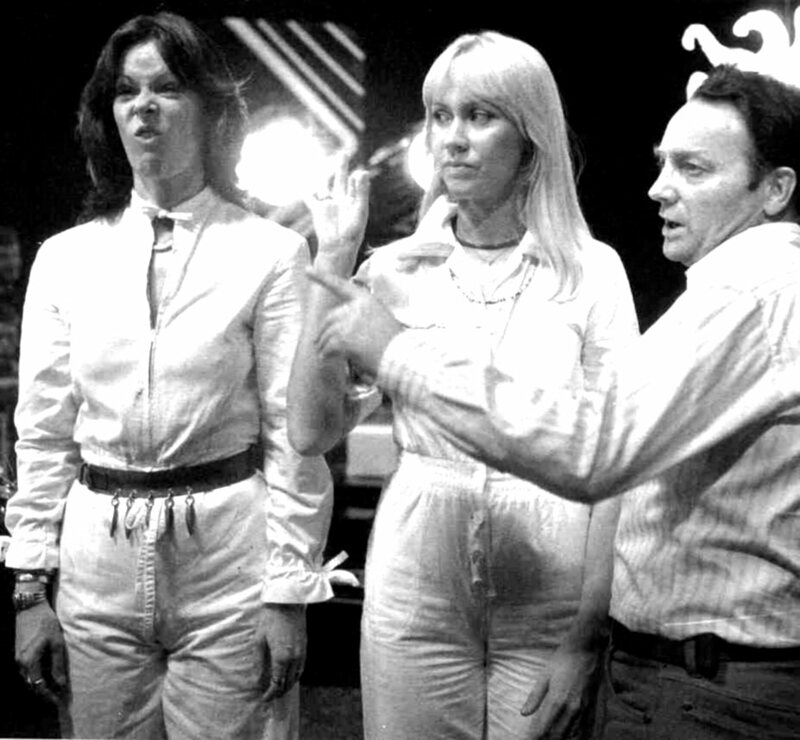 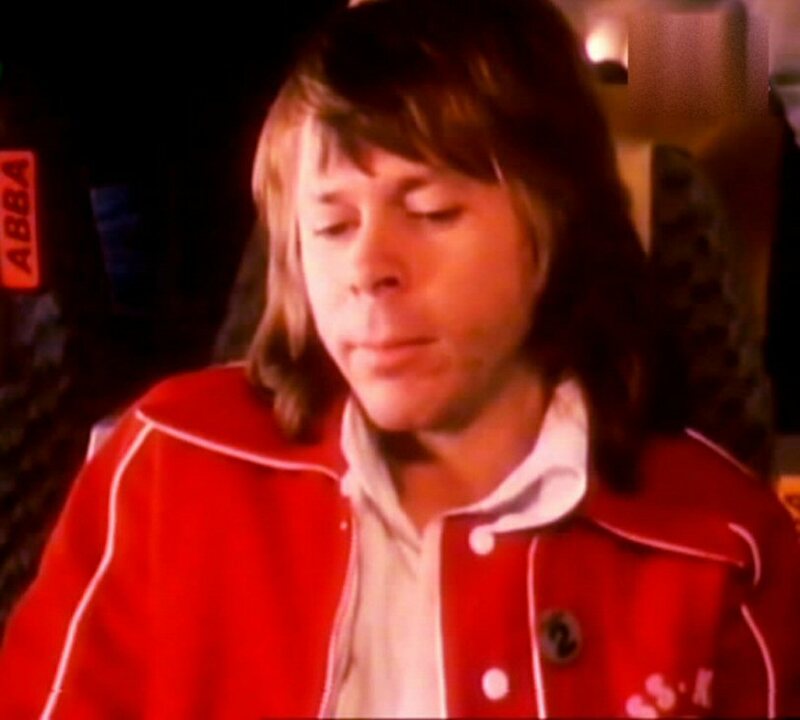 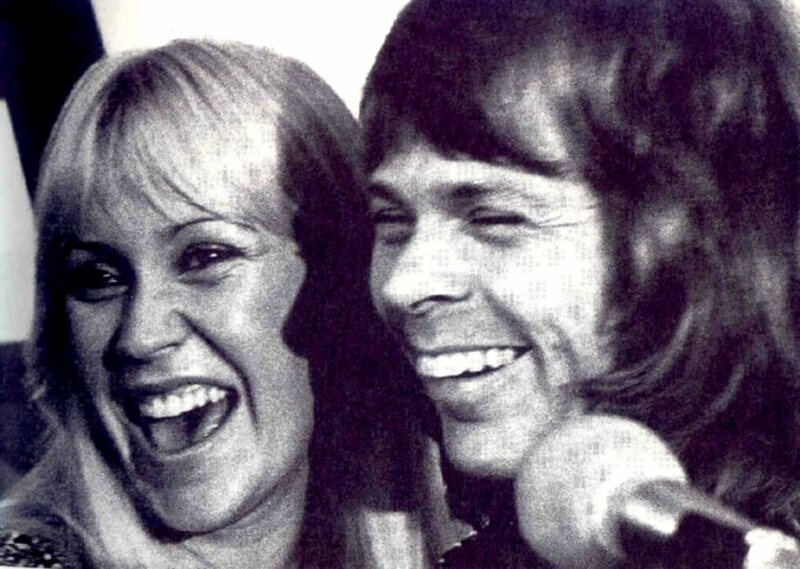 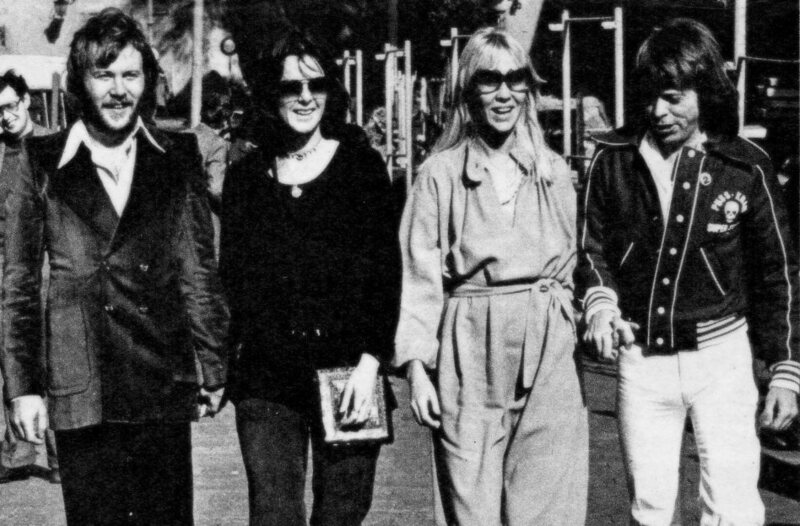 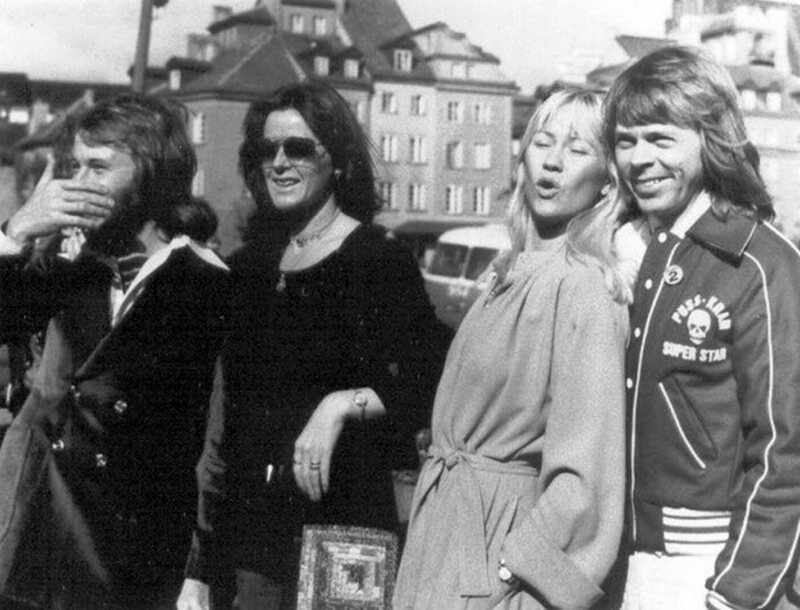 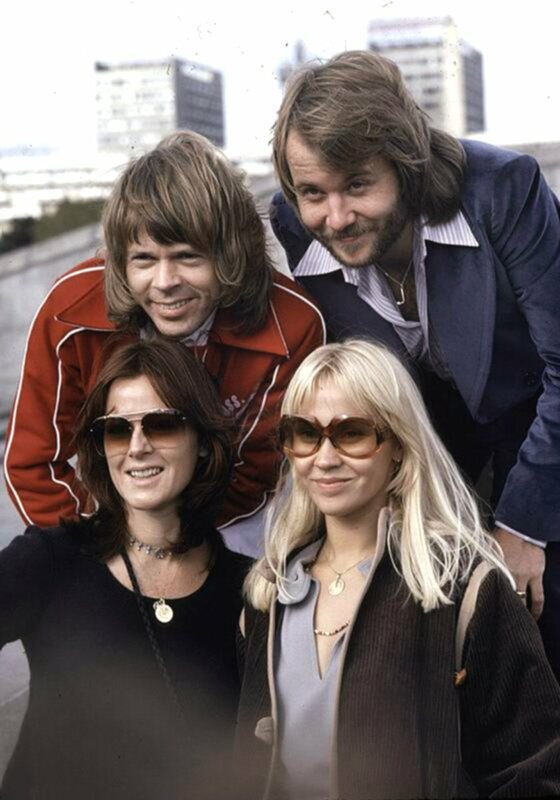 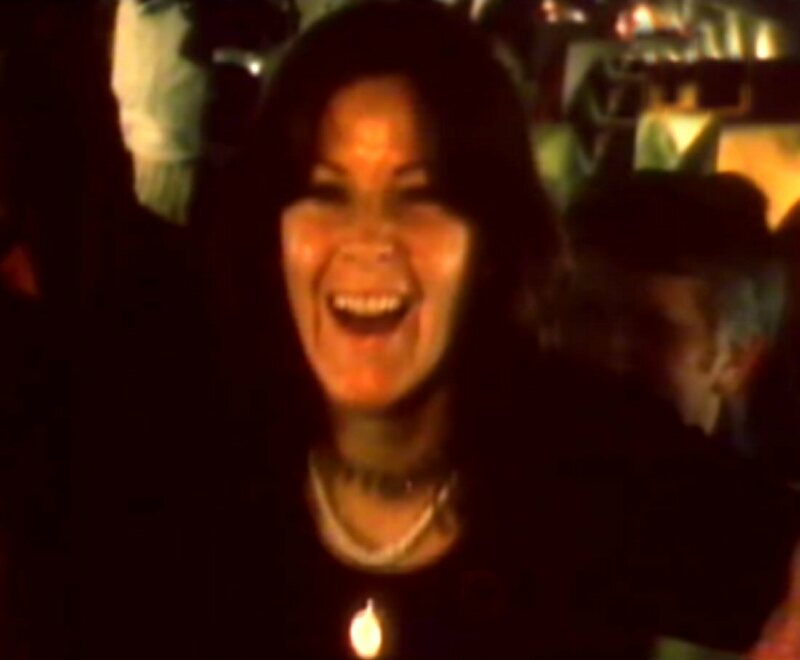 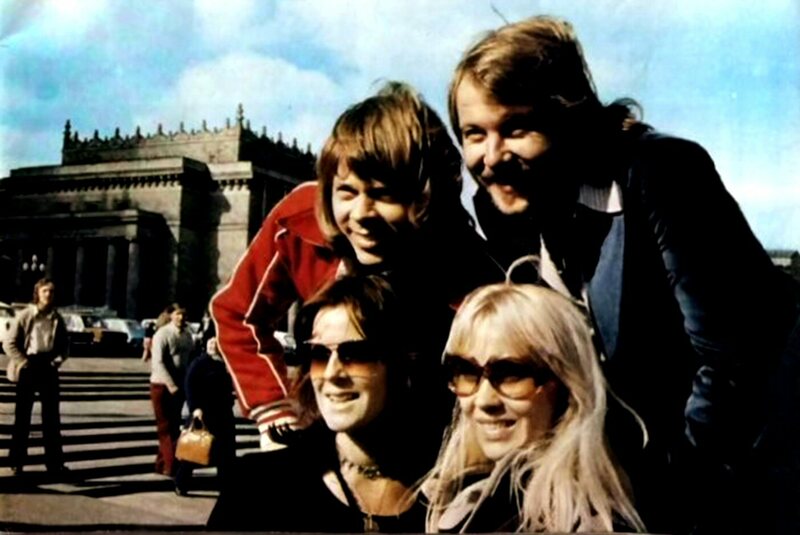 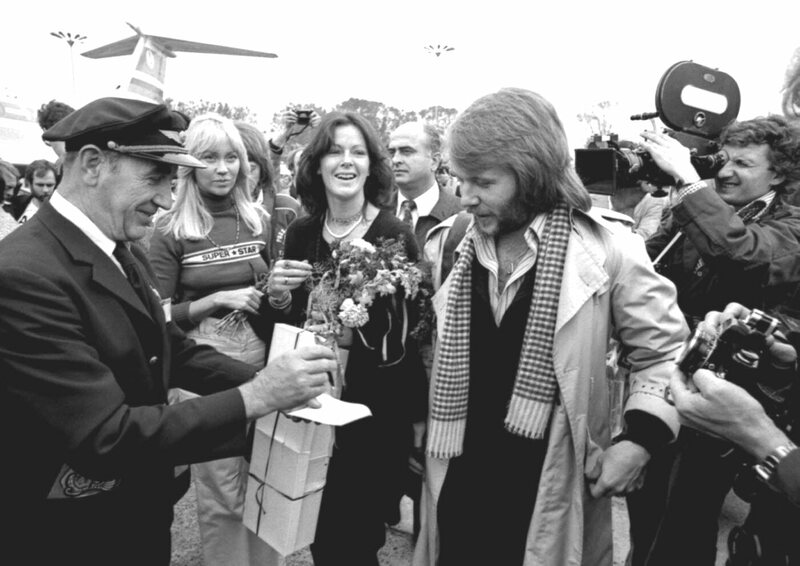 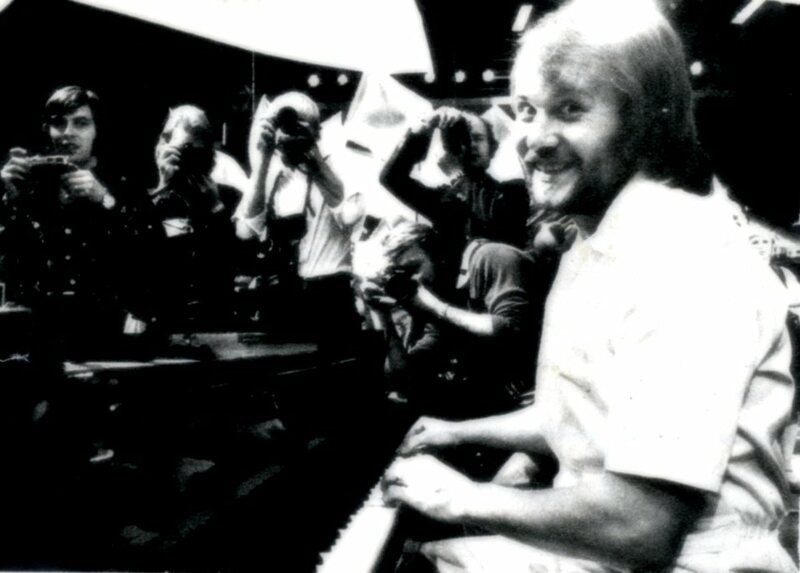 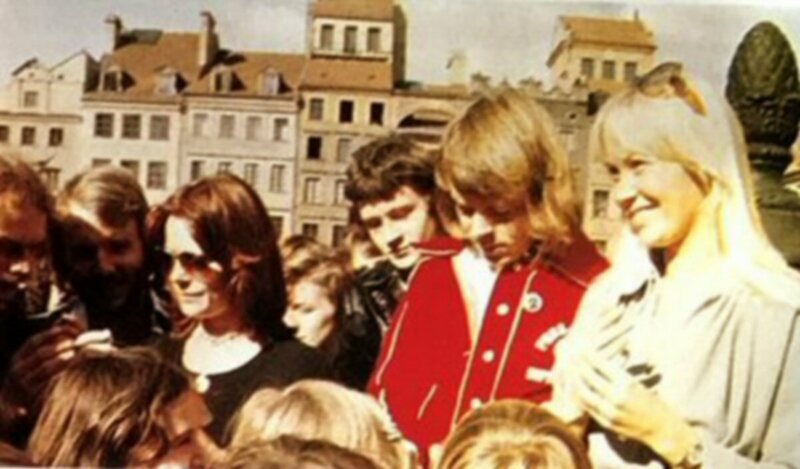 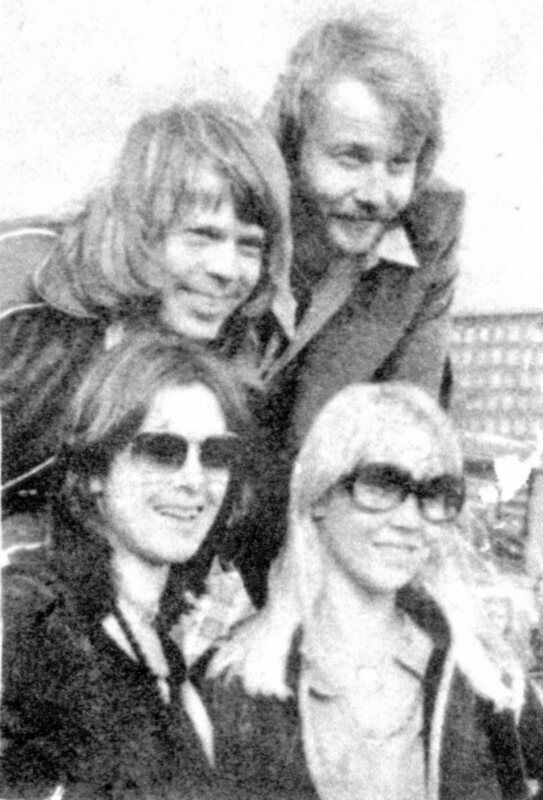 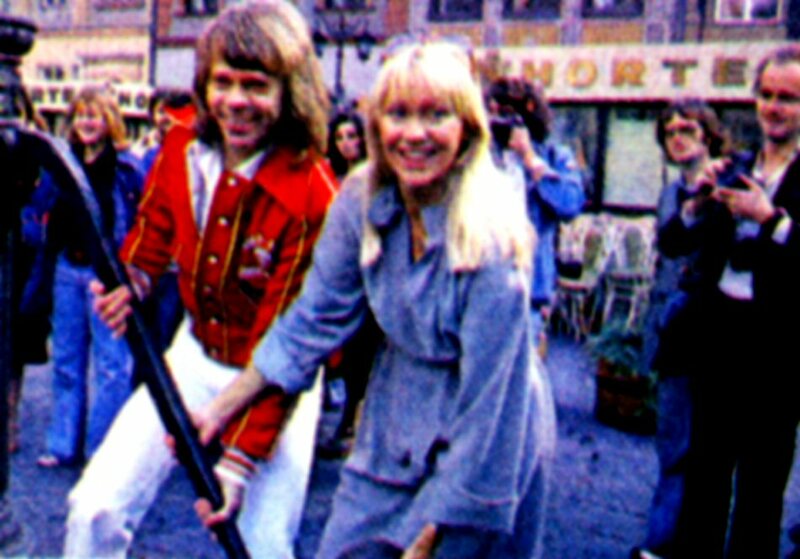 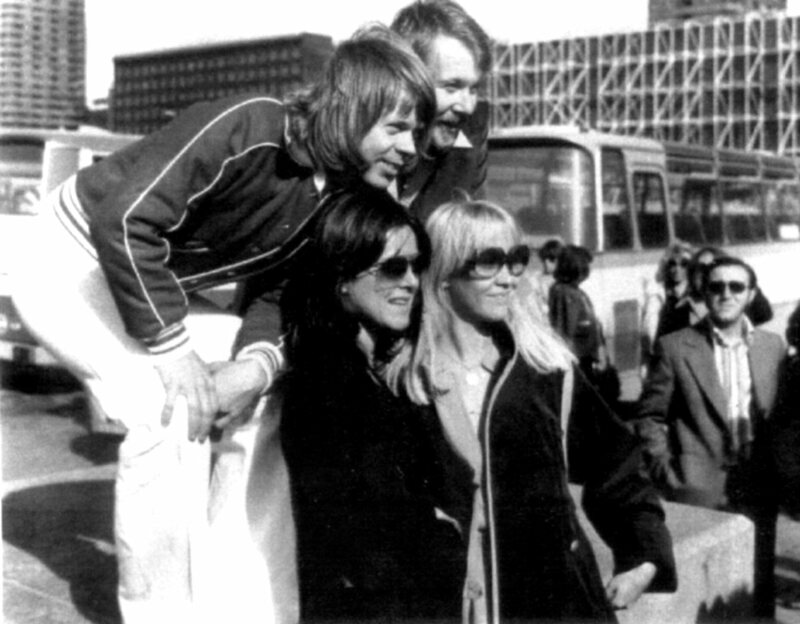 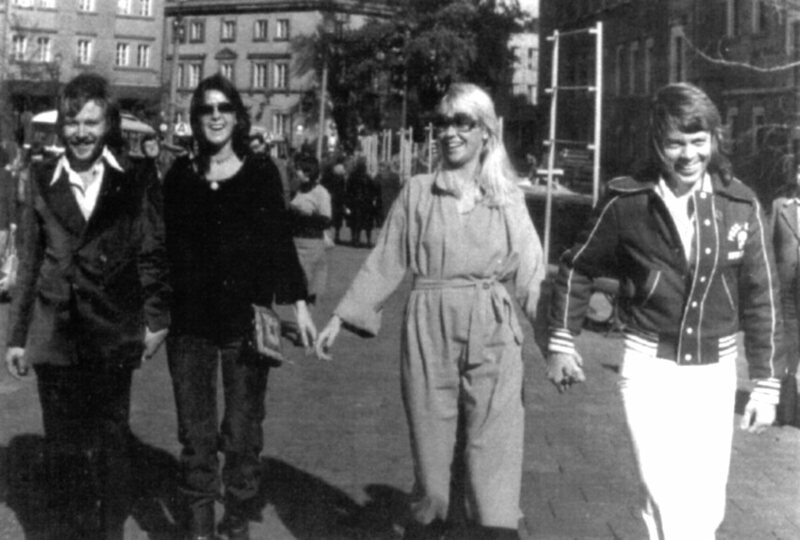 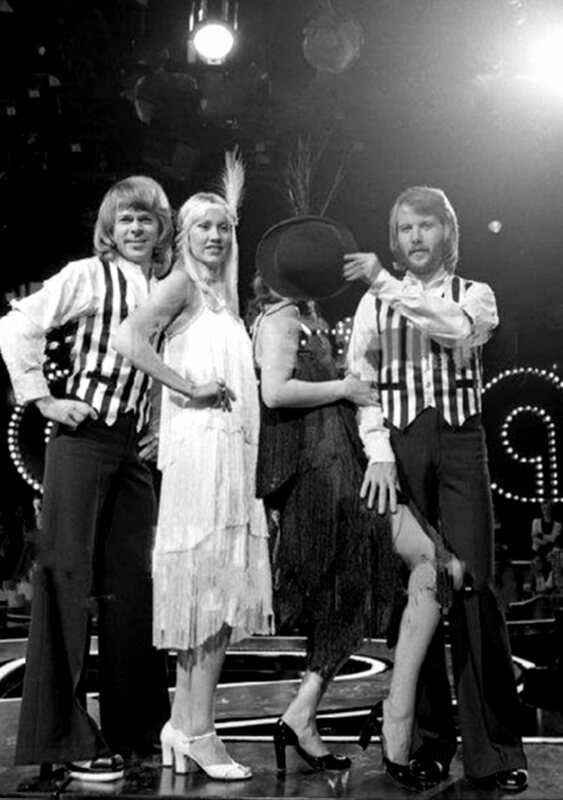 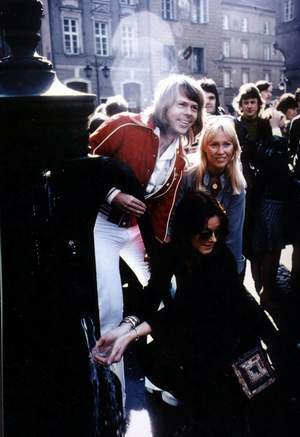 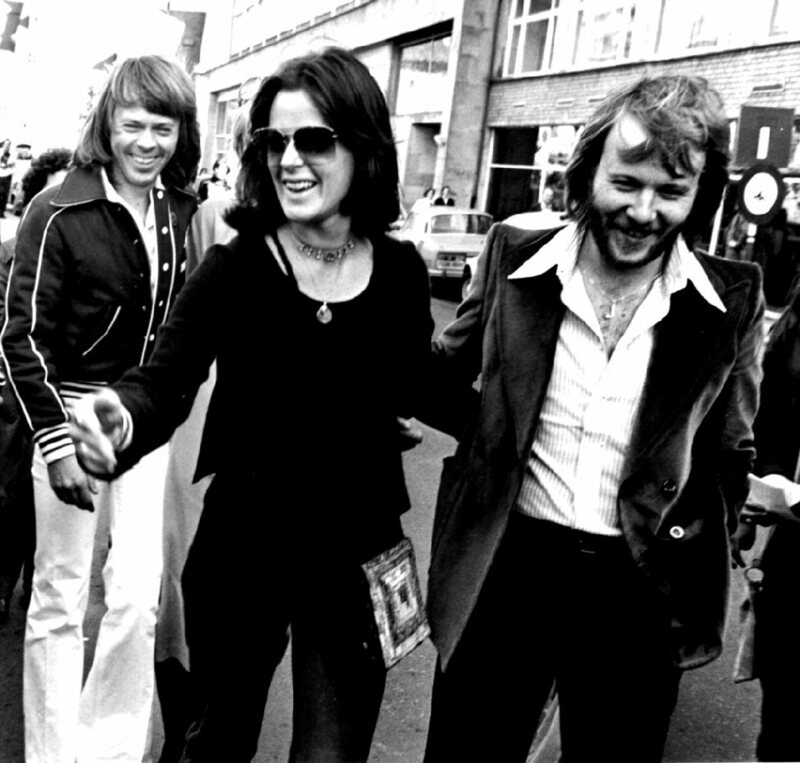 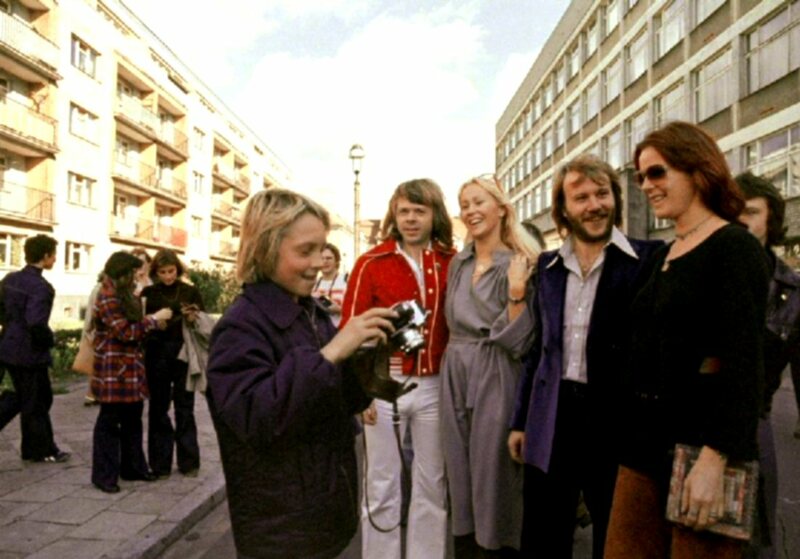 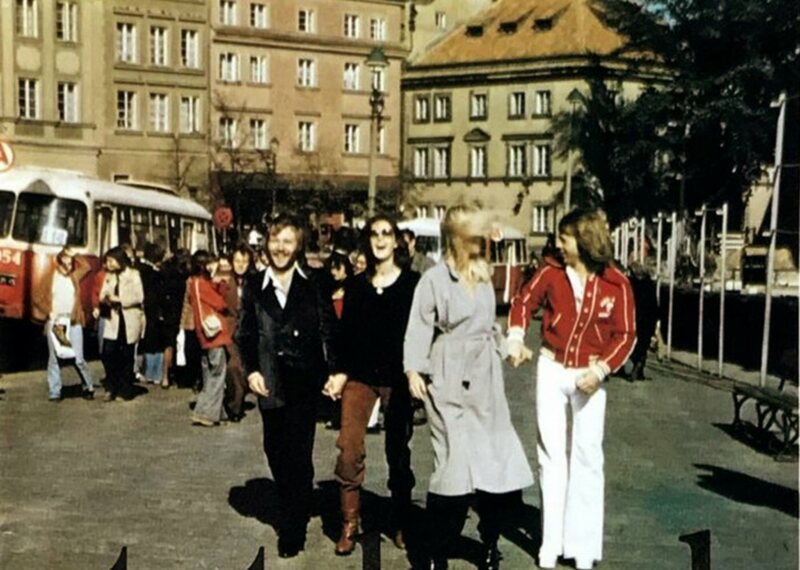 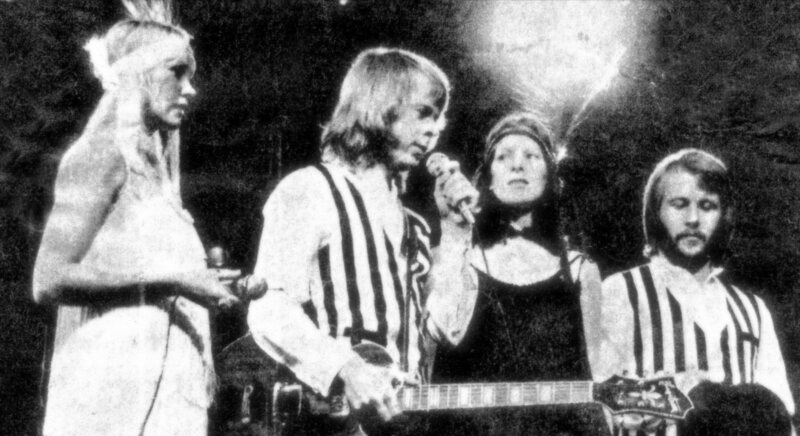 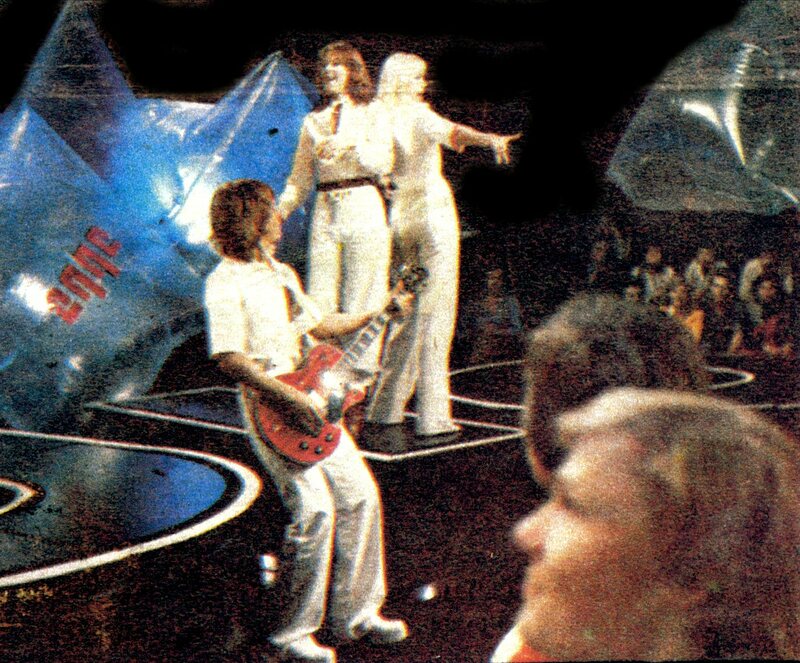 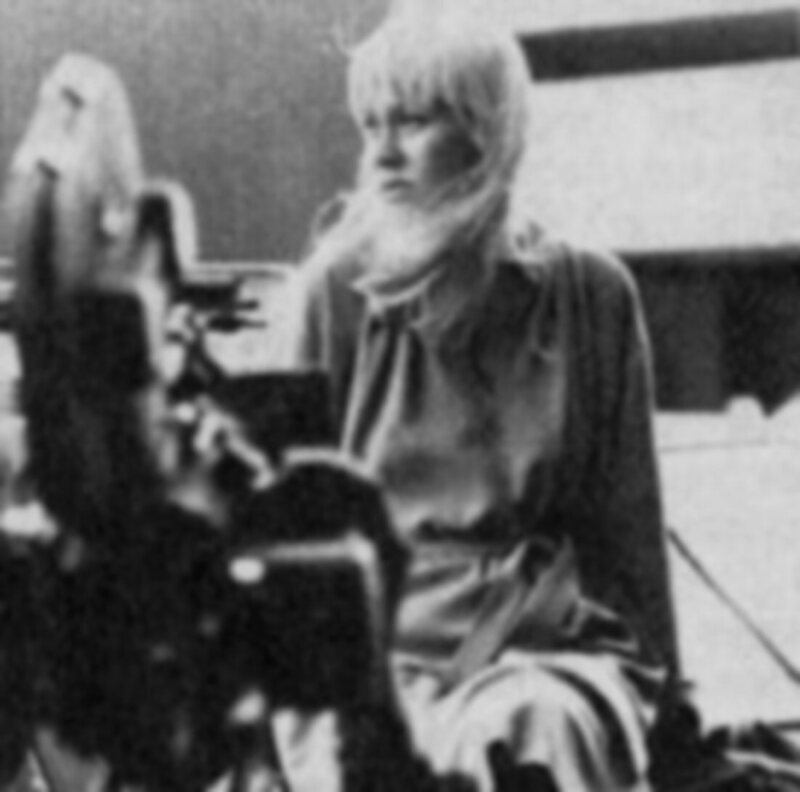 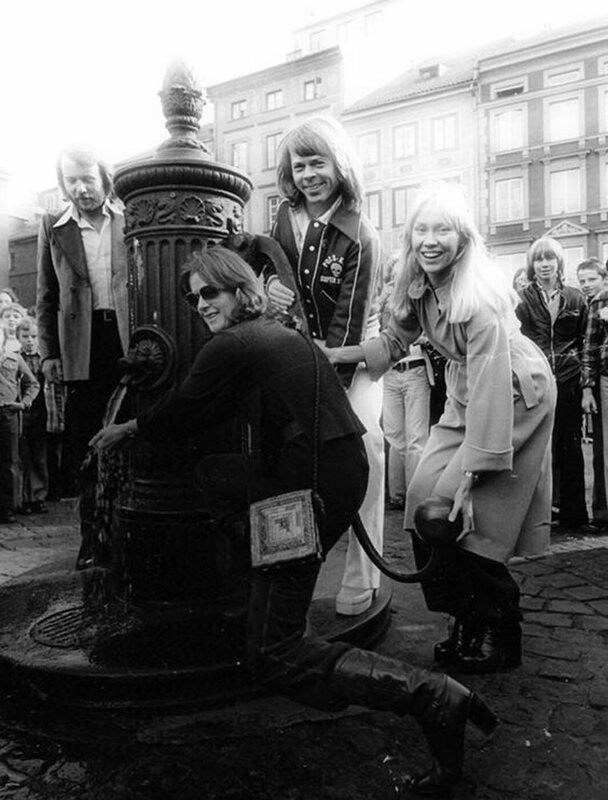 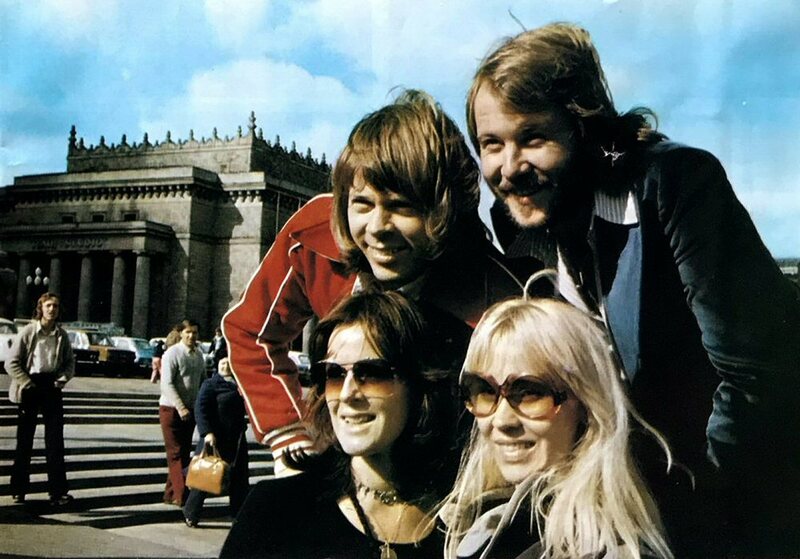 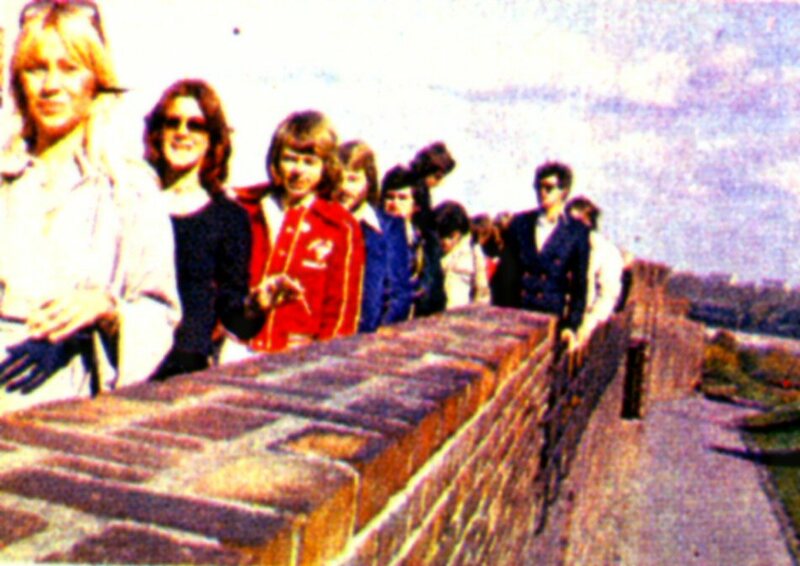 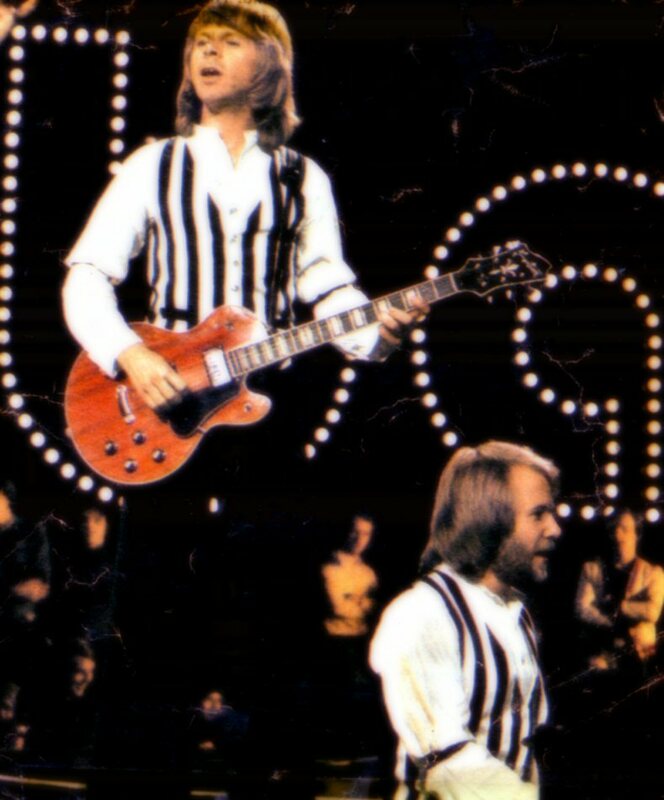 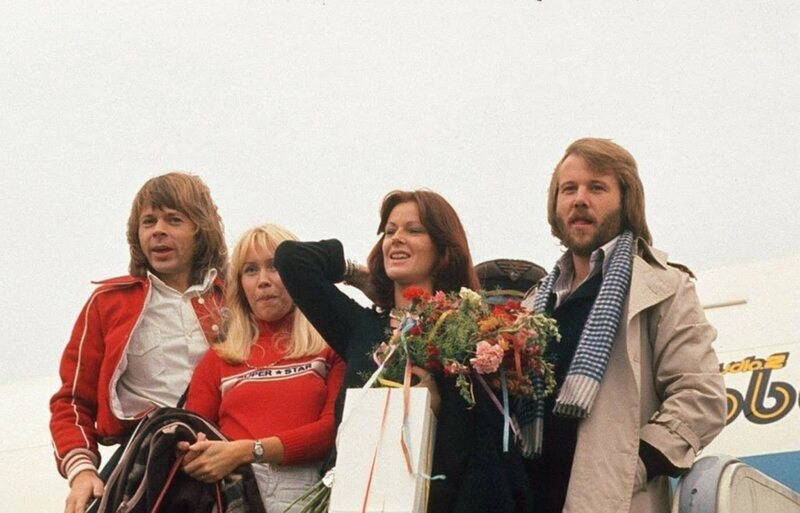 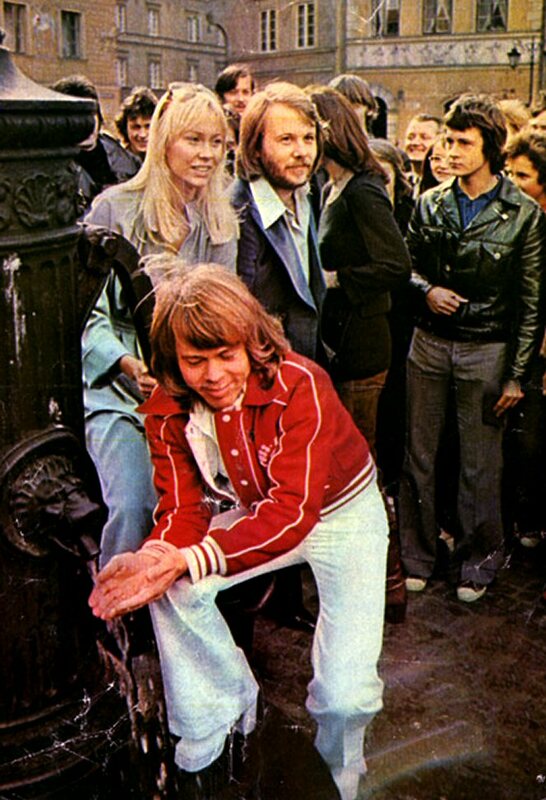 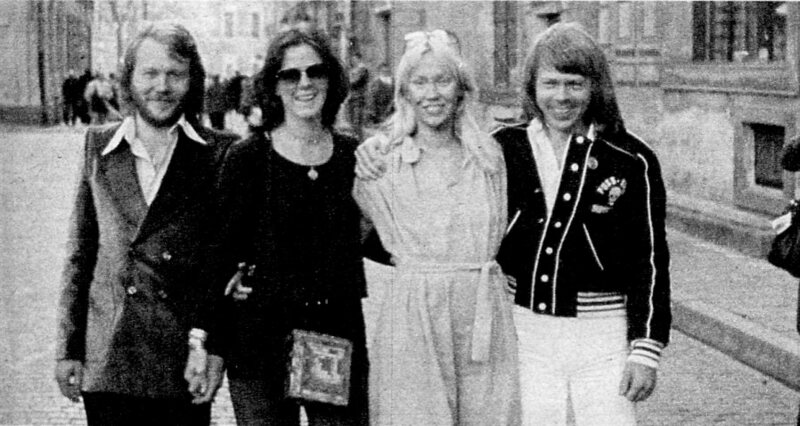 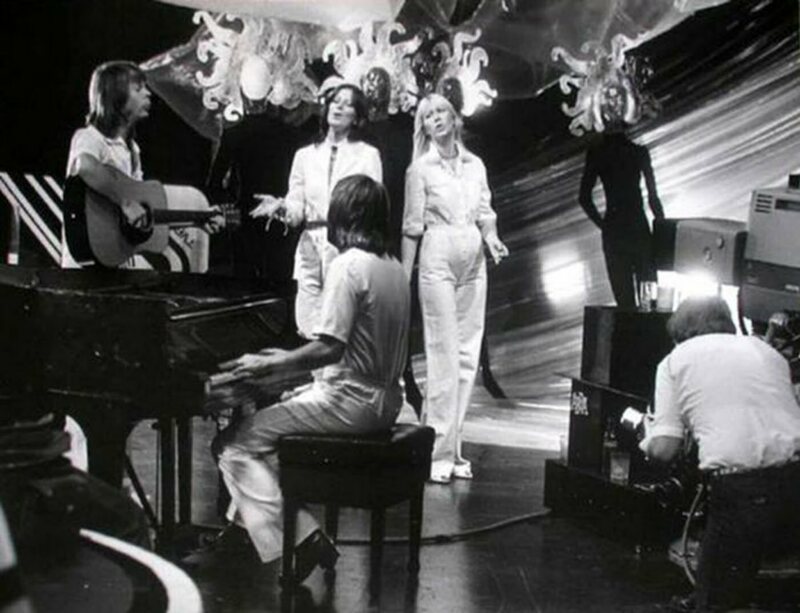 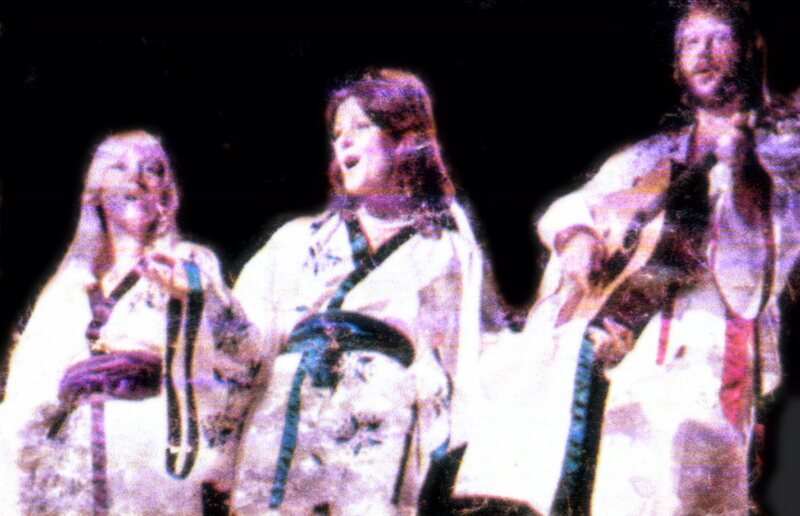 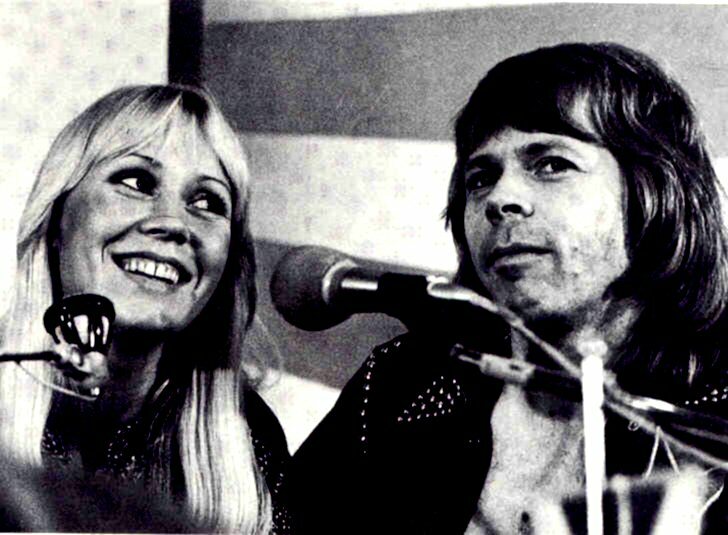 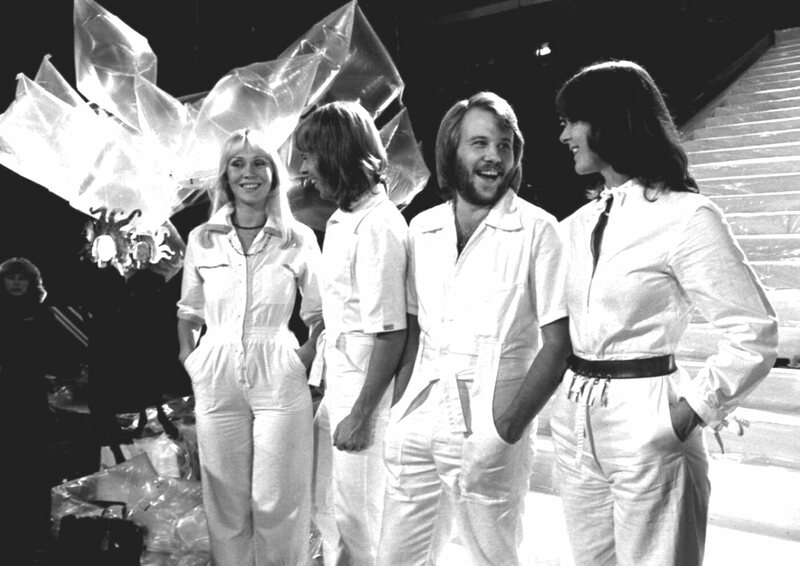 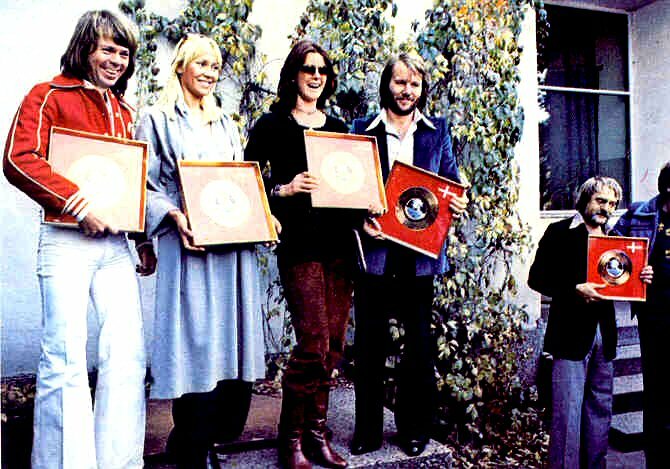 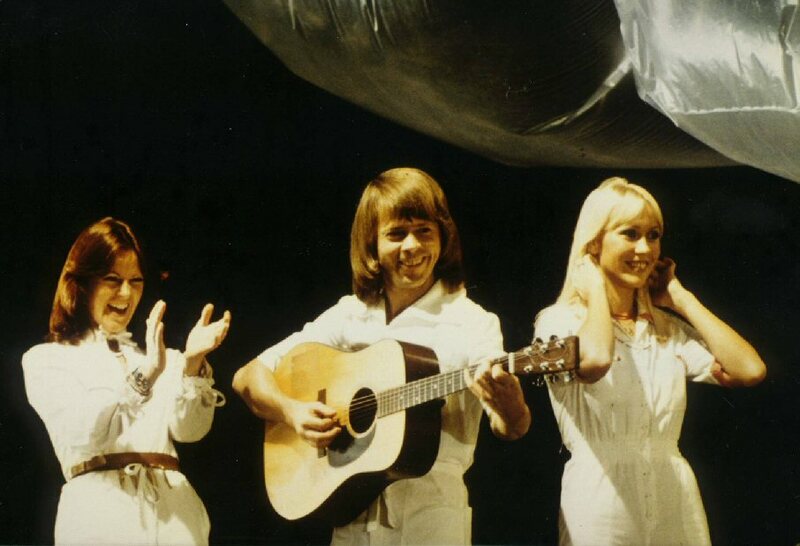 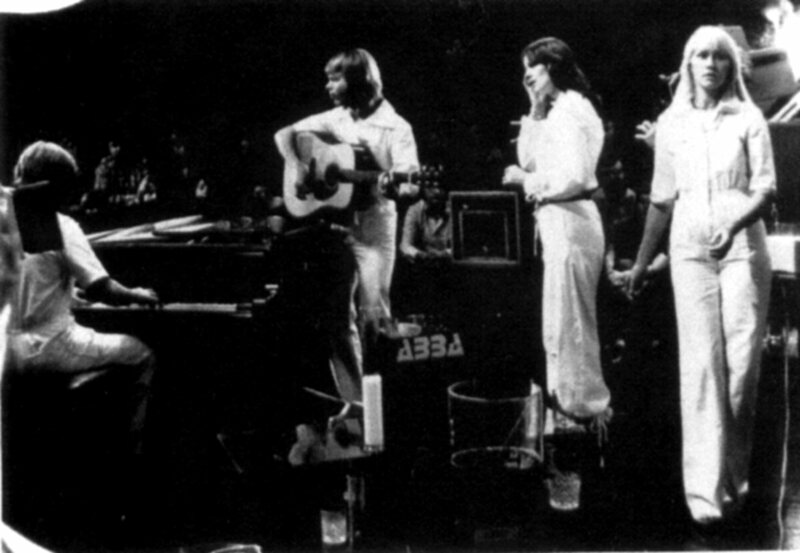 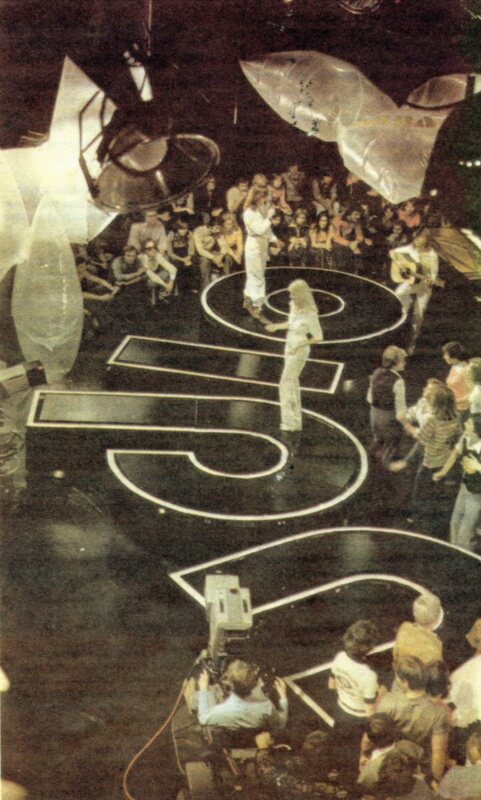 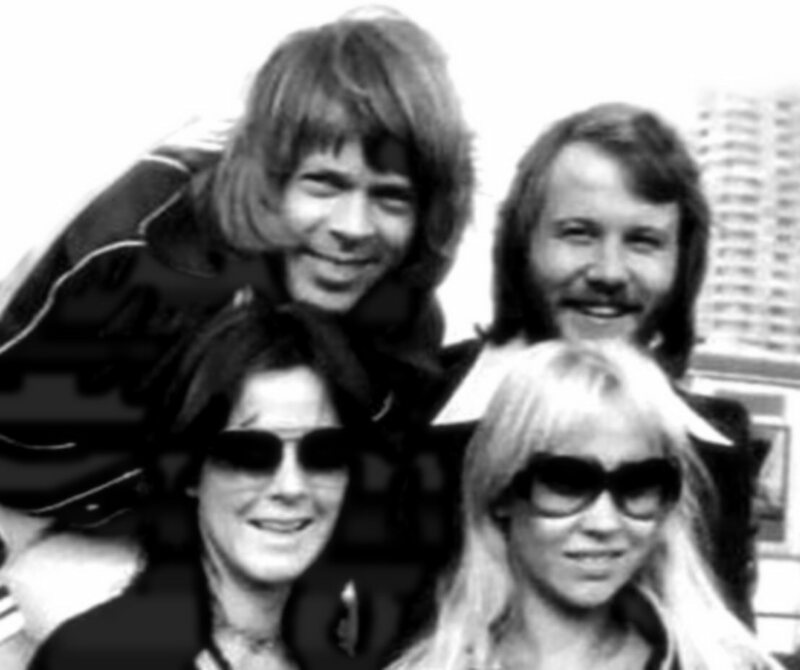 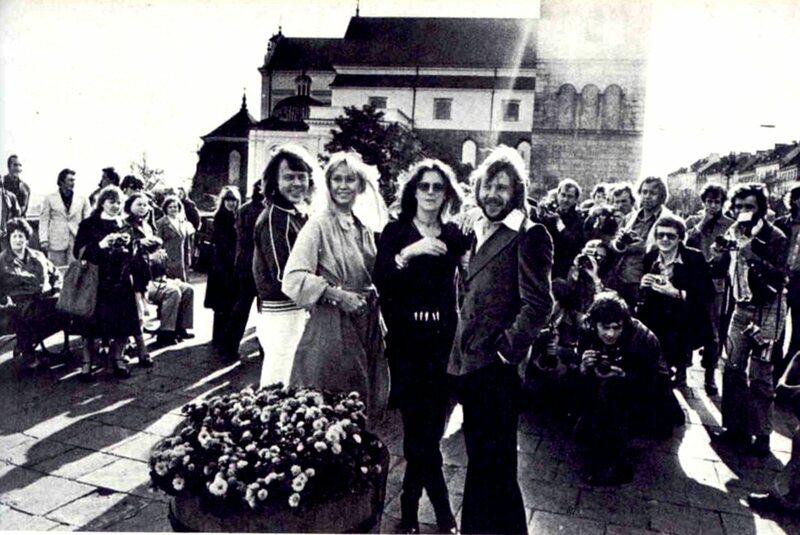 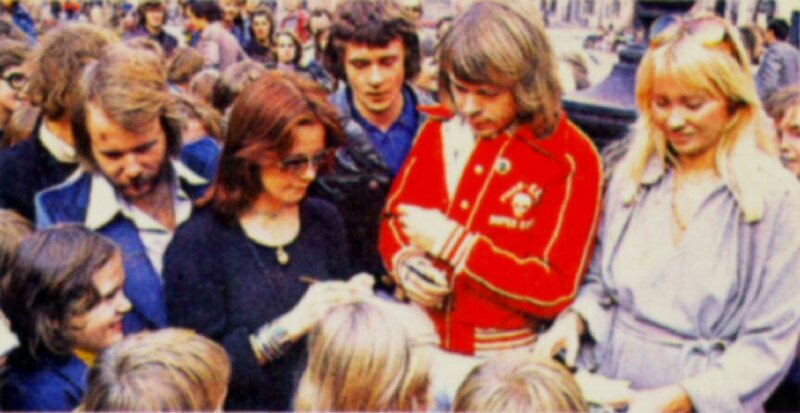 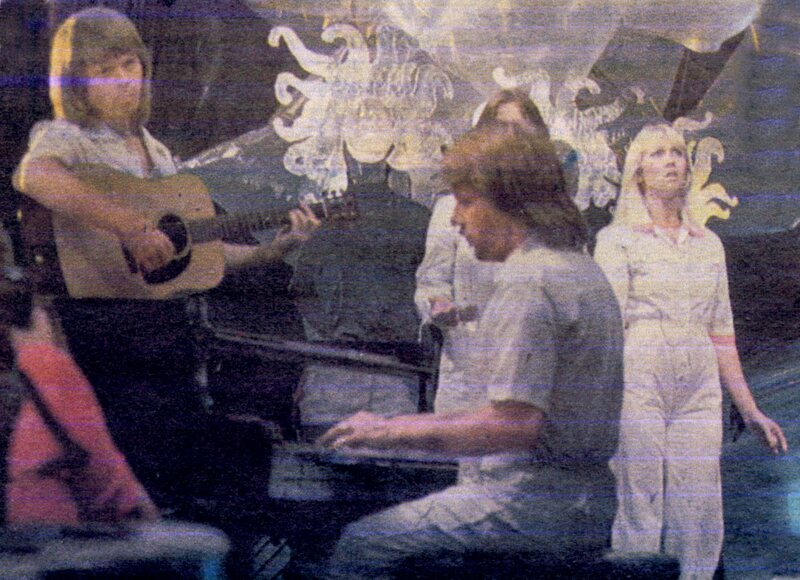 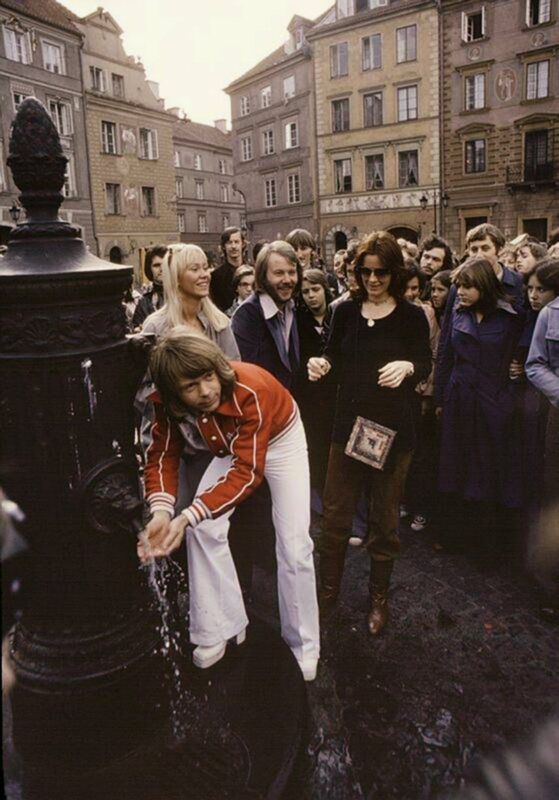 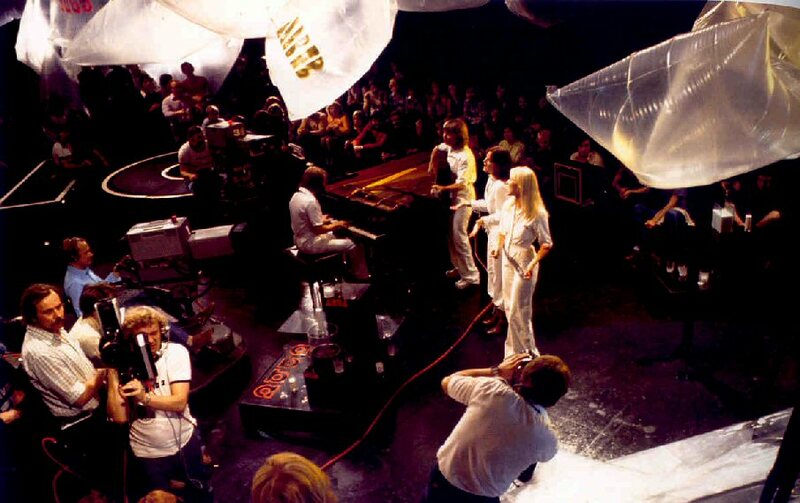 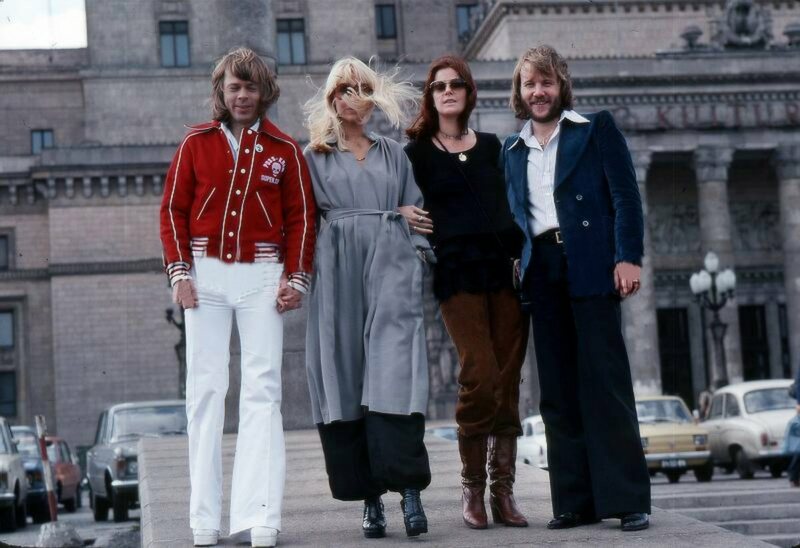 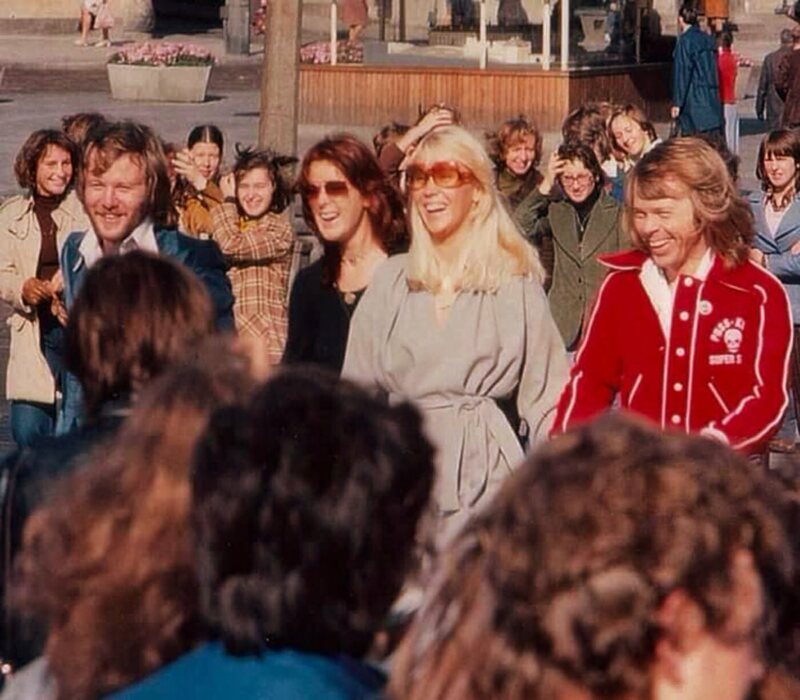 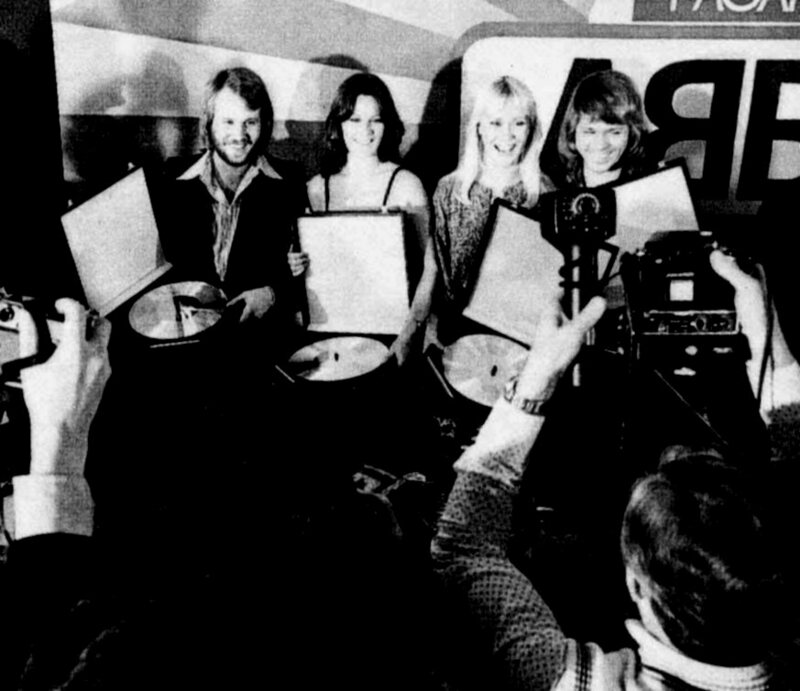 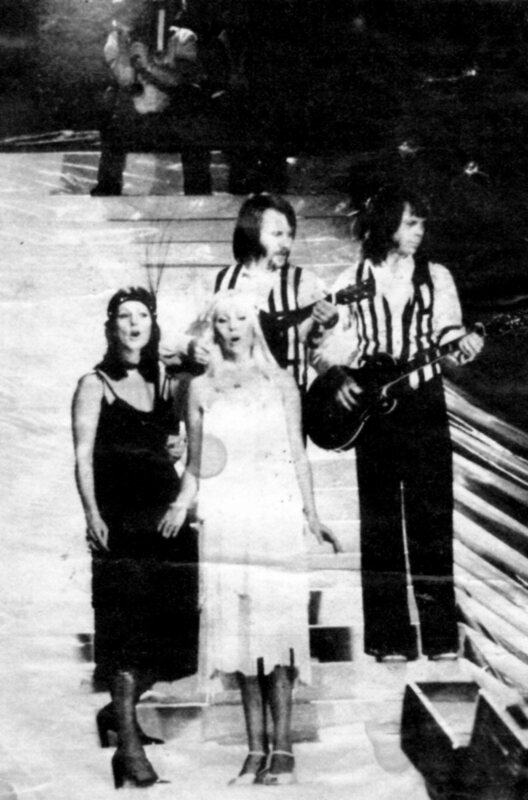 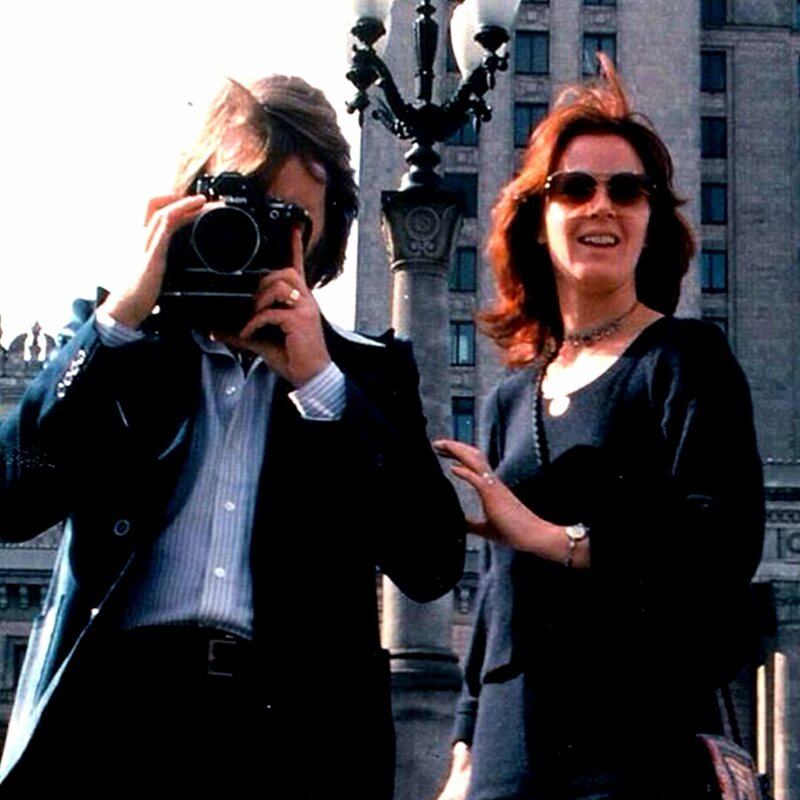 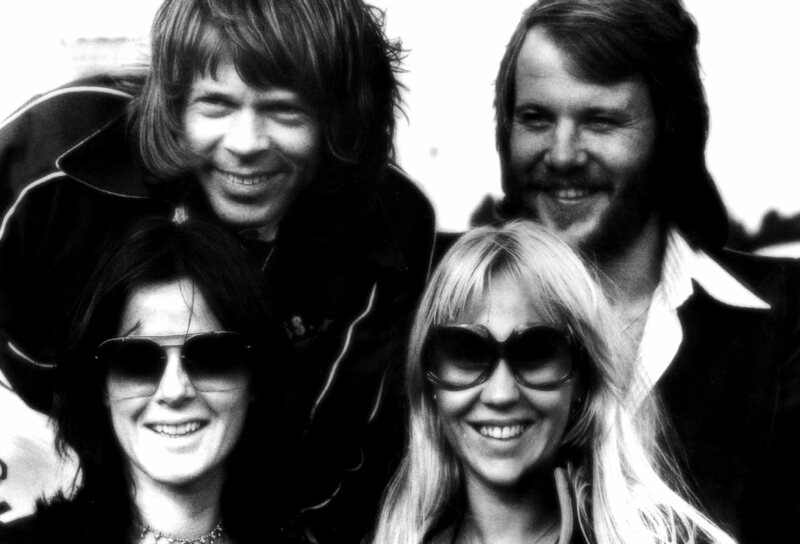 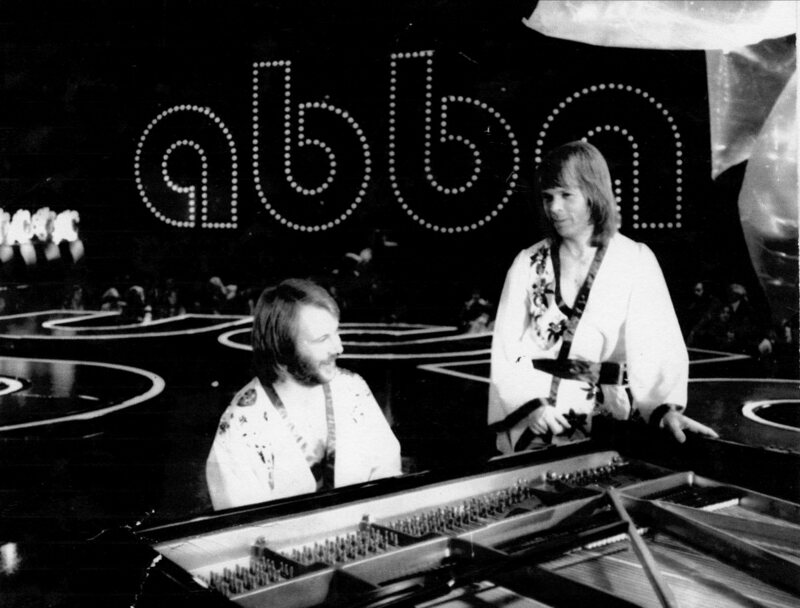 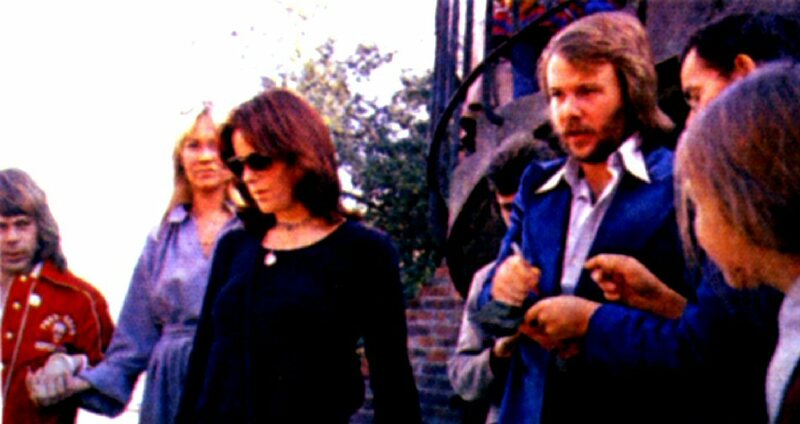 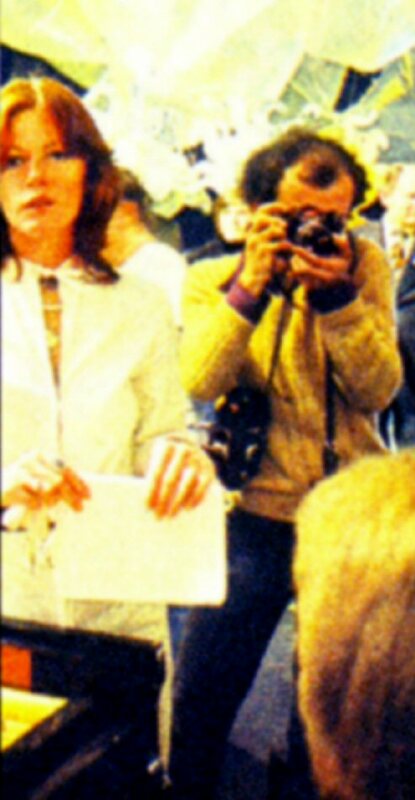 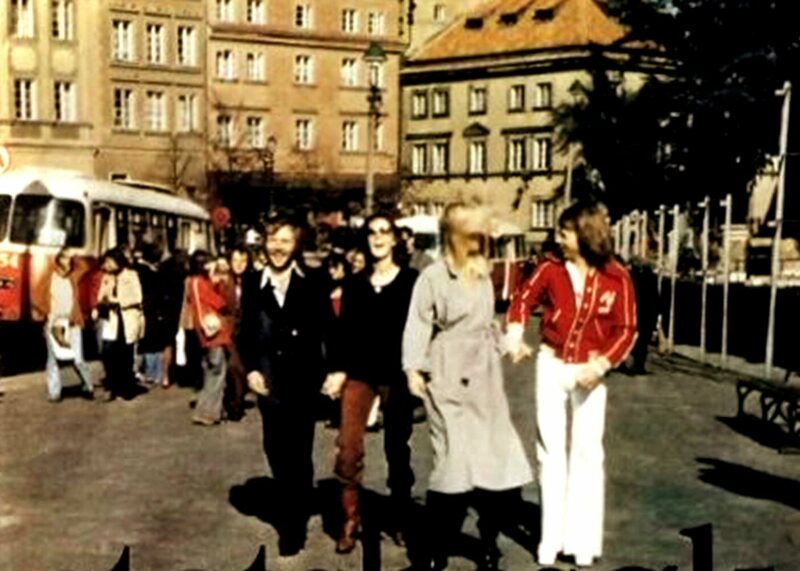 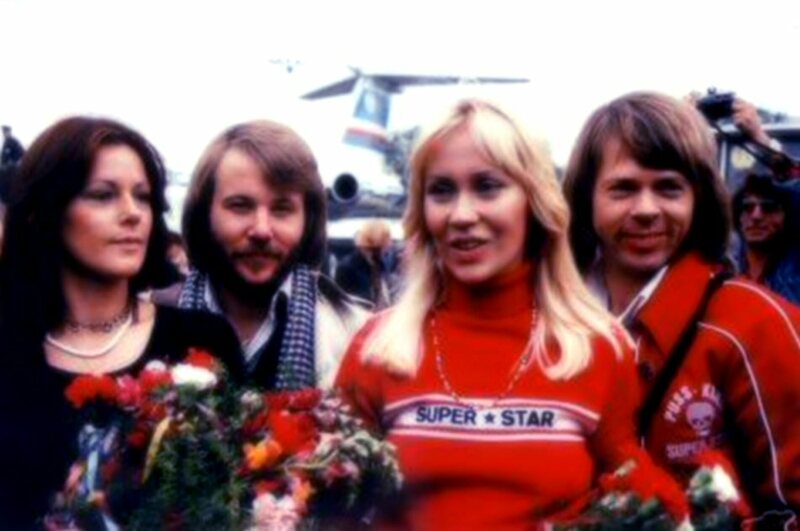 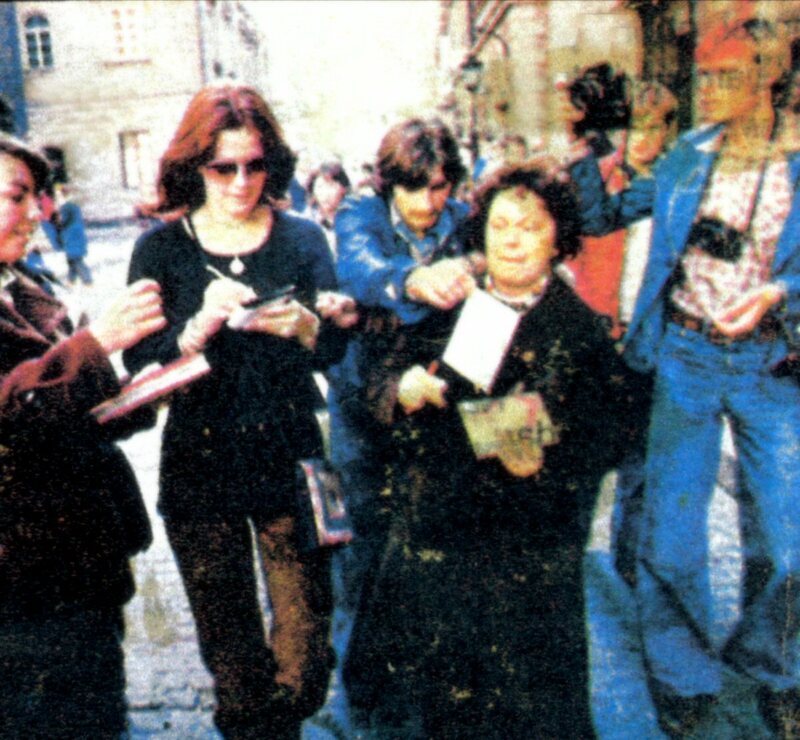 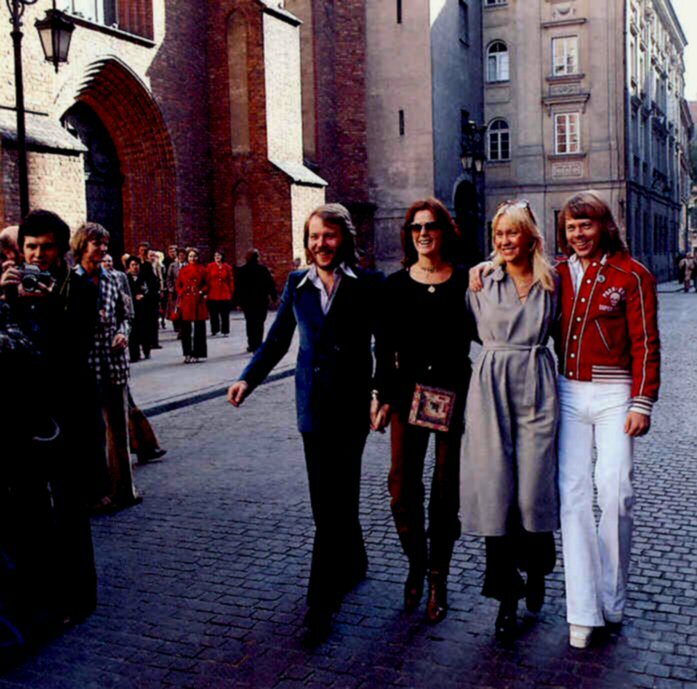 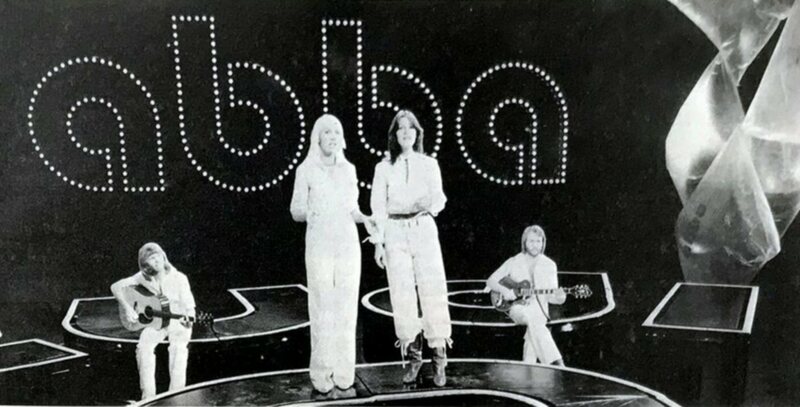 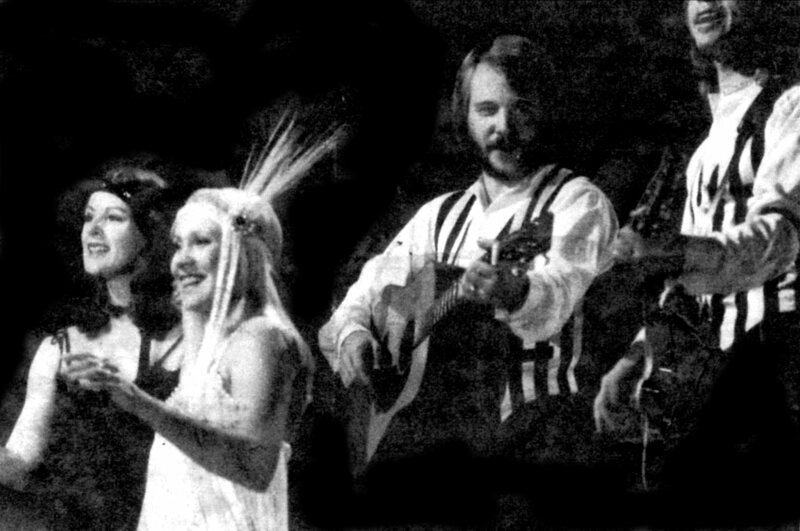 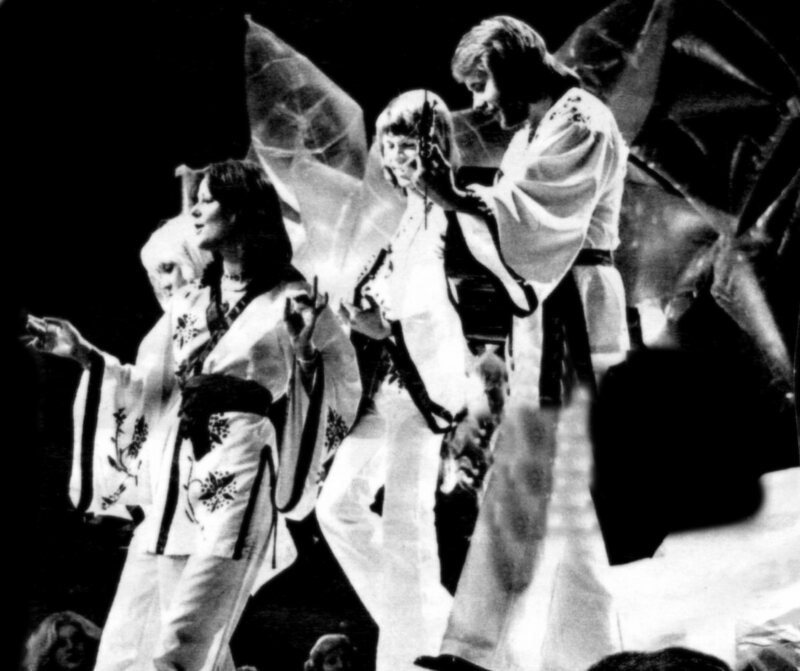 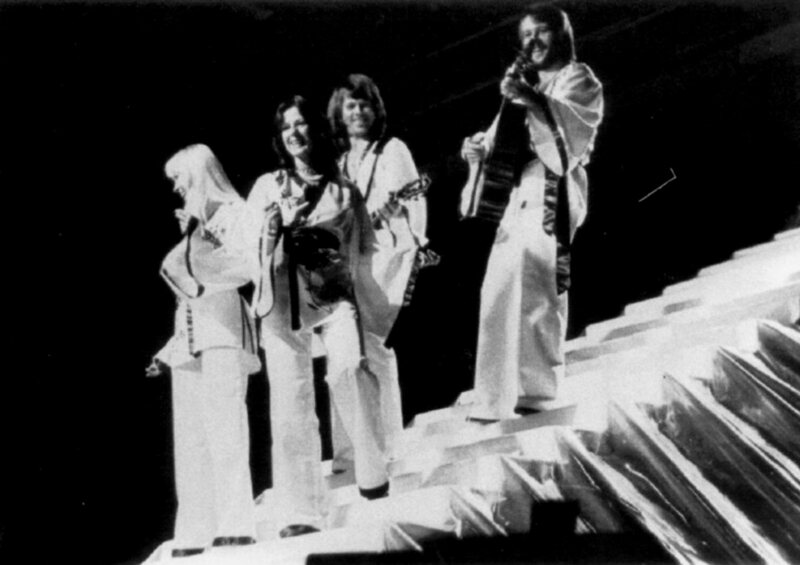 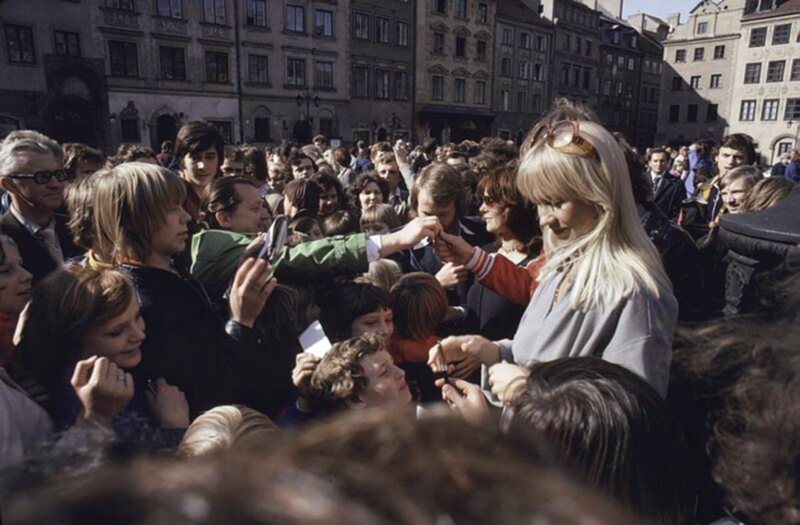 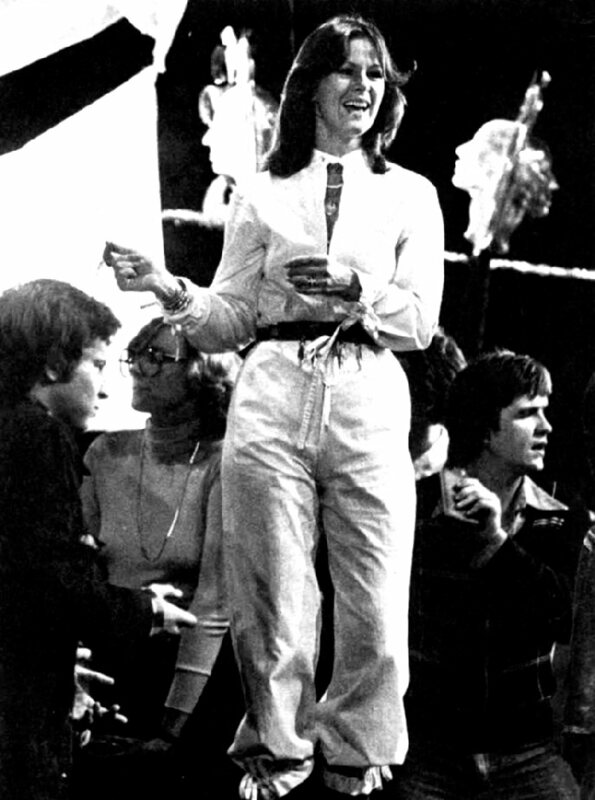 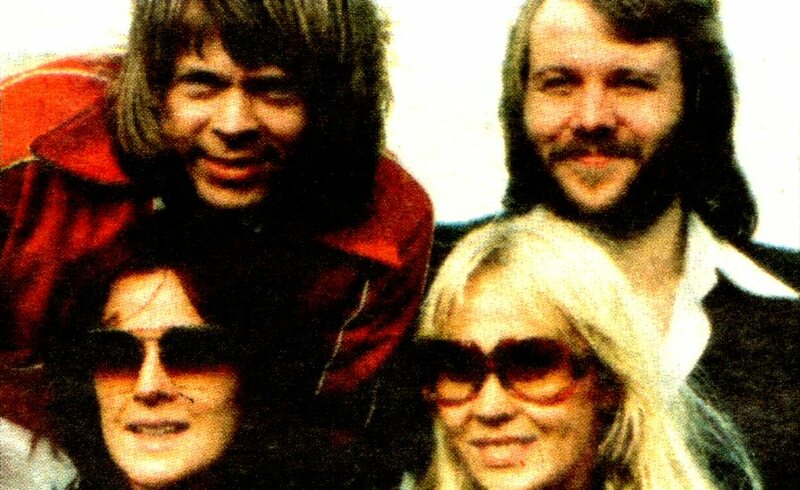 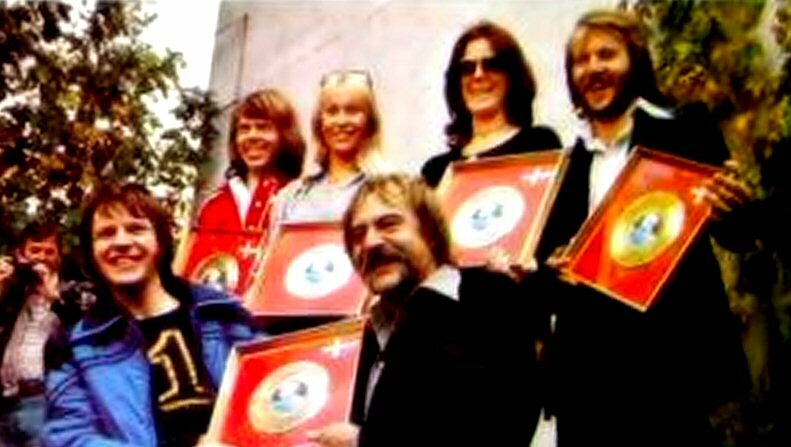 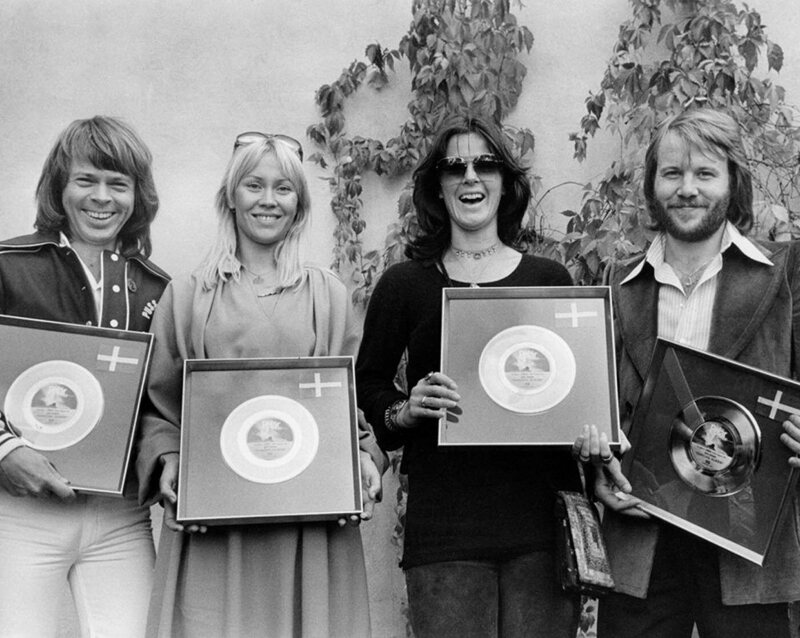 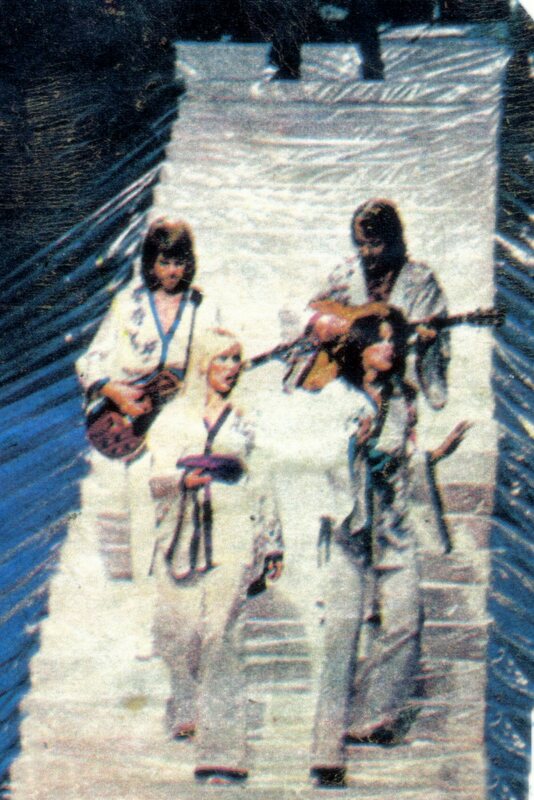 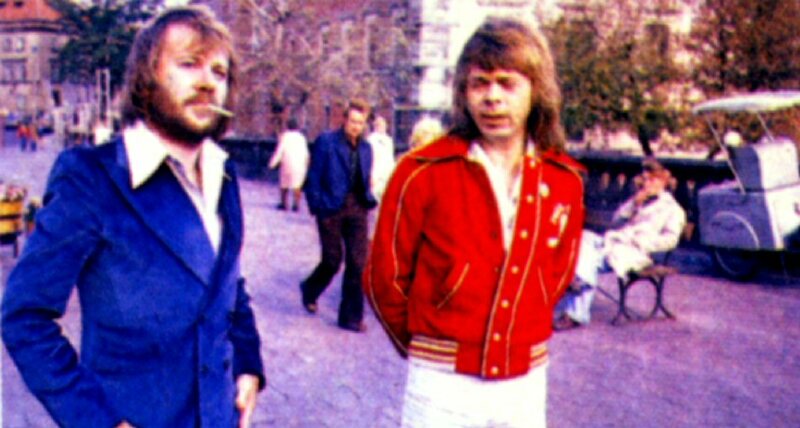 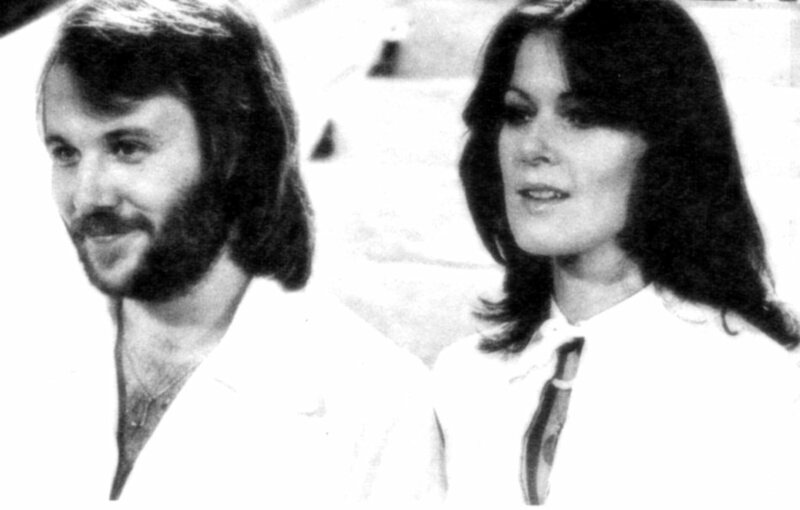 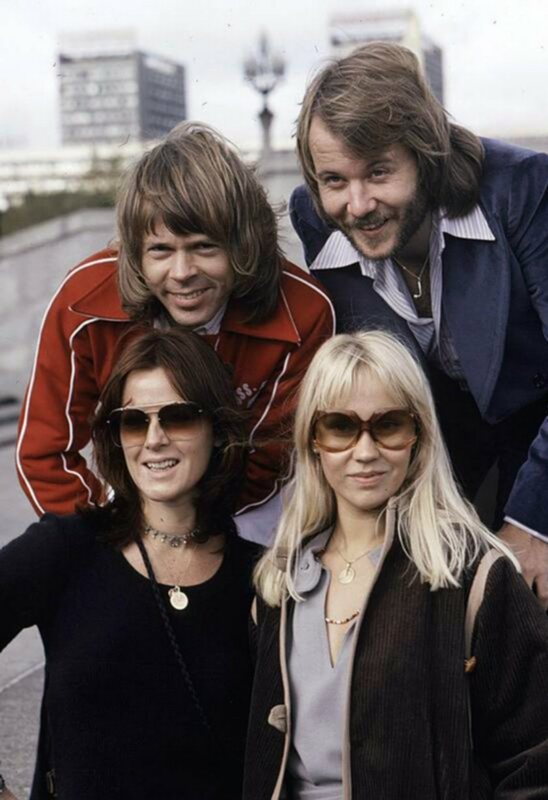 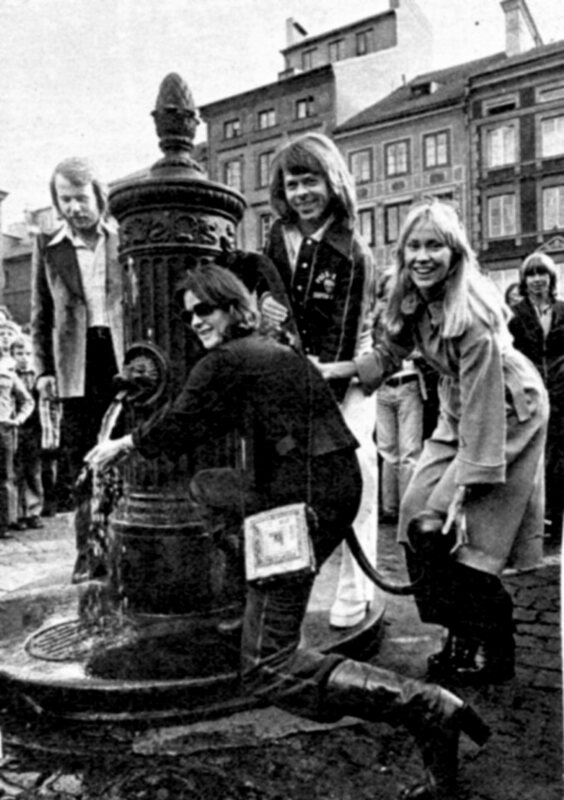 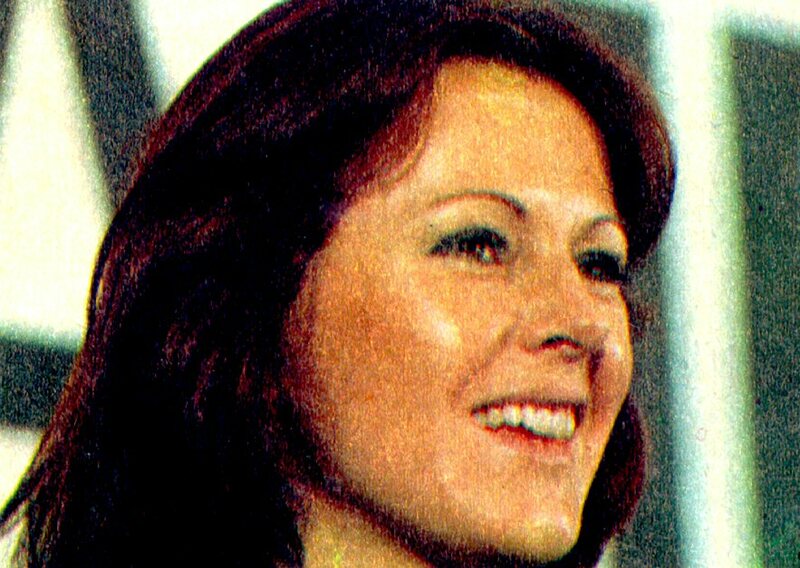 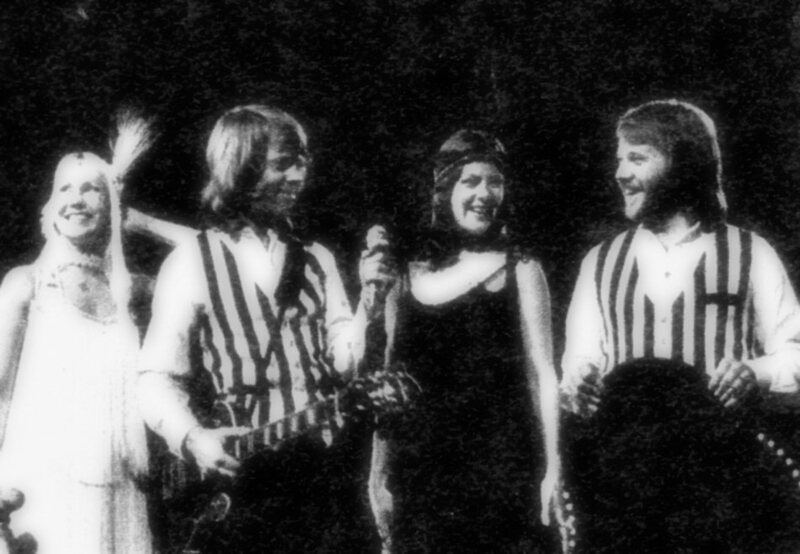 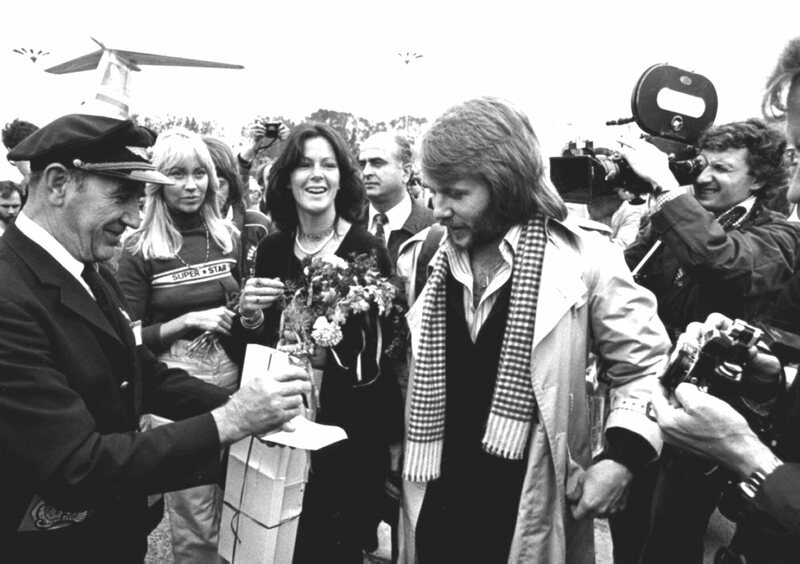 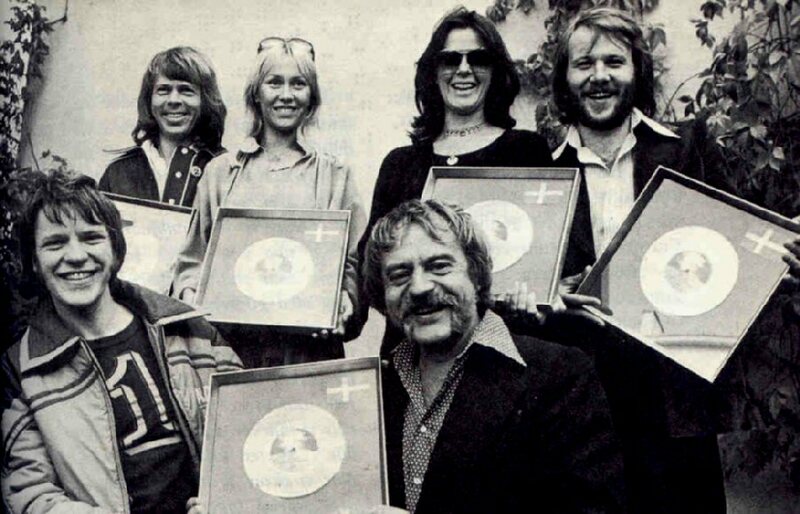 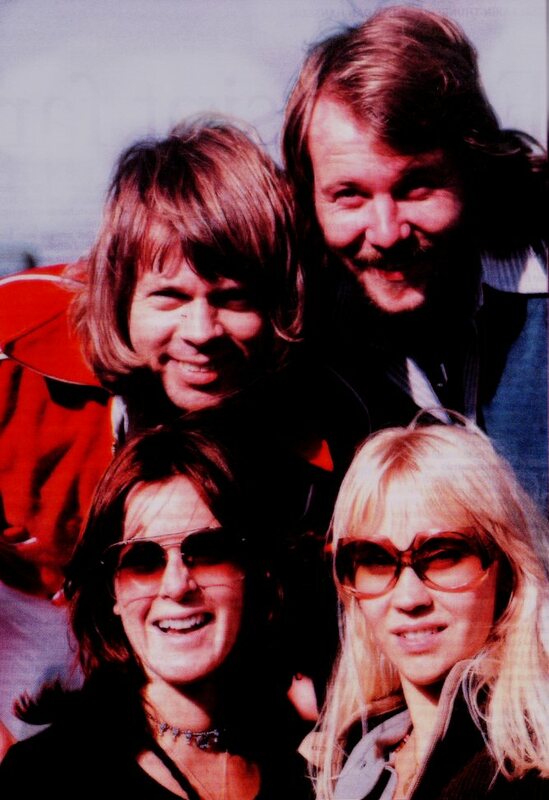 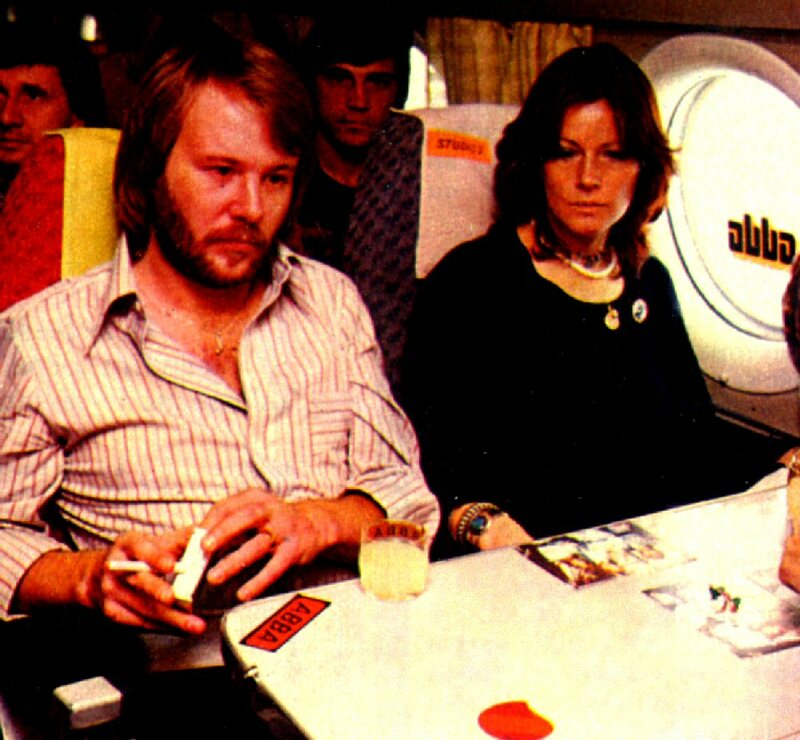 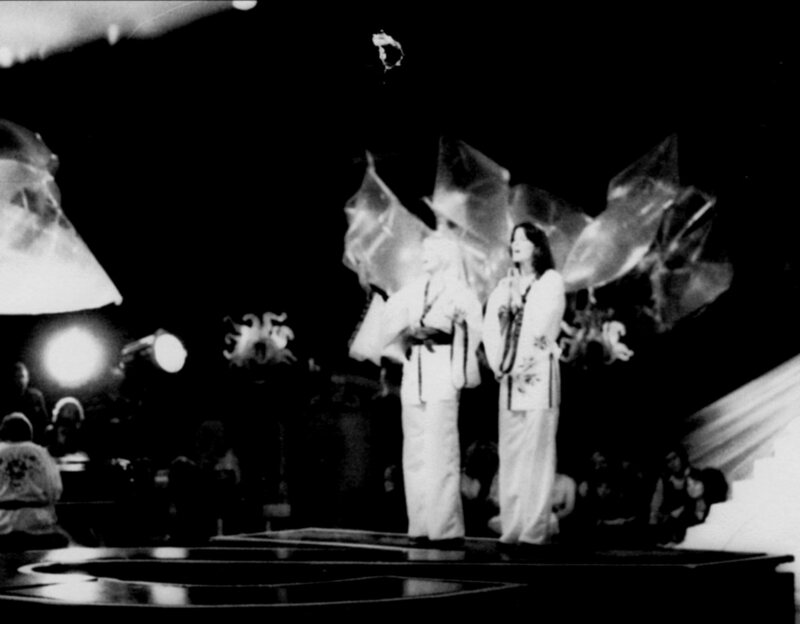 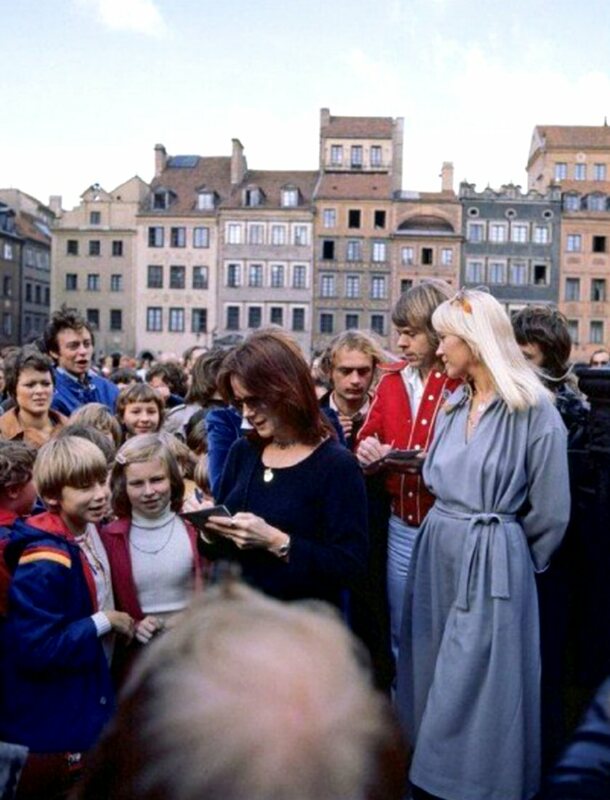 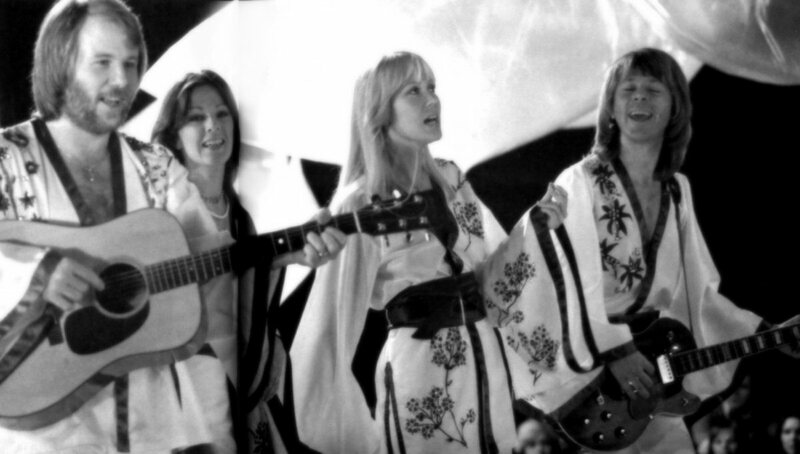 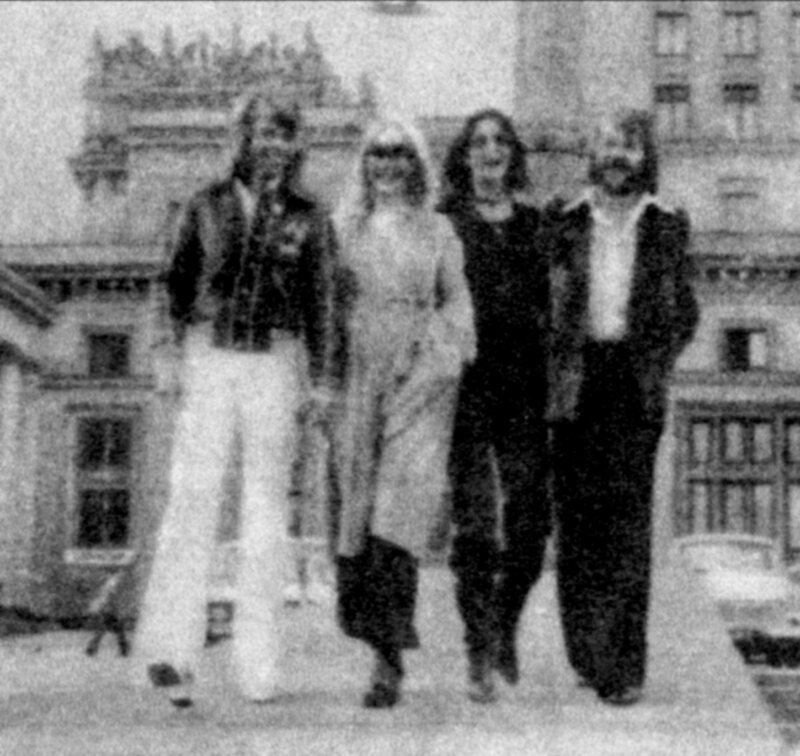 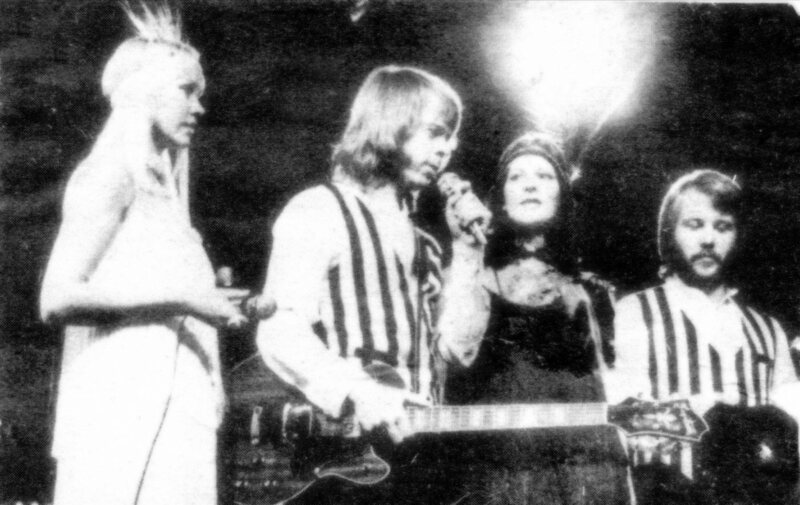 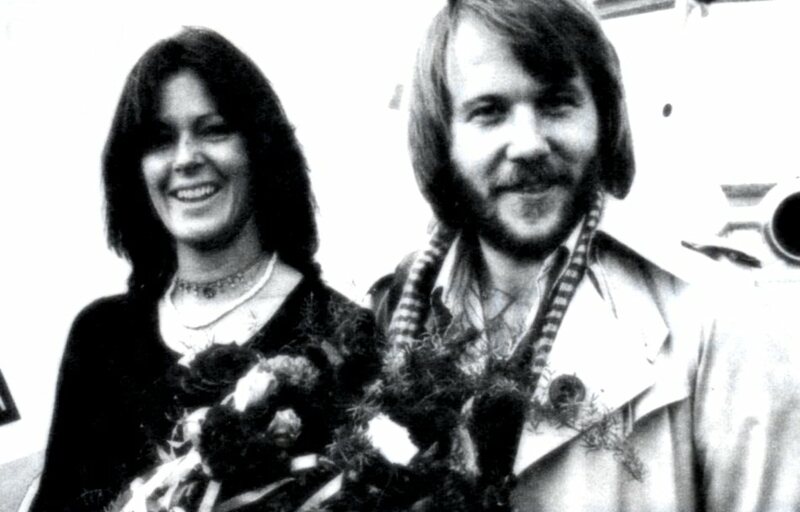 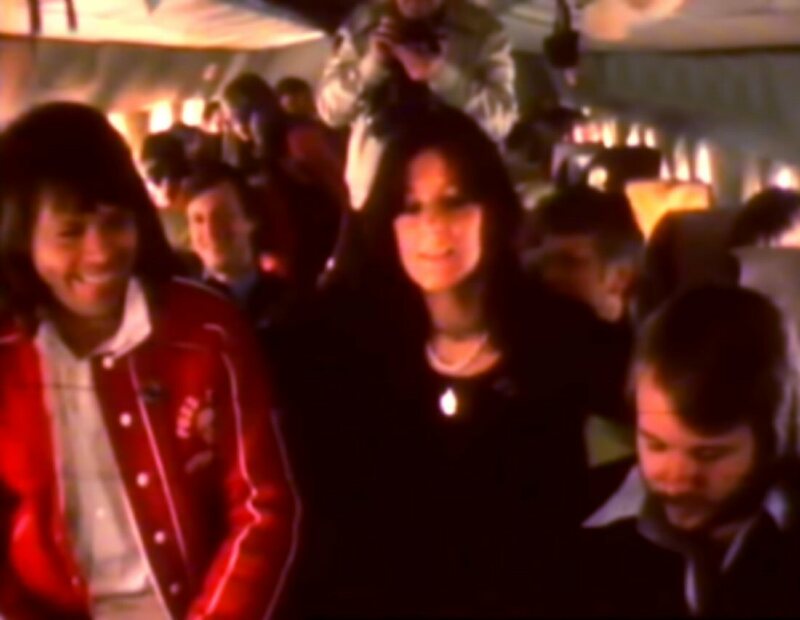 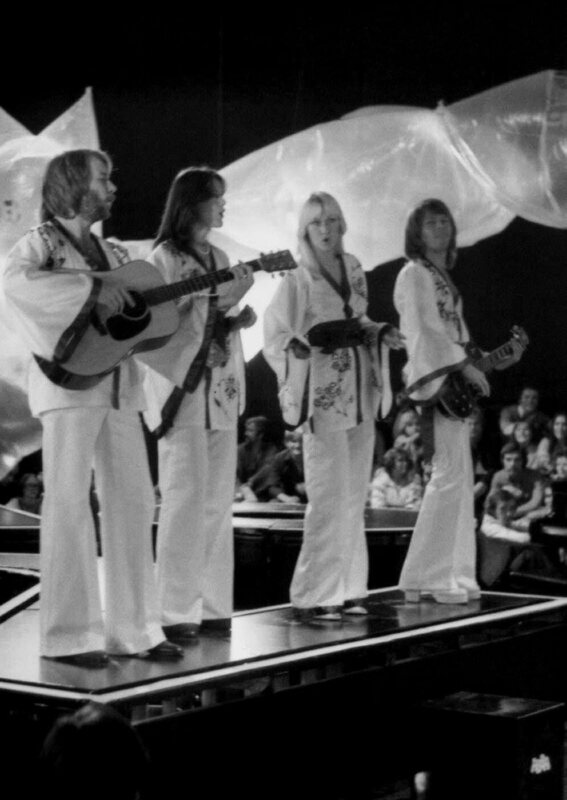 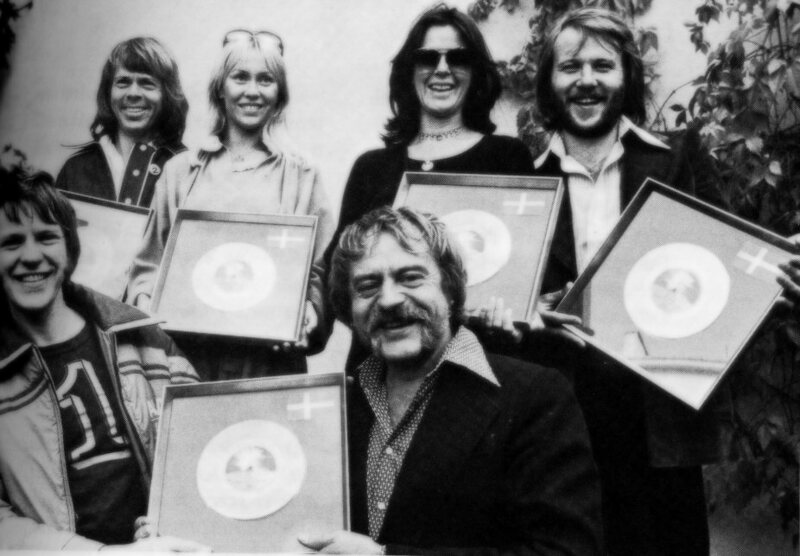 Many hours with ABBA were filmed during their stay in Warsaw but only a 55-minute programme is available. 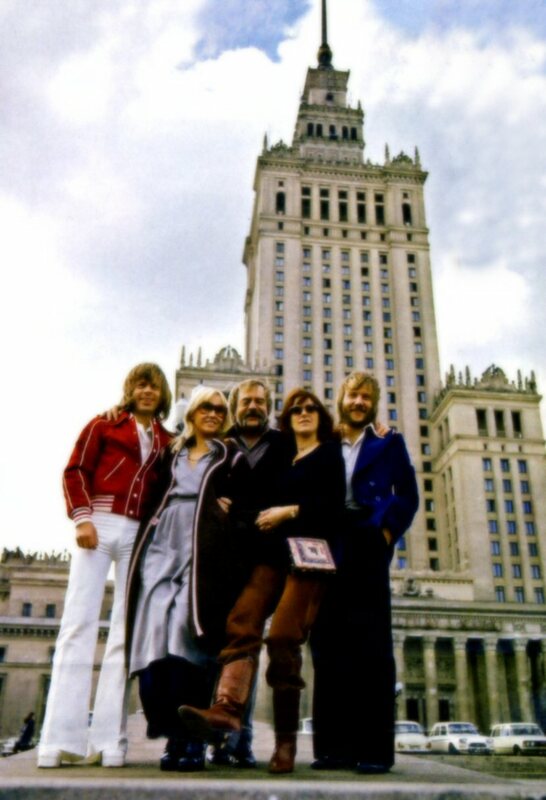 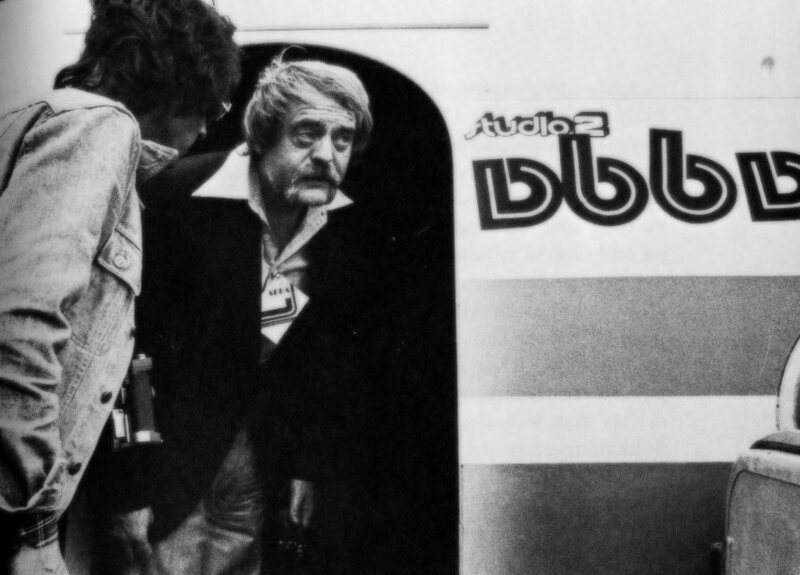 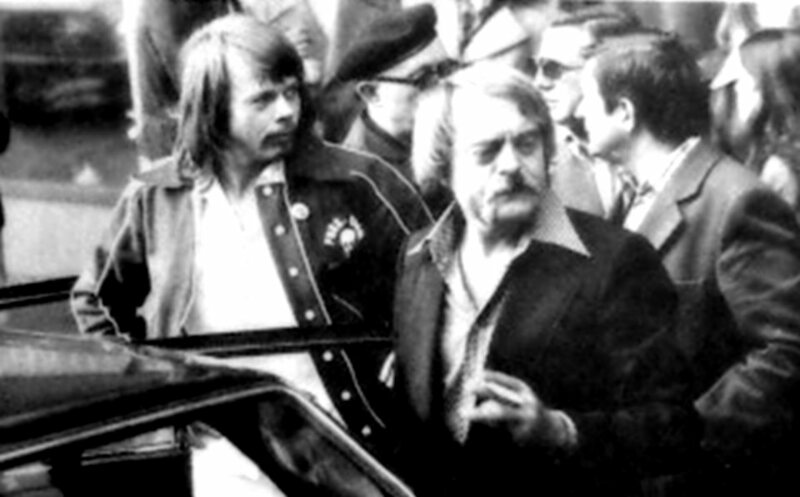 The rest of film material was probably lost during the martial law in Poland in 1981-83. 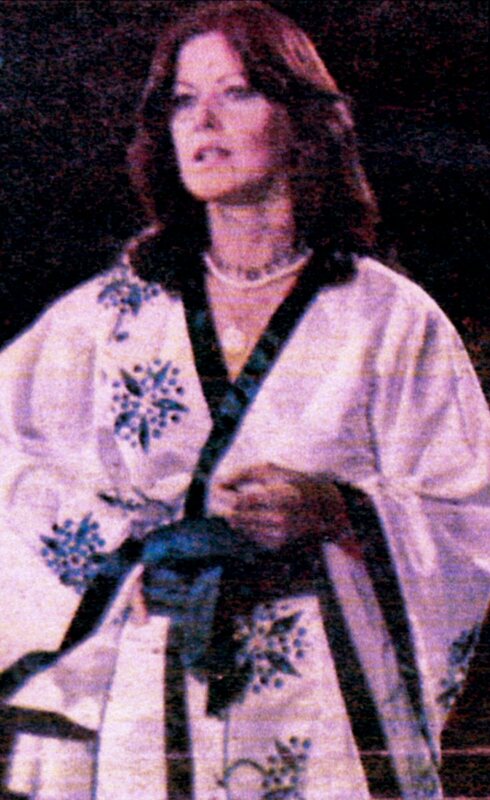 The group performed following songs in the studio: Dancing Queen, My Love My Life, When I Kissed The Teacher, Knowing Me Knowing You, Fernando, Tiger, Money Money Money and Fernando (once again; probably the only performance of Fernando in the Money Money Money-outfits...).